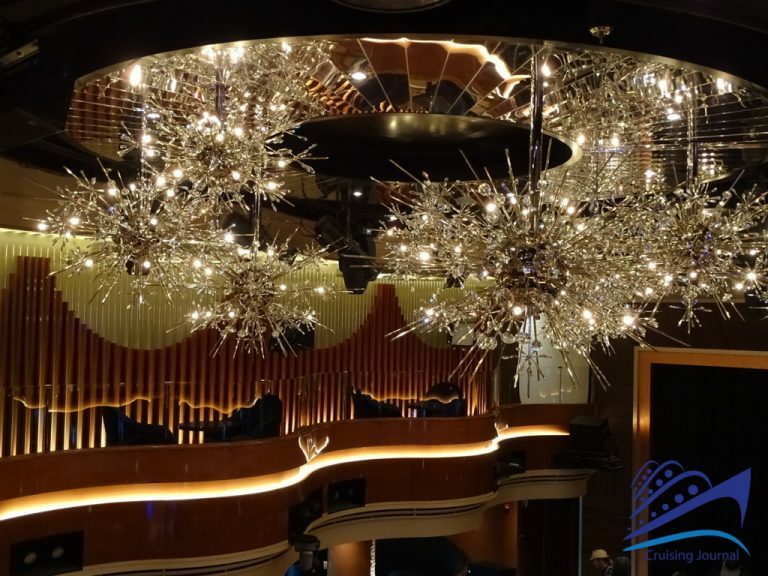 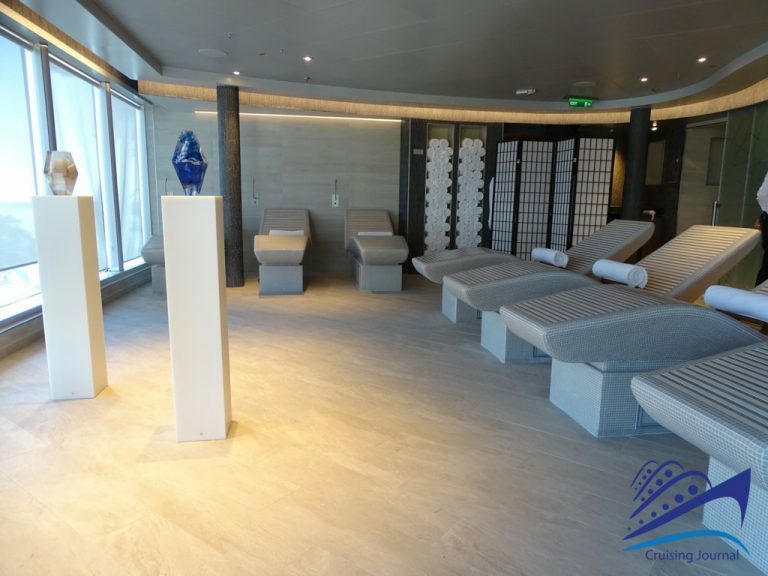 On November 29, 2018, Fincantieri delivered Nieuw Statendam, the second ship of the Pinnacle class, twin of Koningsdam, for Holland America Line. 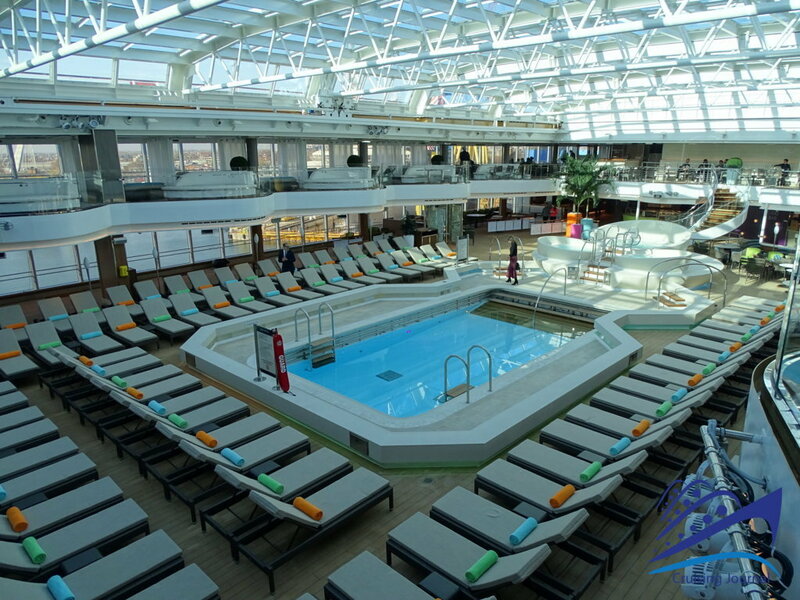 Just over 2600 passengers, 99500 tons; it’s a large ship, but with a human-like character. 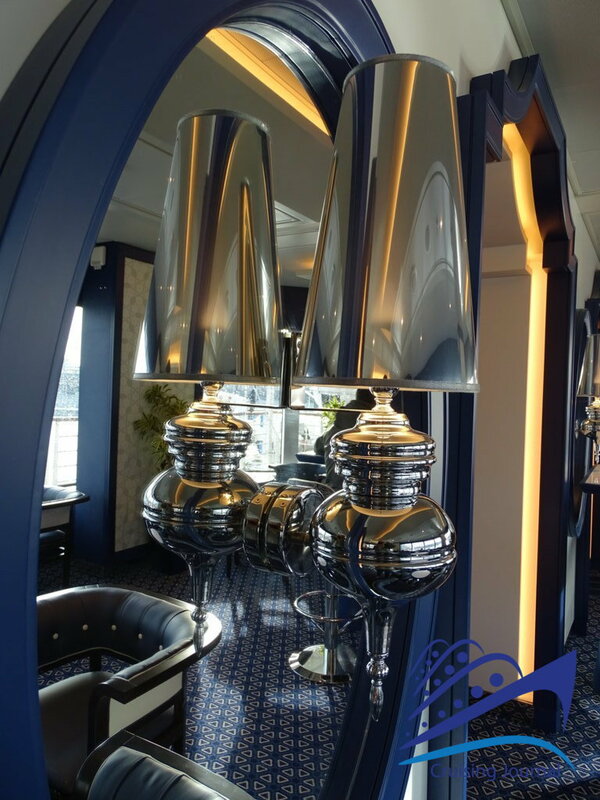 It is distinguishable by the elegance of the premises, perfectly combined with the most modern innovations. 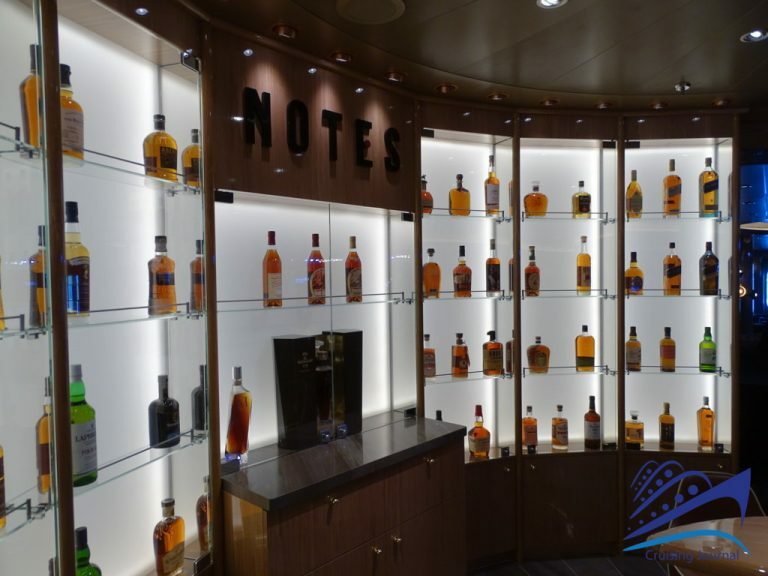 Nieuw Statendam proves itself able to preserve the characteristics of the Holland America Line fleet but with a series of innovative services. 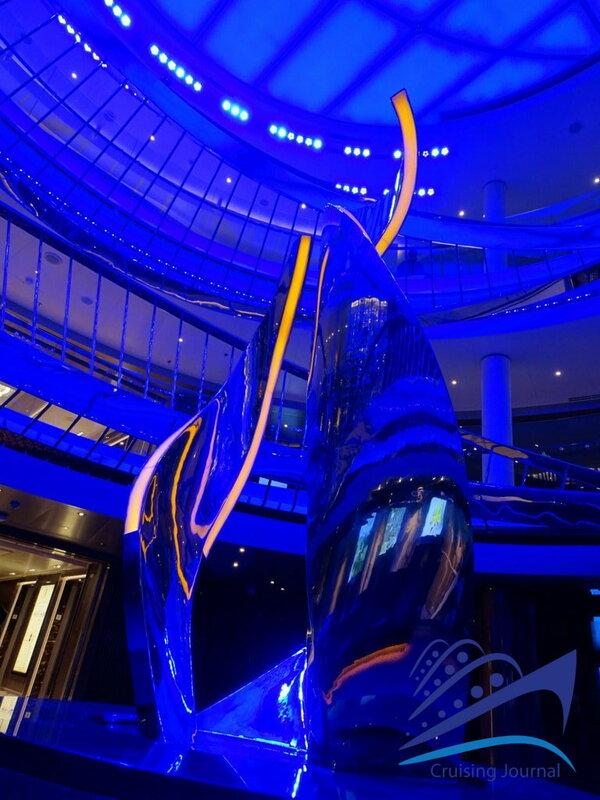 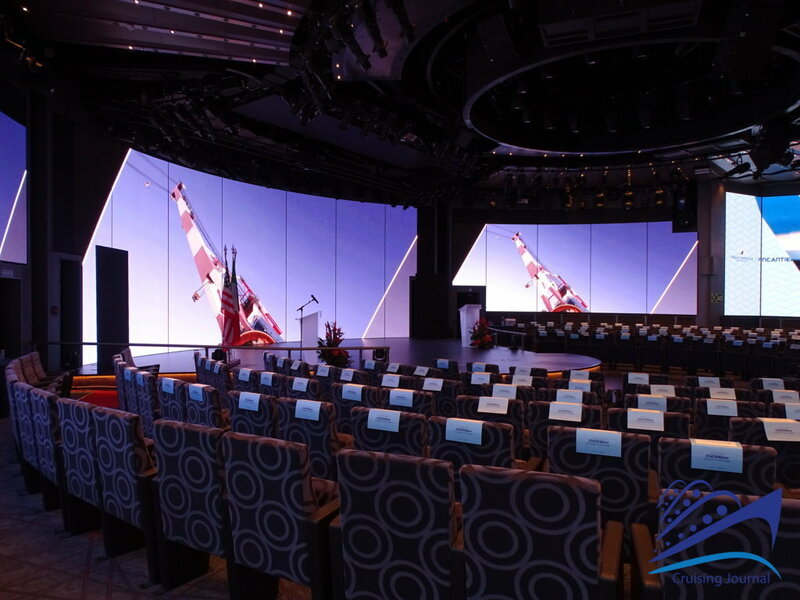 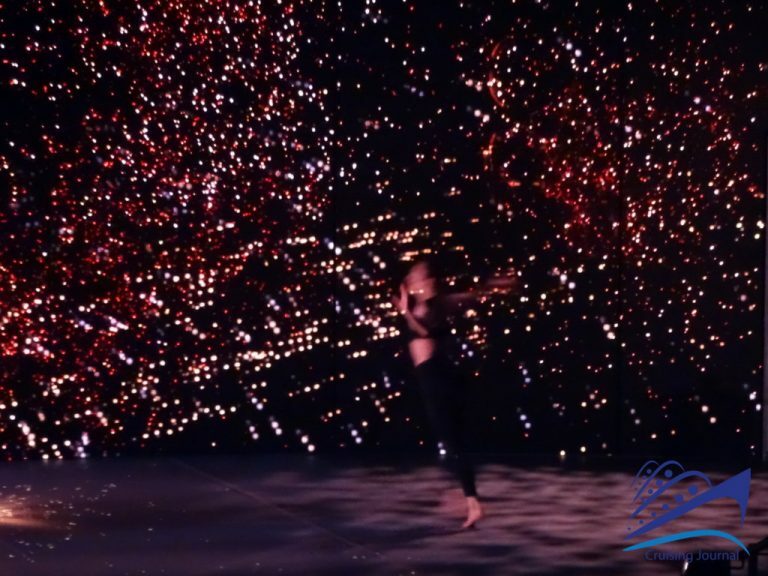 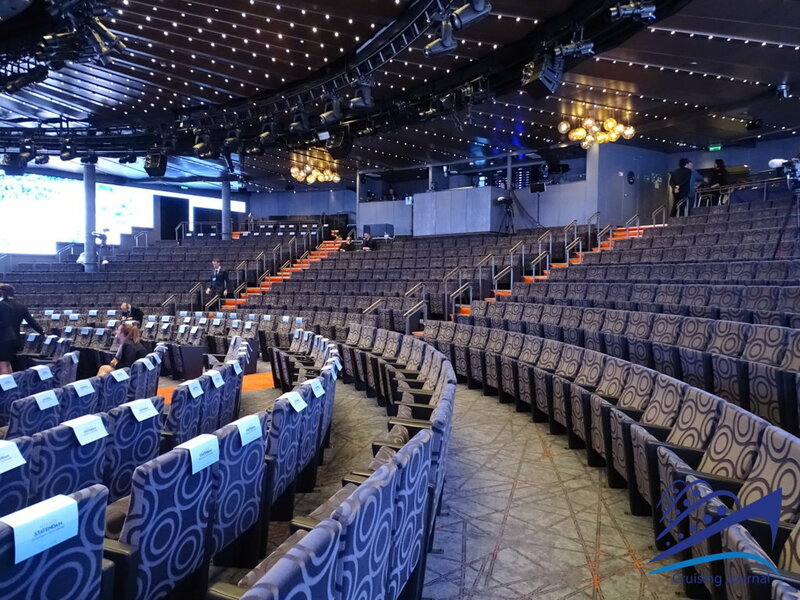 Among the major attractions on board, surely the World Stage, interactive and multimedia, marks a clear break with the traditional concept of theater, offering shows of great involvement through its LED walls and audio effects. 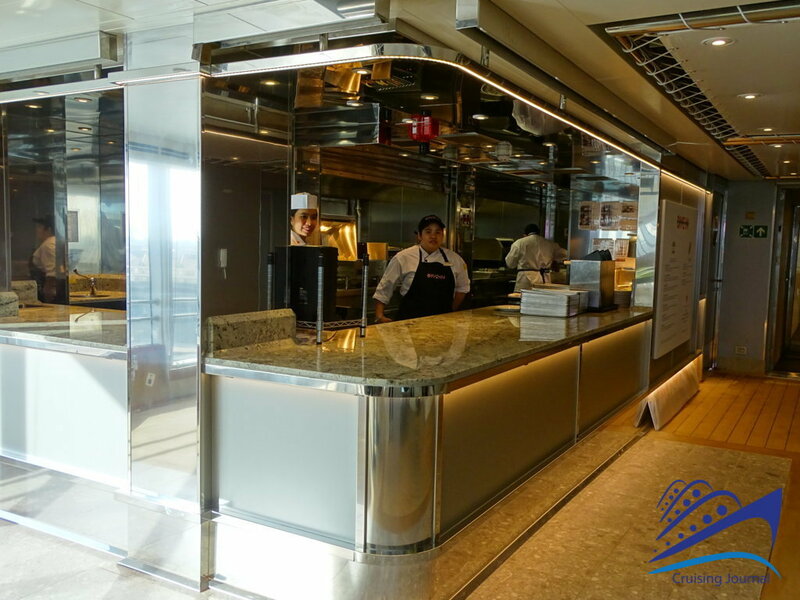 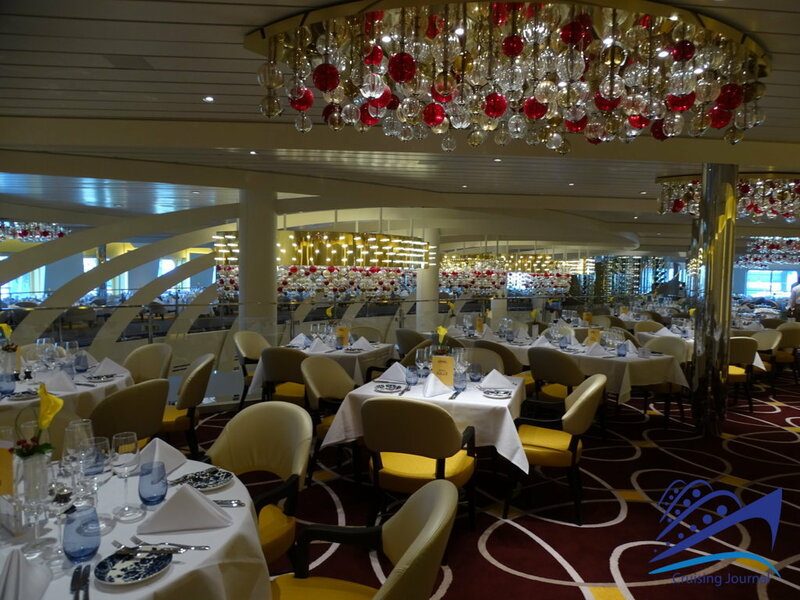 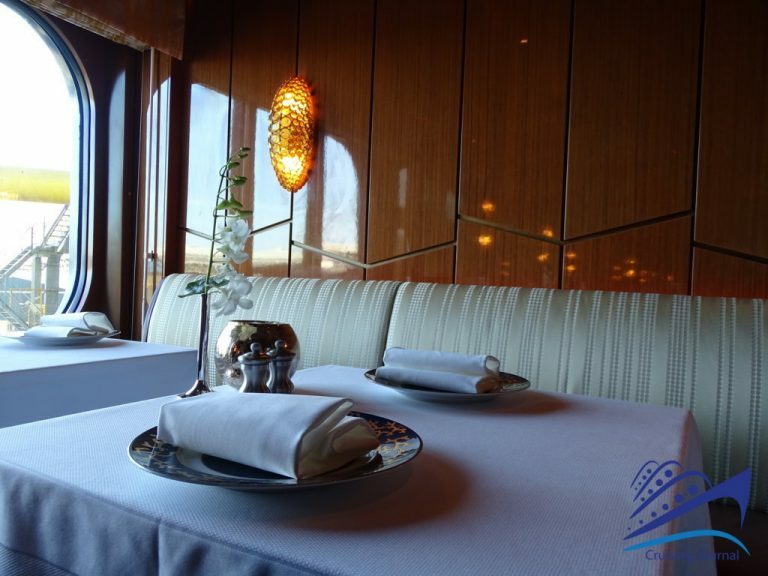 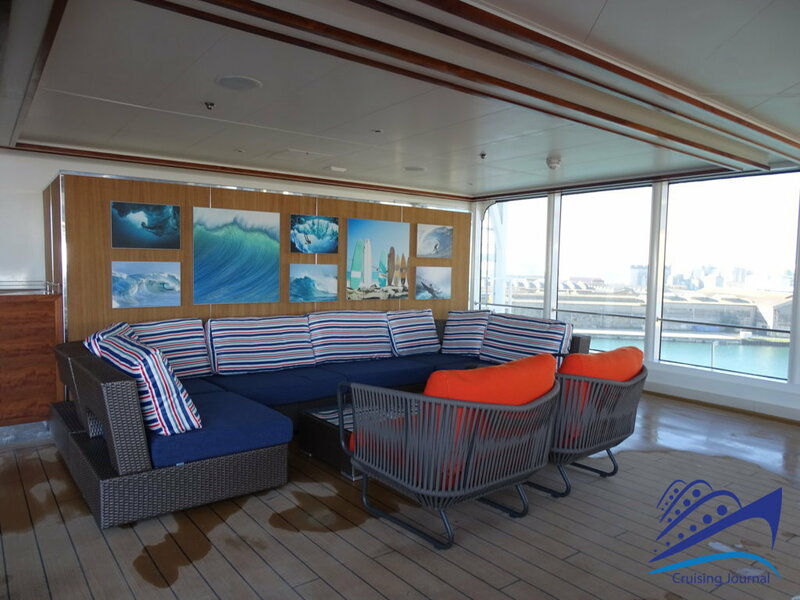 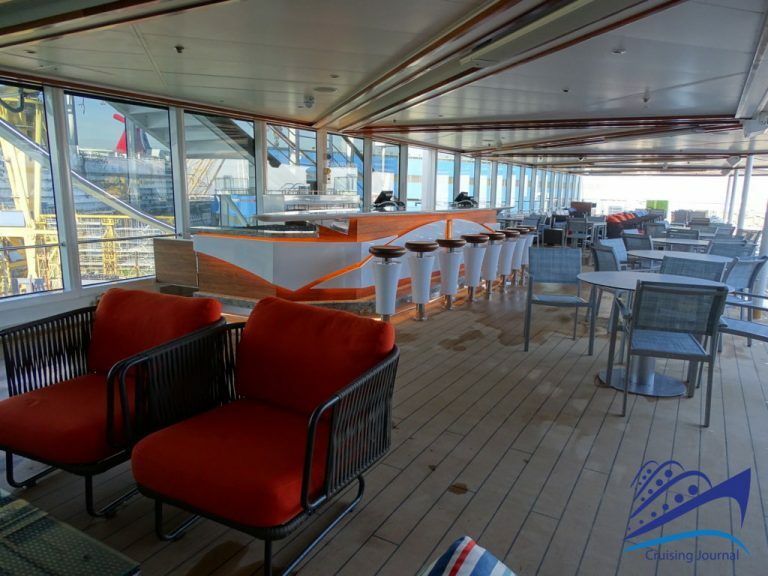 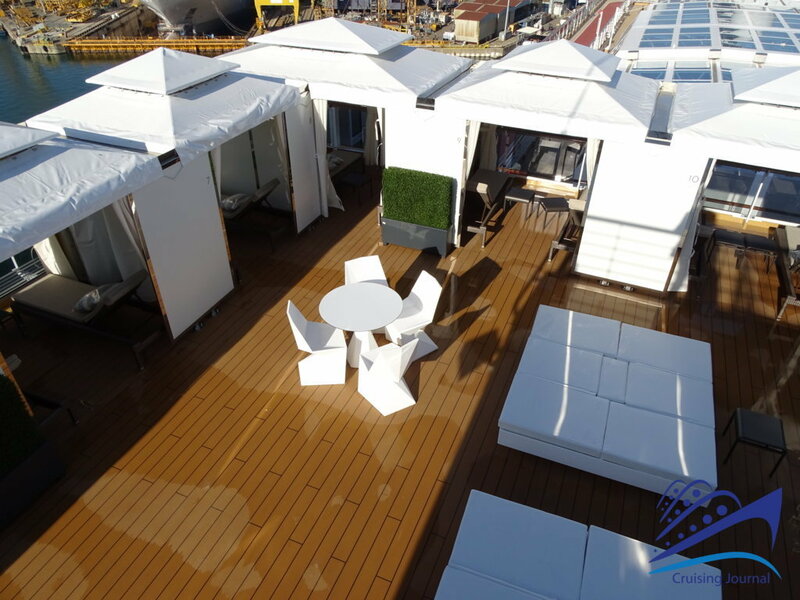 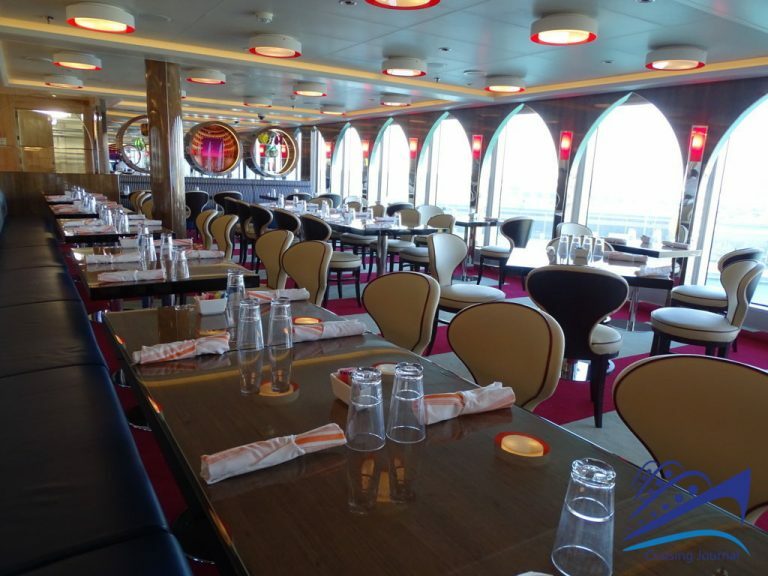 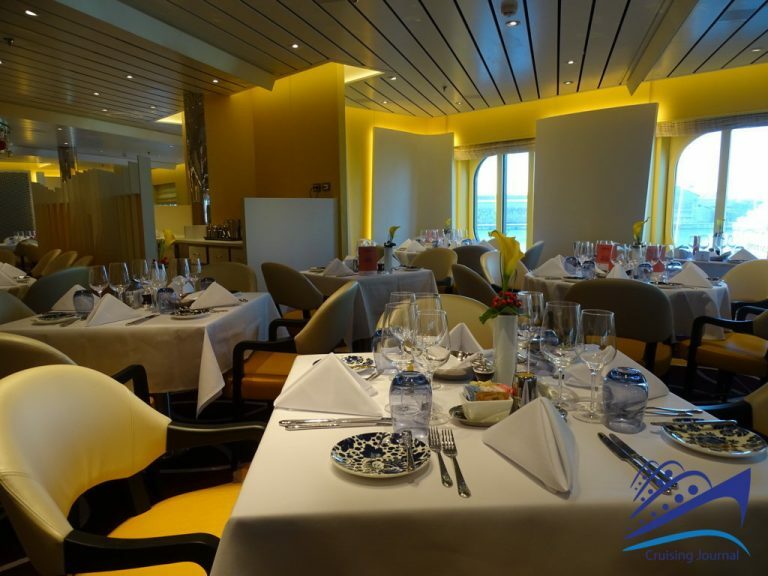 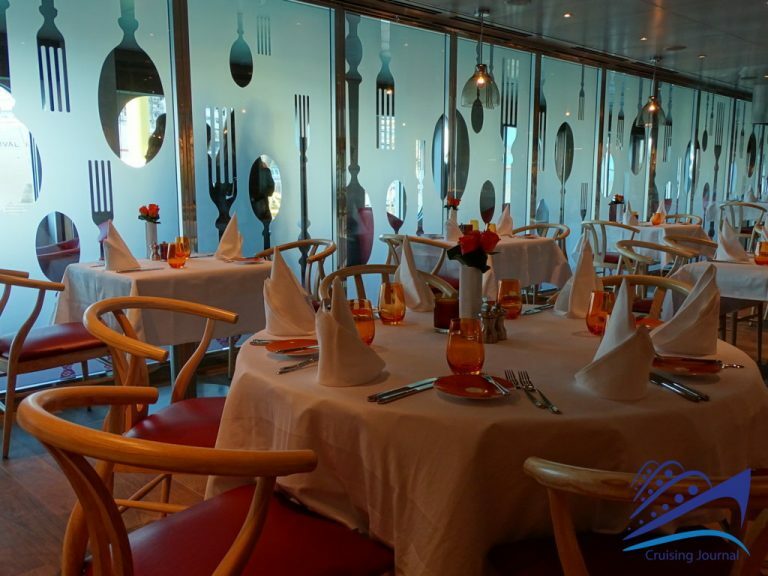 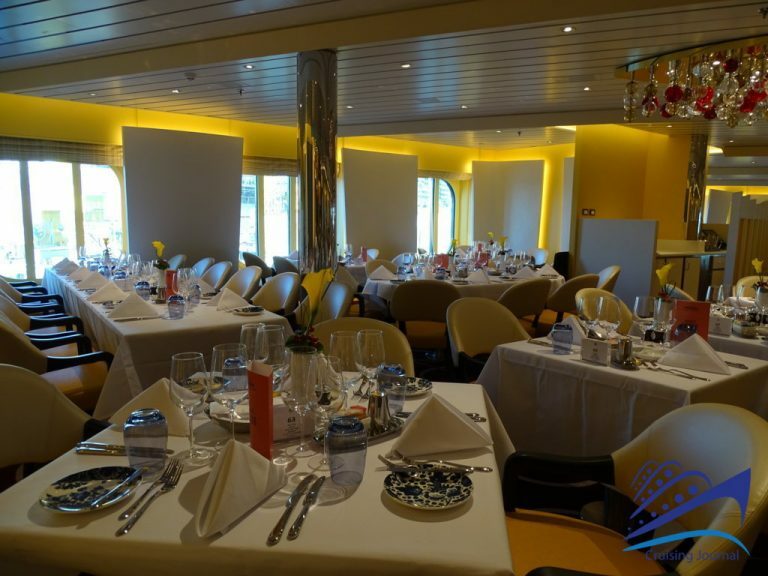 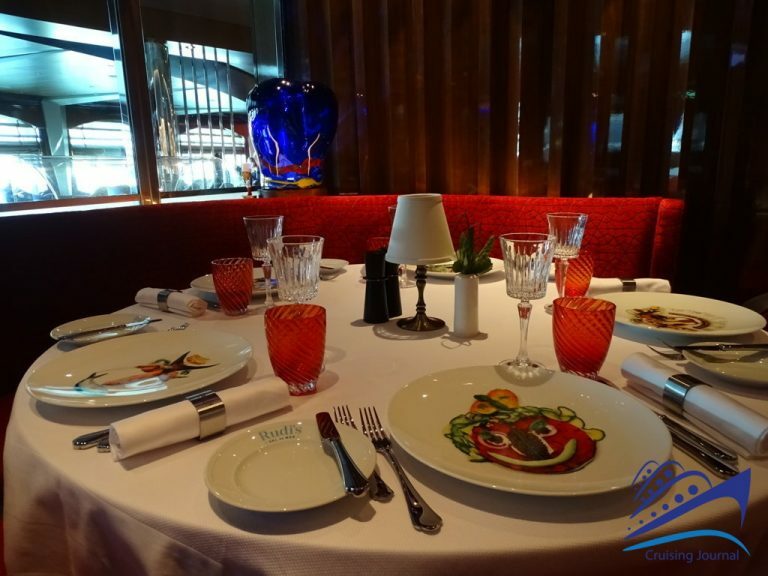 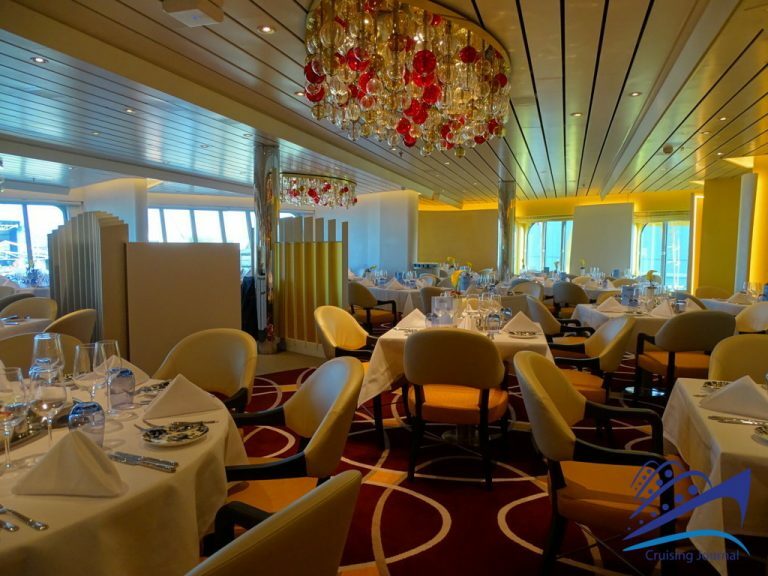 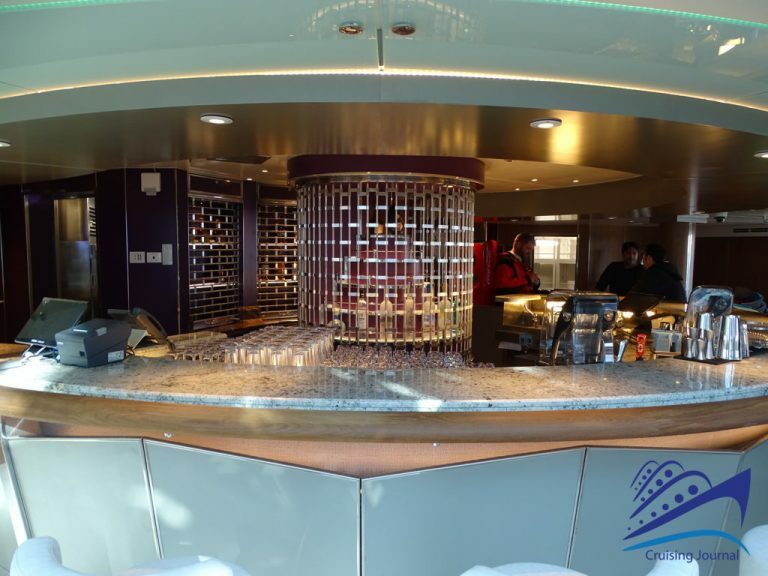 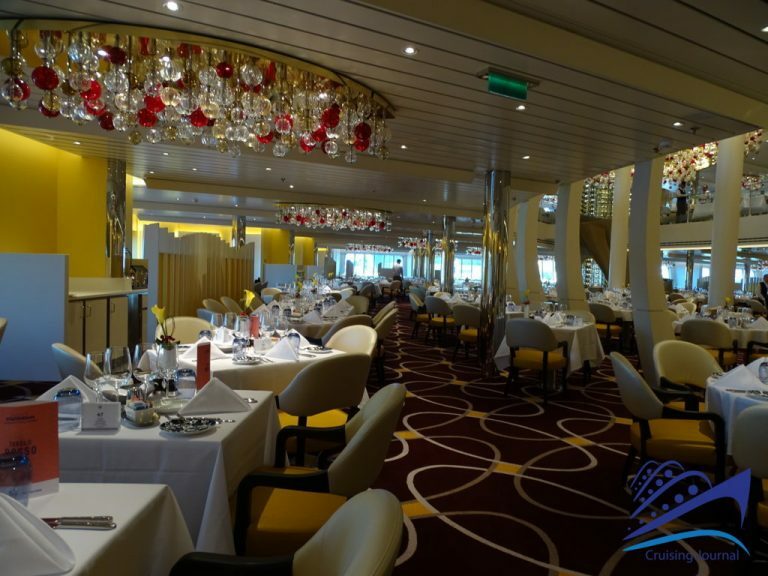 The premises and the forms of entertainment on board are numerous, as well as the gastronomic and wellness offerings. Let’s start to give it a look. 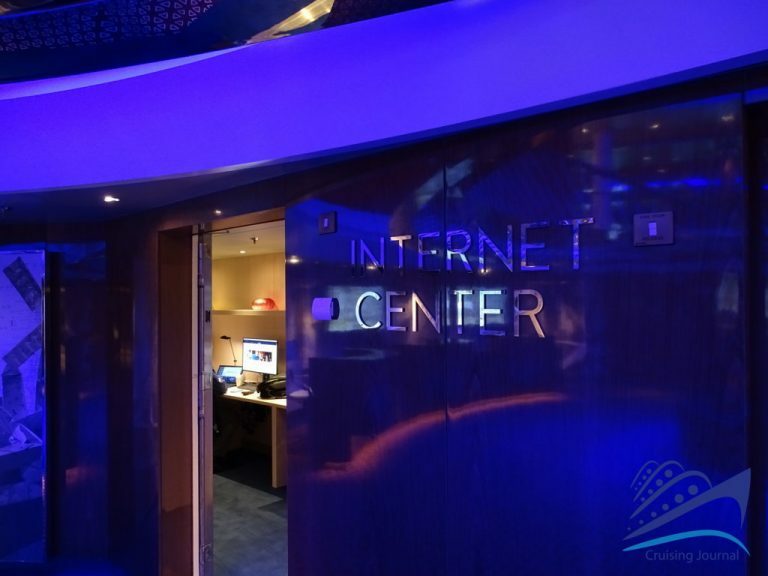 The first bridge has a series of three conference rooms, the base level of the large Atrium and the Internet Center. 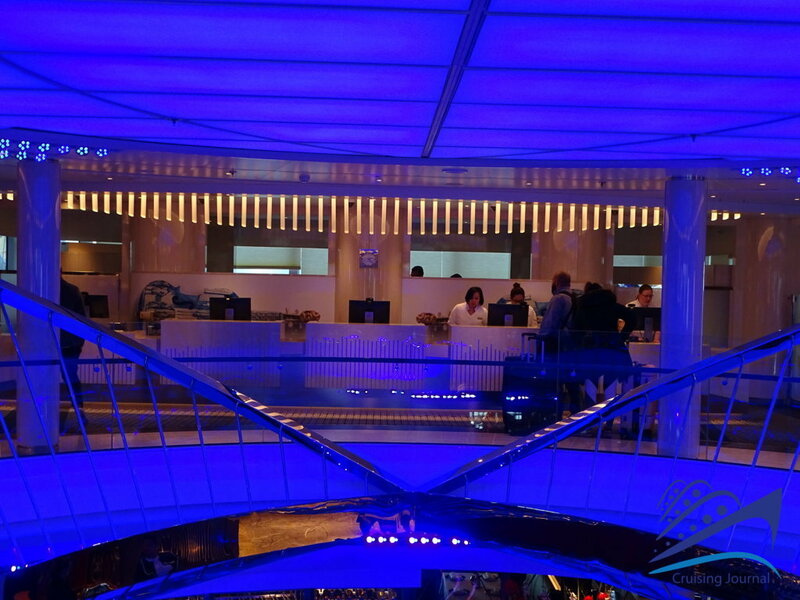 Bridge 2 is much richer in places of all kinds, where it will always be pleasant to spend time. 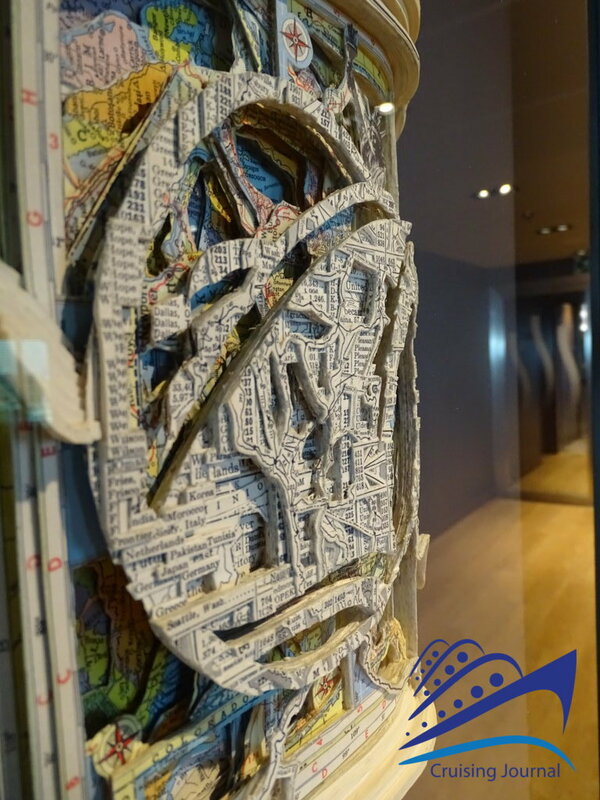 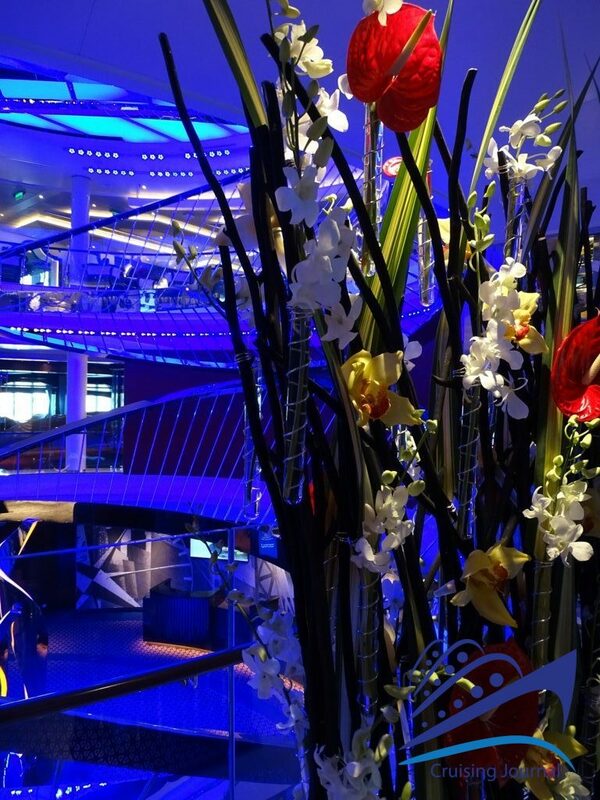 At the bow we have the World Stage, which also occupies the third bridge, offering a range of truly innovative shows. 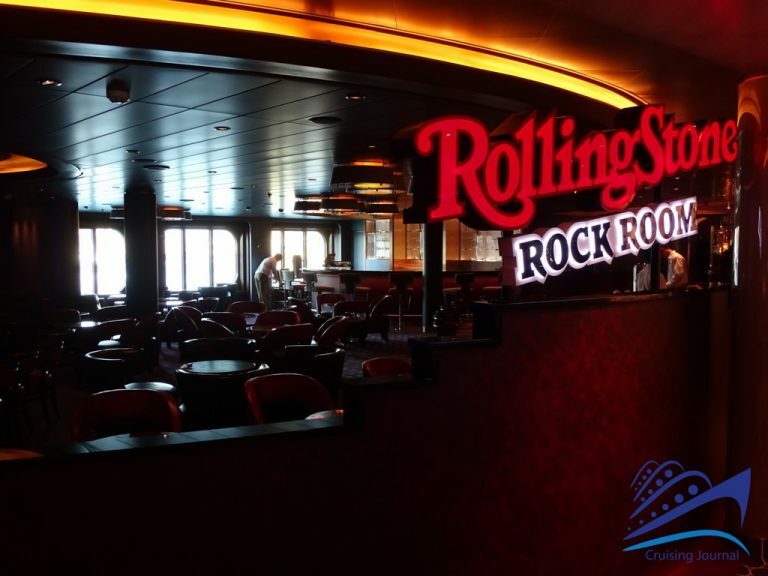 Moving towards the stern there are a series of spots related to music, an important element on board, so the bridges are named after famous musicians. 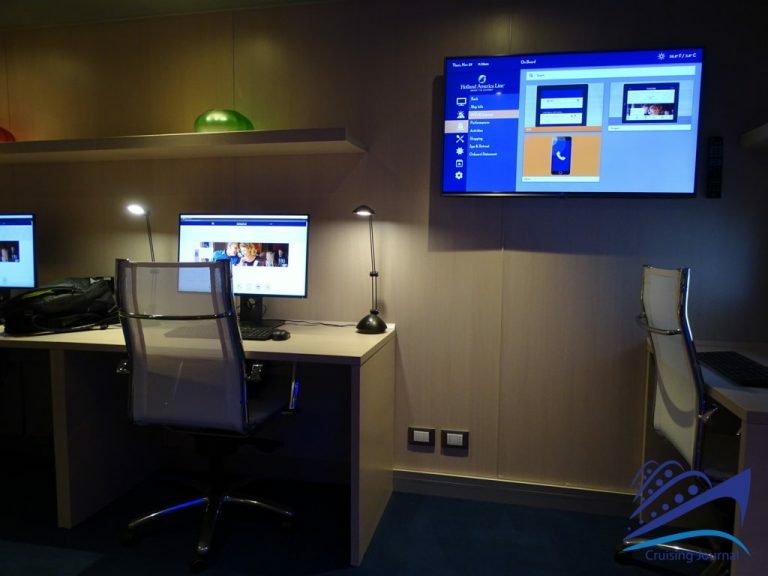 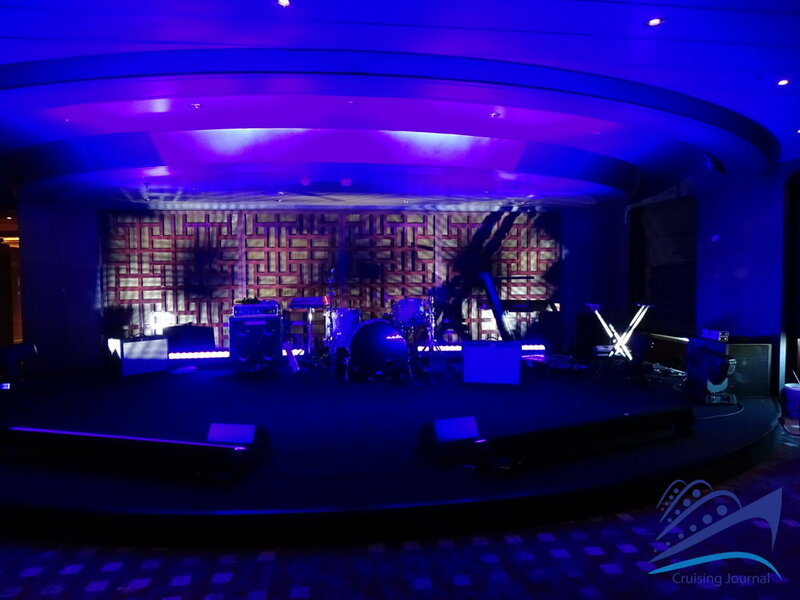 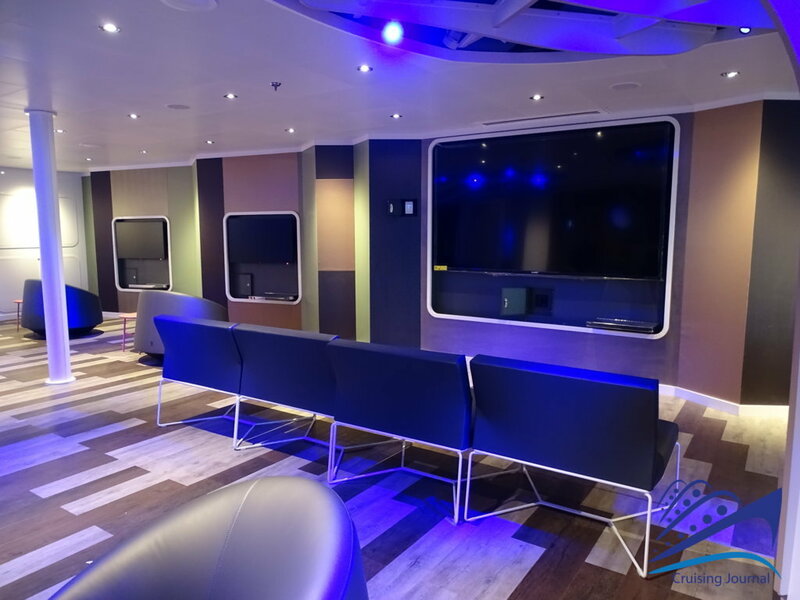 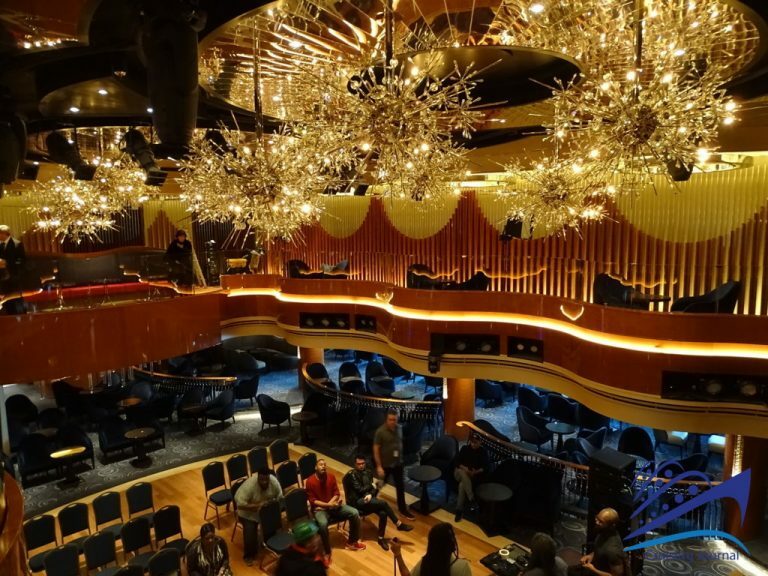 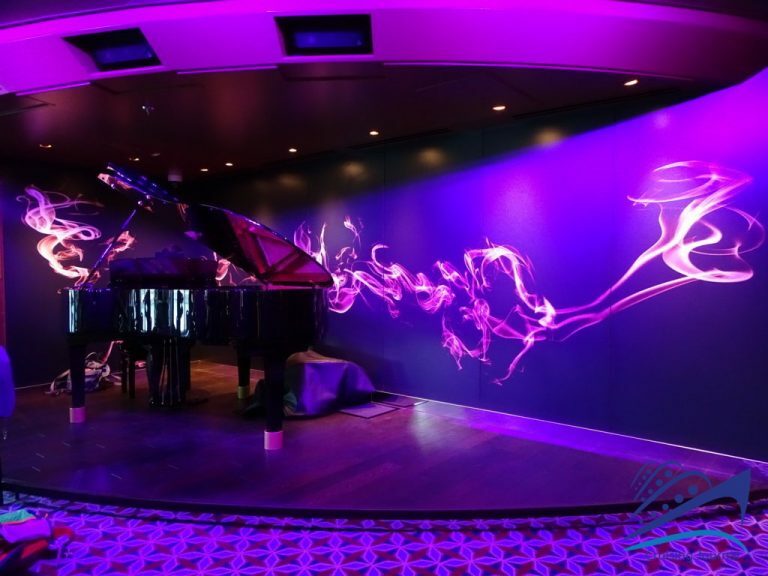 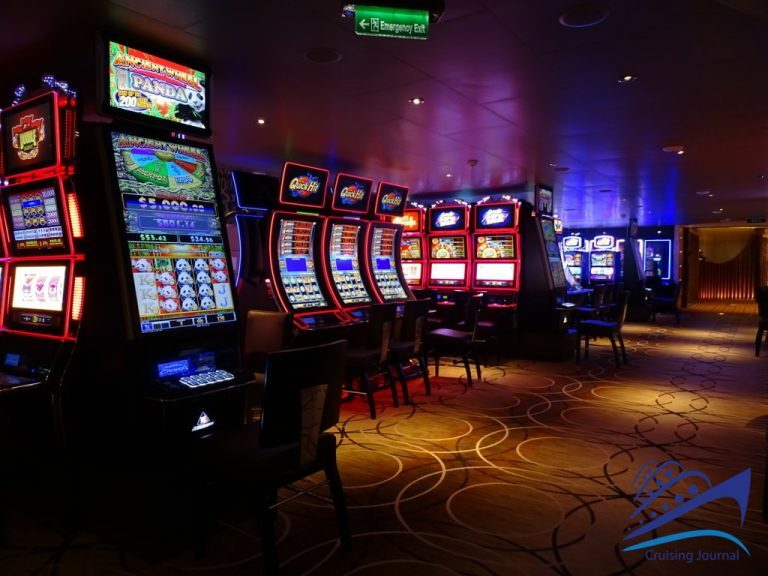 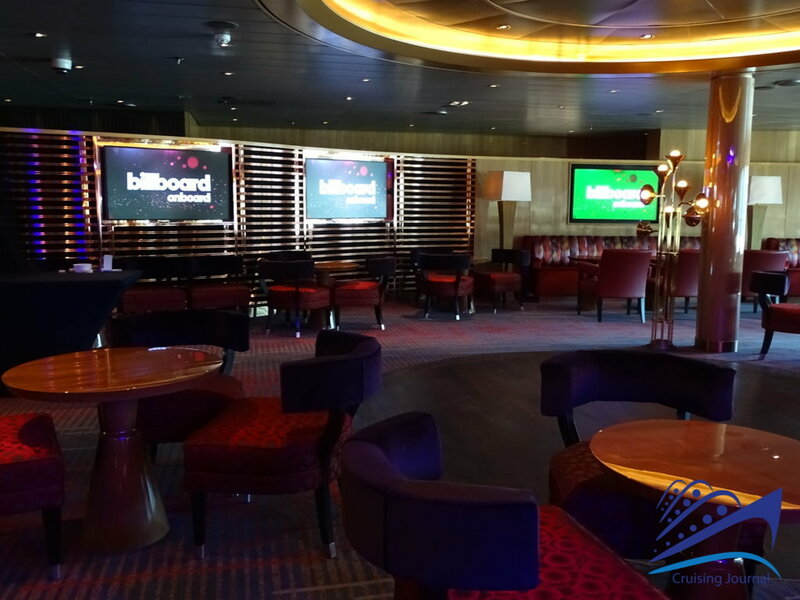 After passing the Microsoft Studio you will come across the RollingStone Rock Room, on the left side of the ship, and on the traditional Billboard Onboard on the starboard side, now always available on the Holland America ships. 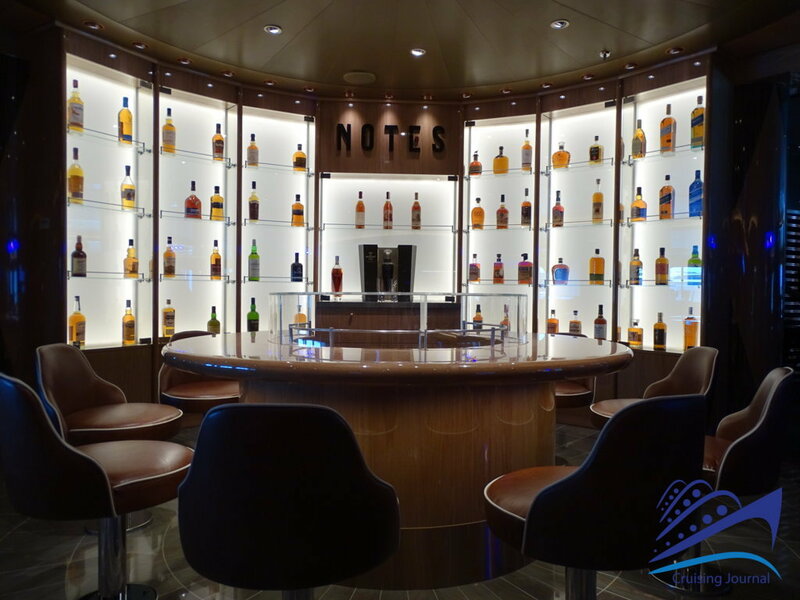 A good tasting of whiskey and spirits can be made at the Notes, a small central corner of the two rooms, for real connoisseurs. 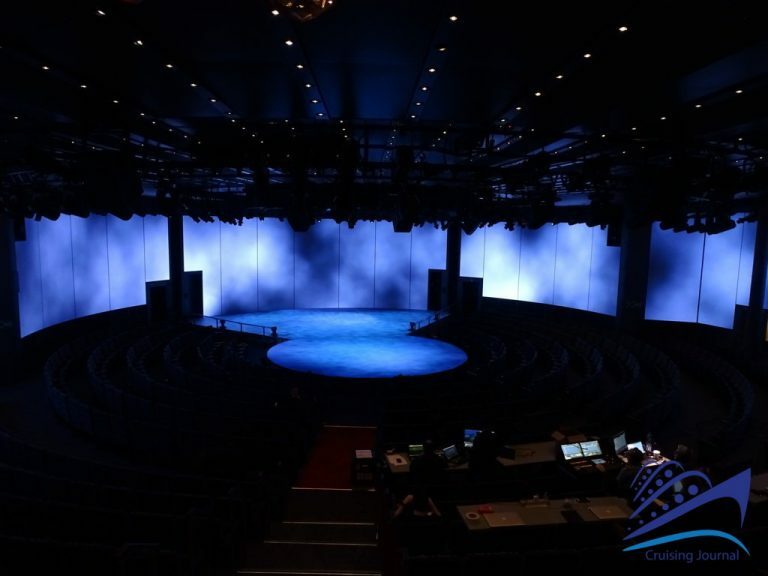 Crossing beautiful watch, jewelry, and clothing stores you reach the Lincoln Center Stage, a beautiful venue on two decks dedicated to live music. 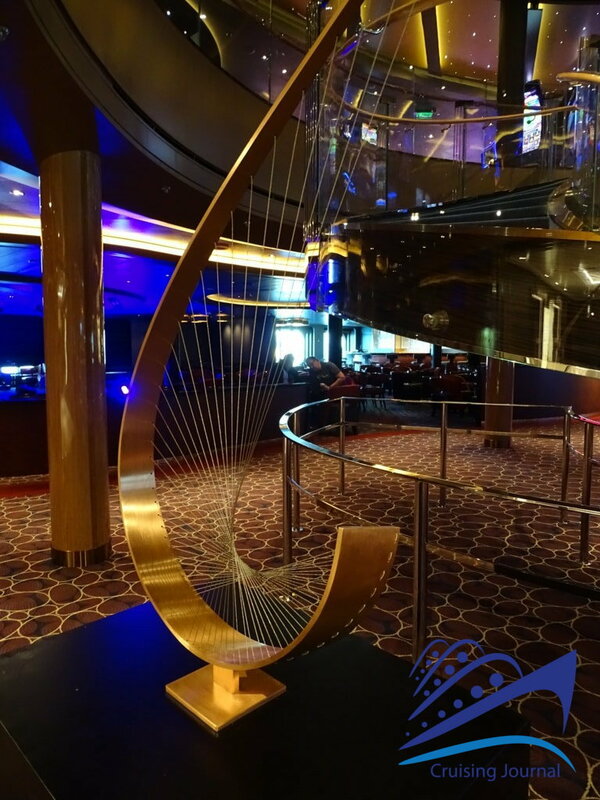 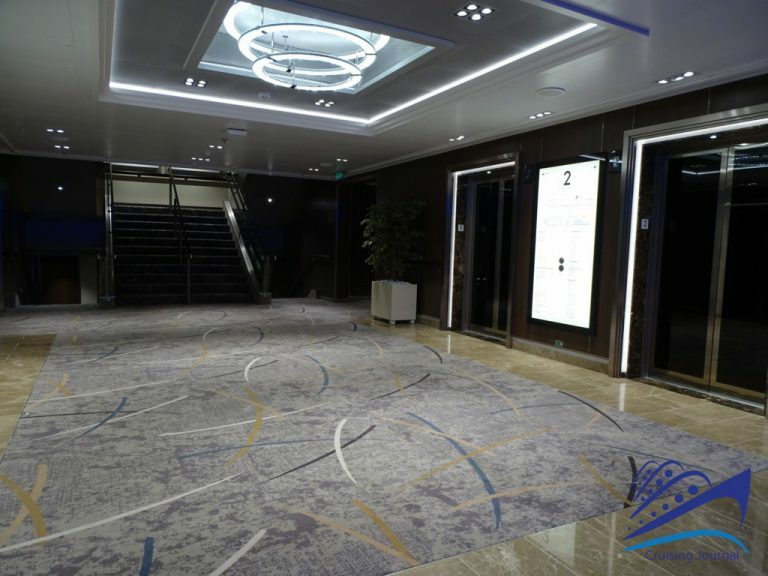 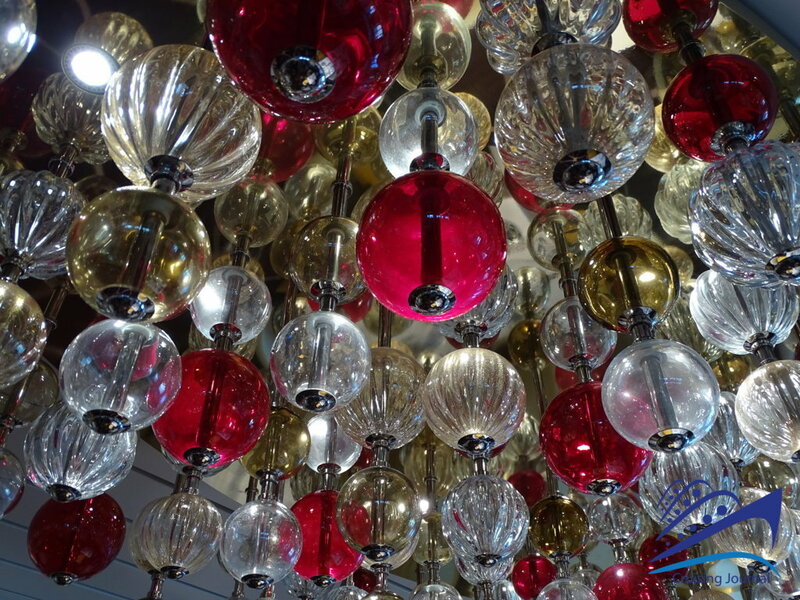 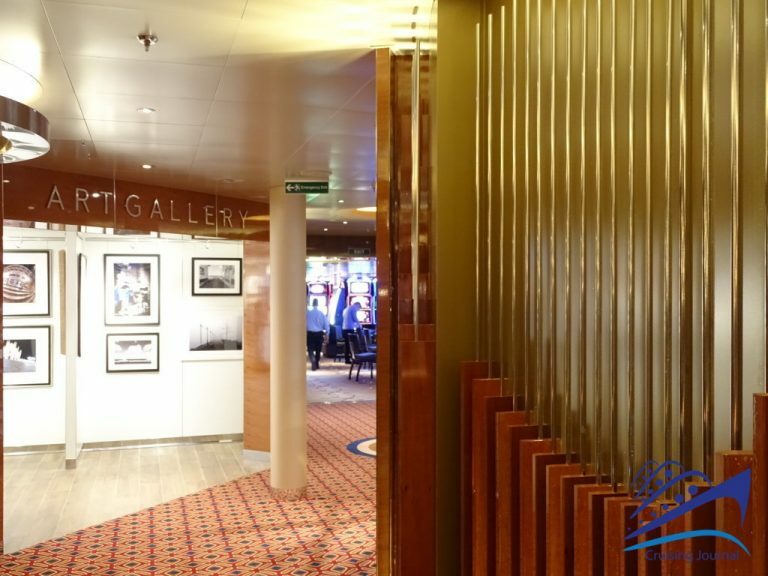 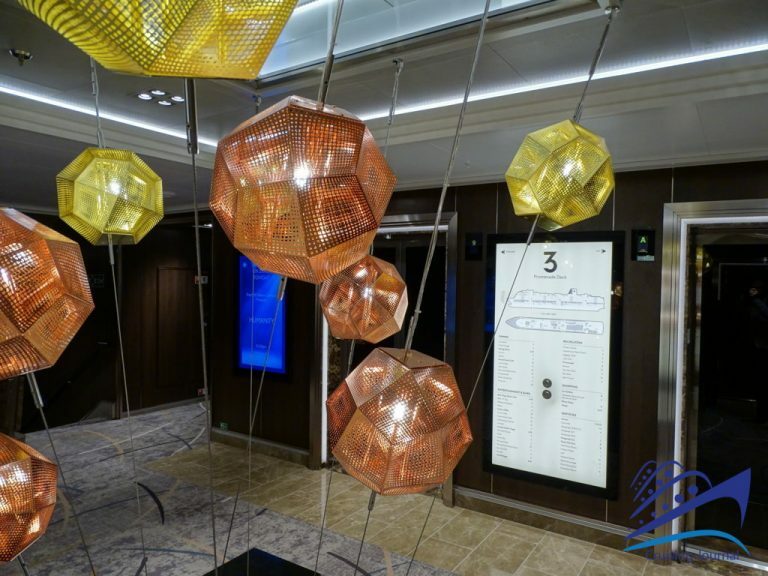 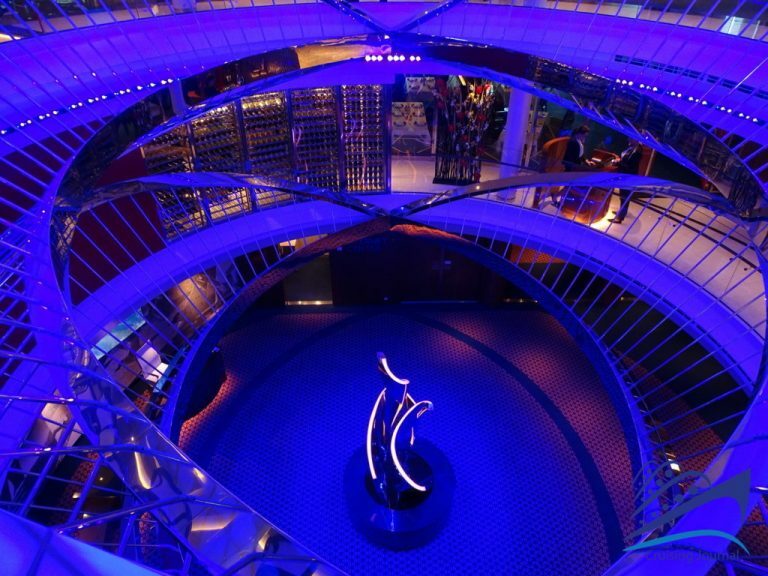 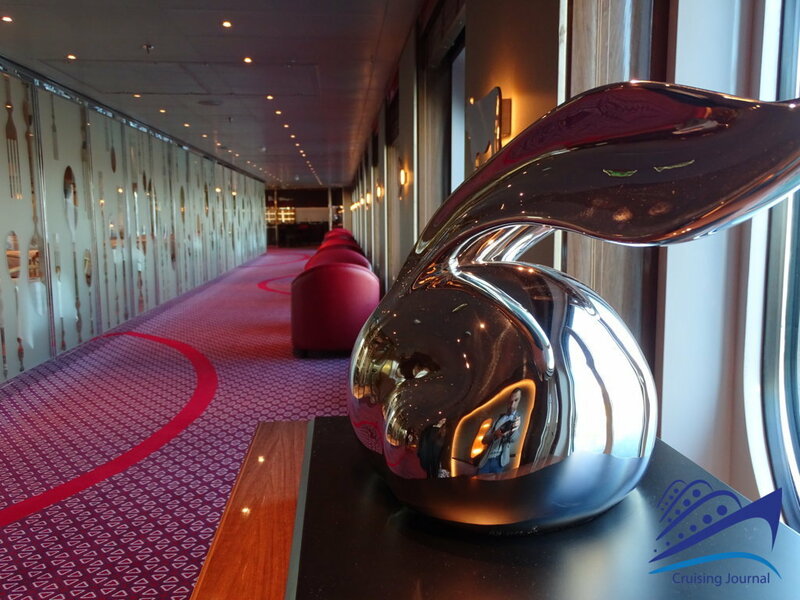 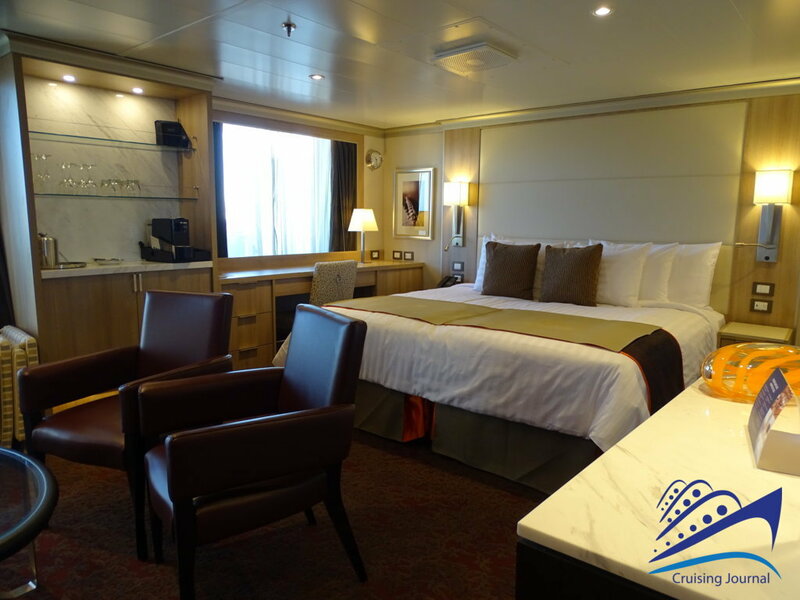 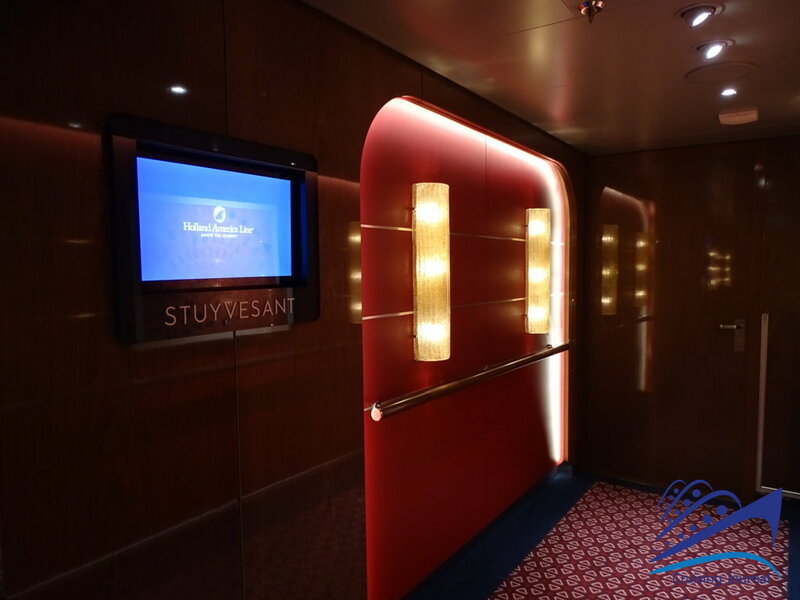 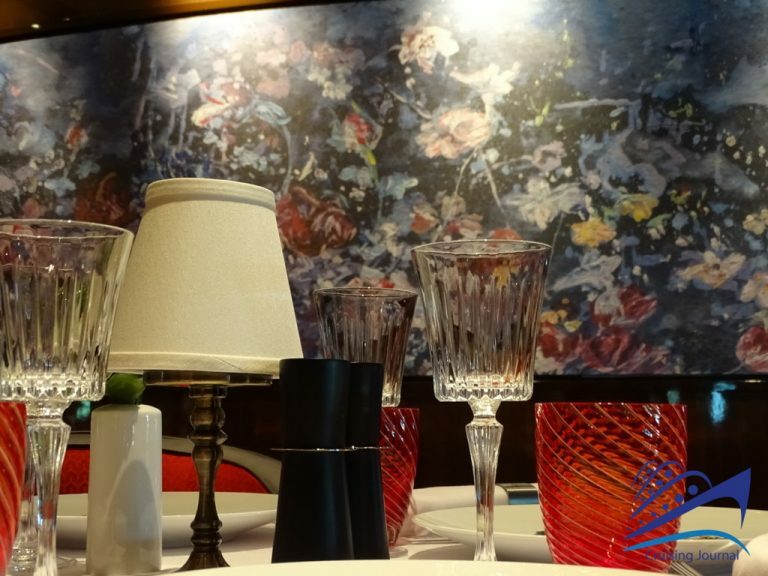 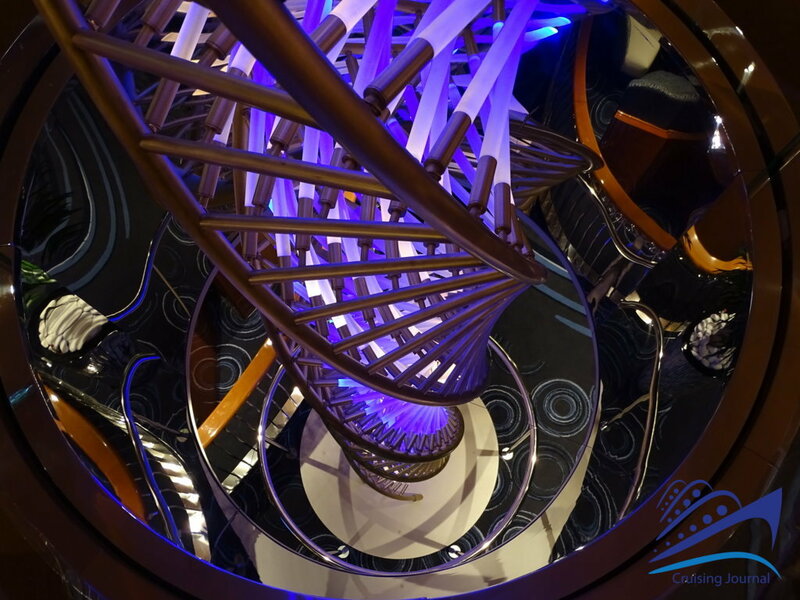 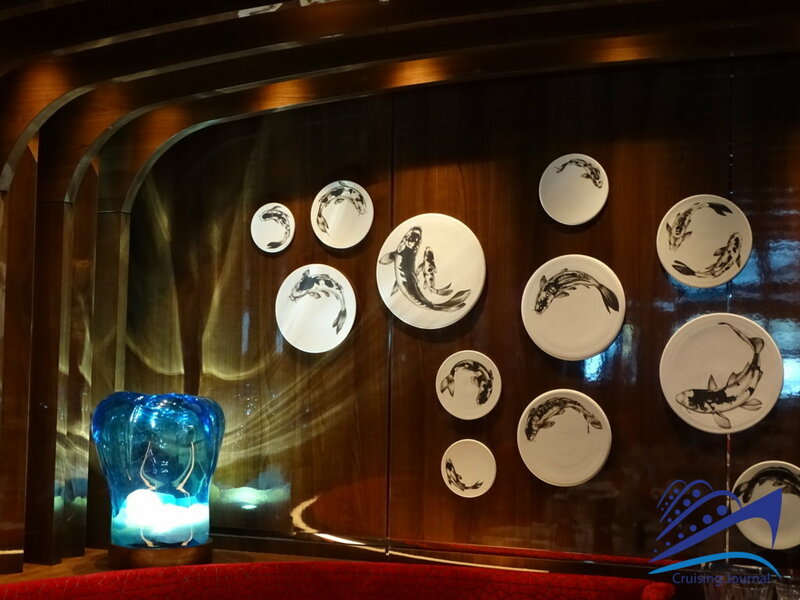 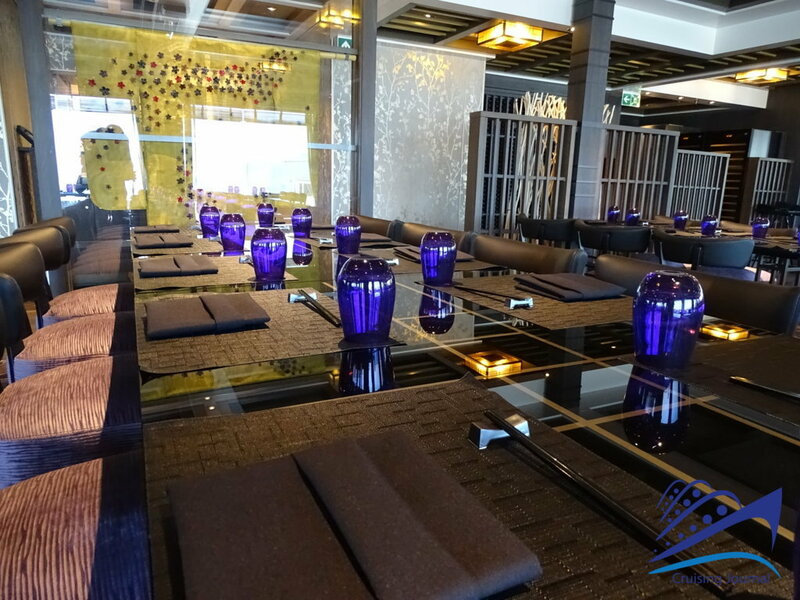 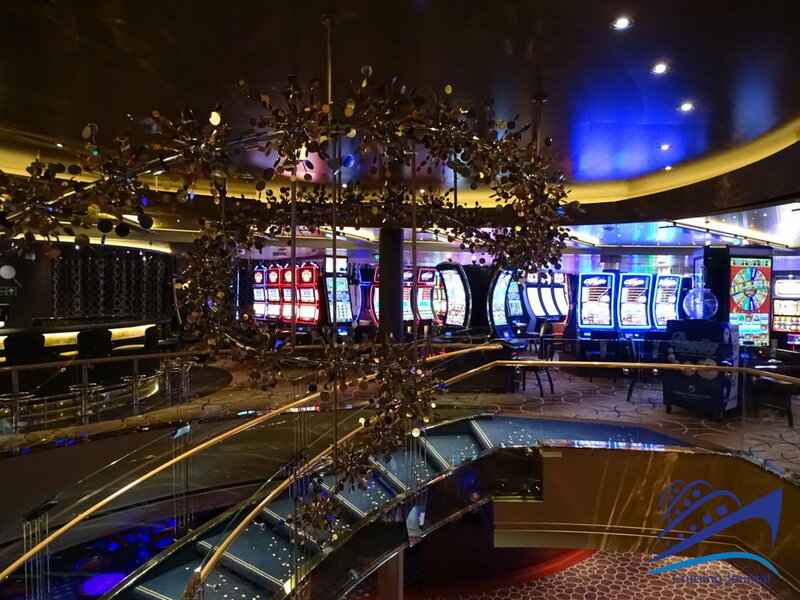 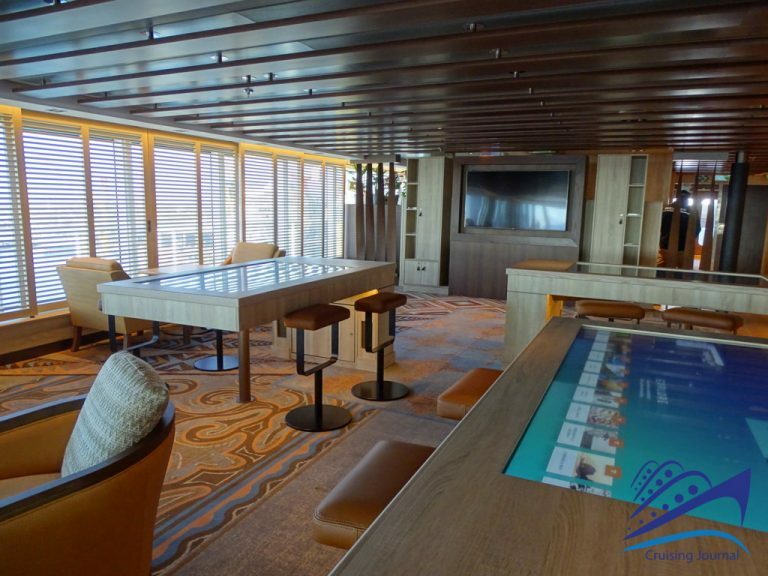 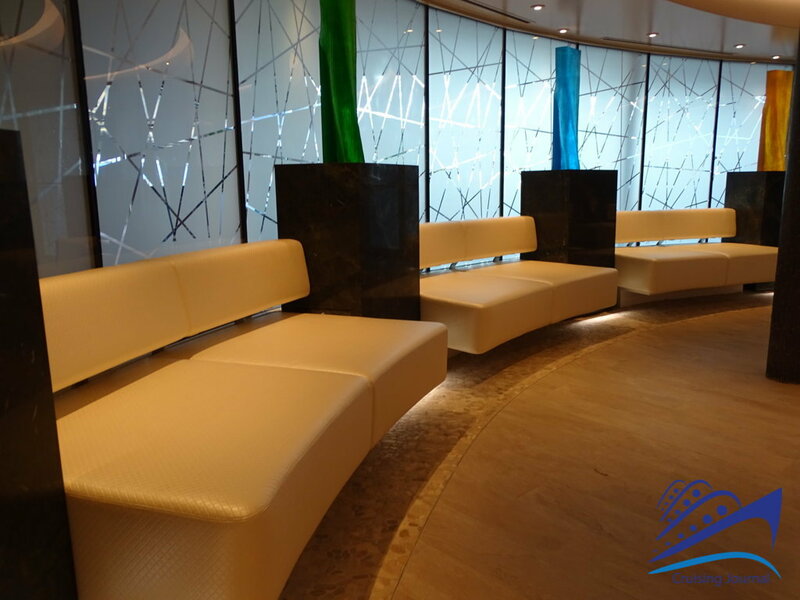 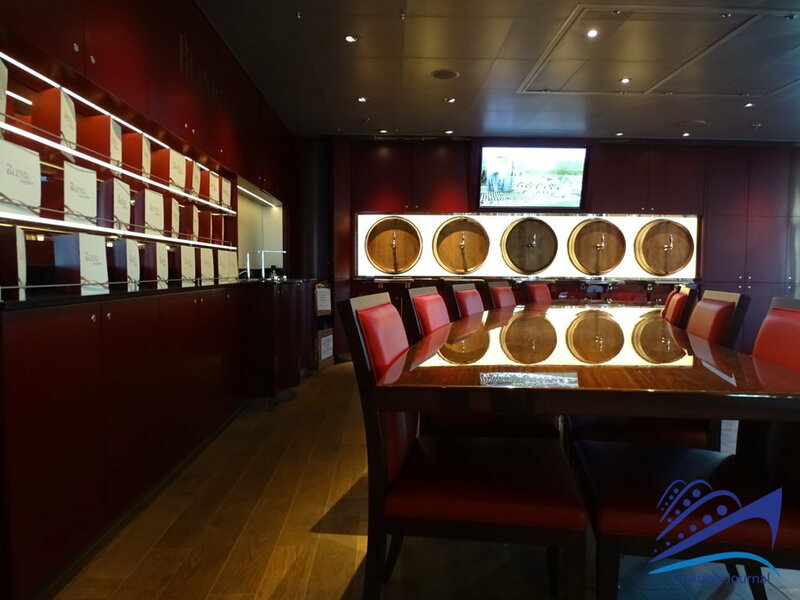 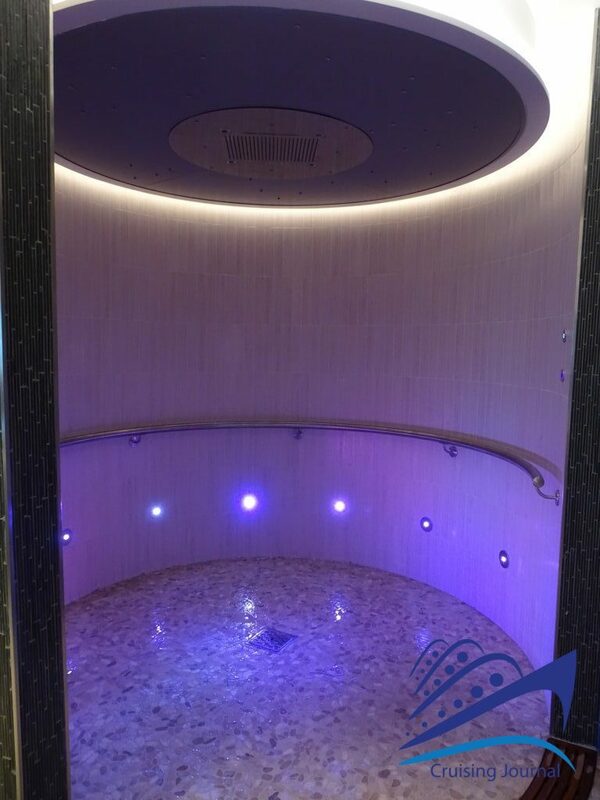 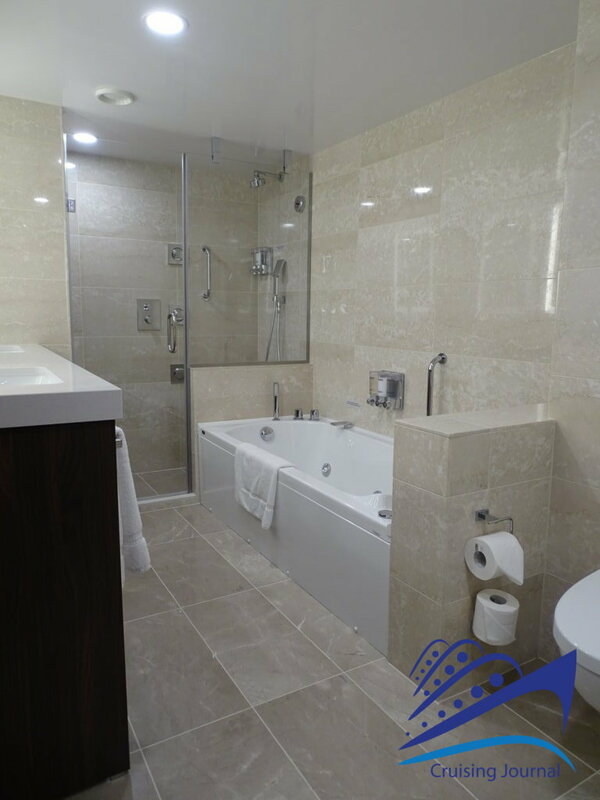 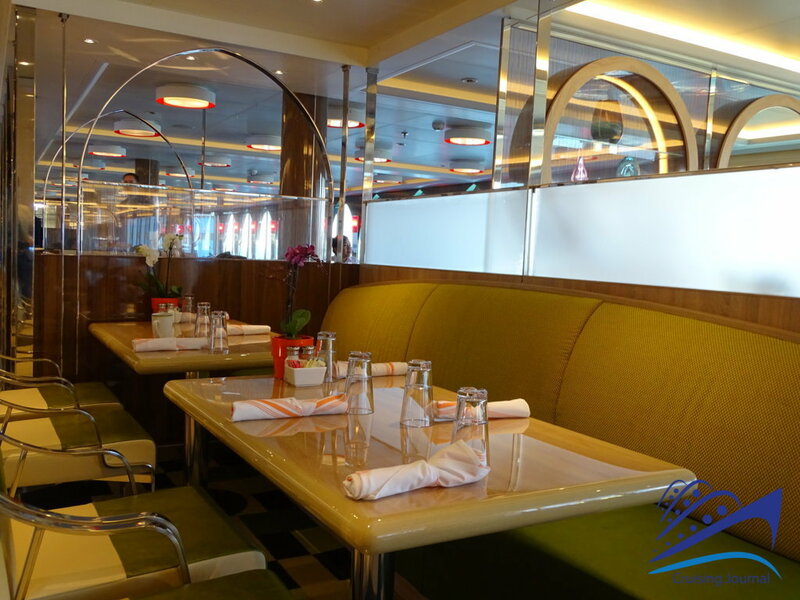 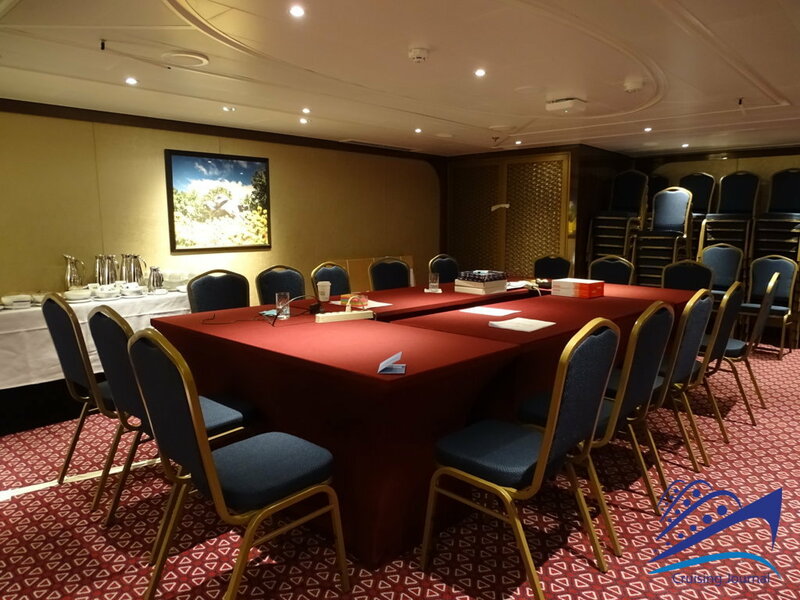 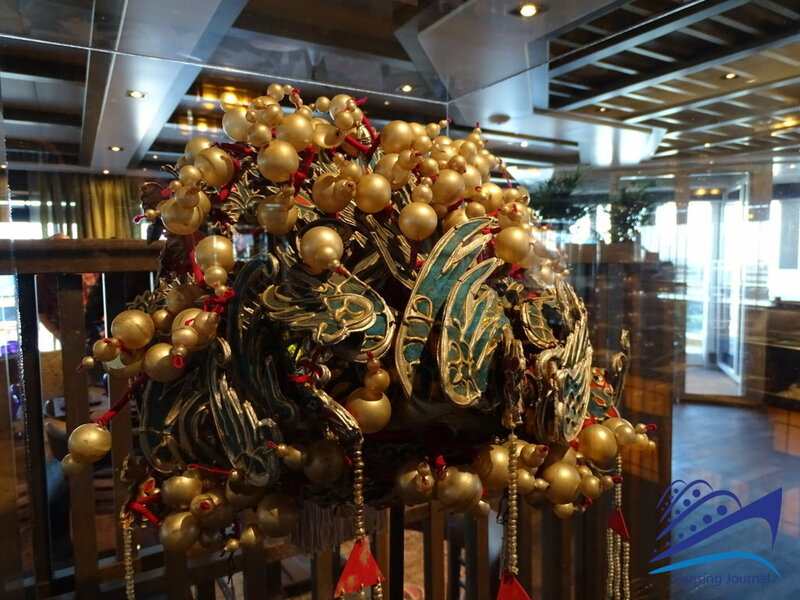 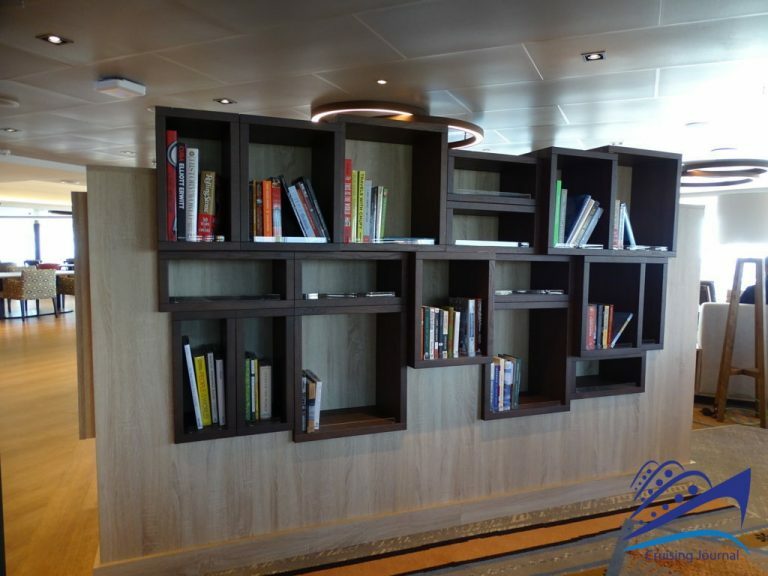 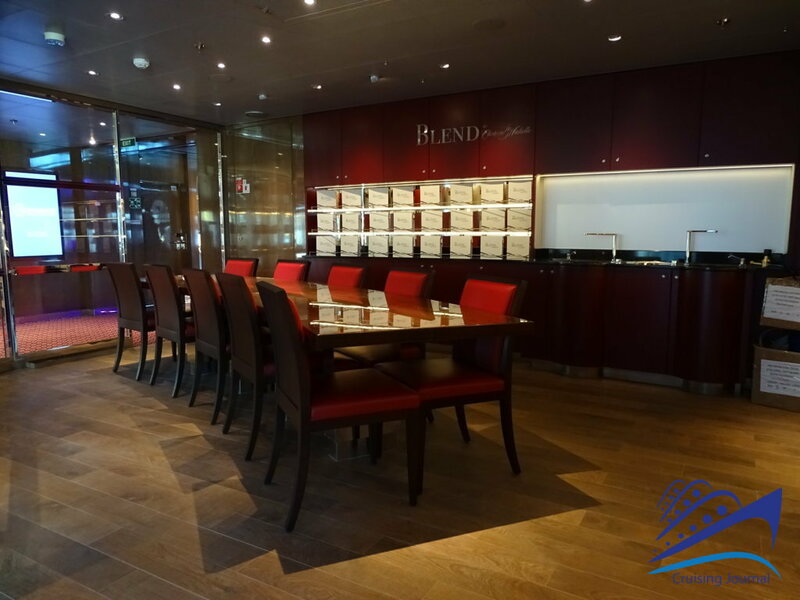 Furnished in a classic style with wooden and glass detailing, it is truly one of the most beautiful areas on the ship. 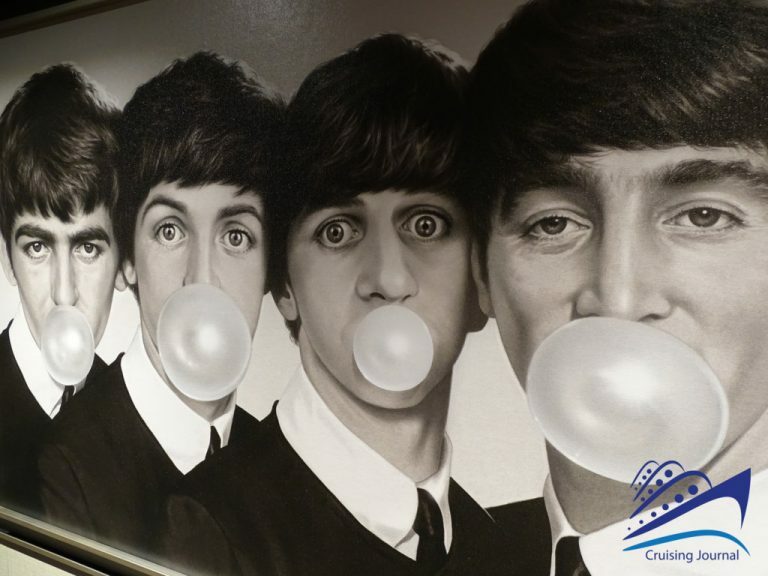 Blues’ lovers will instead prefer to continue a few more steps and reach the B.B. 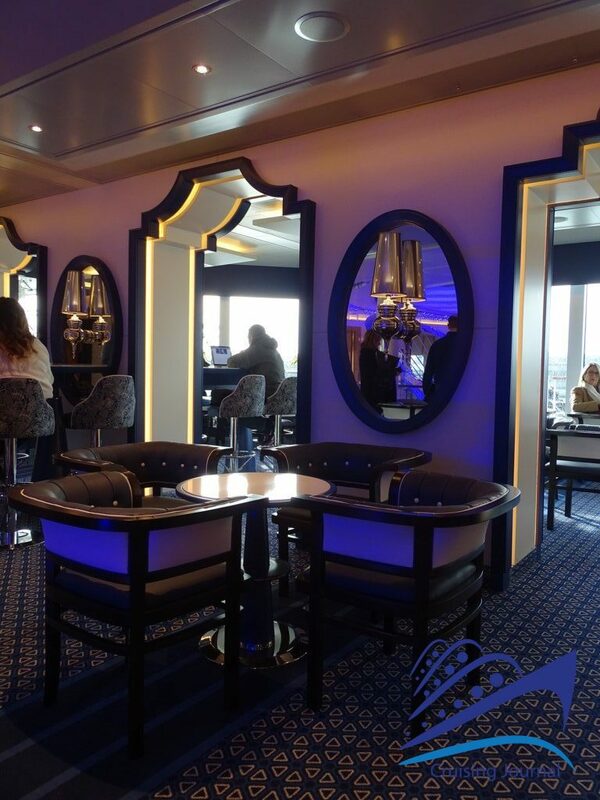 King’s Blues Club, also very welcoming and served by a relative bar. 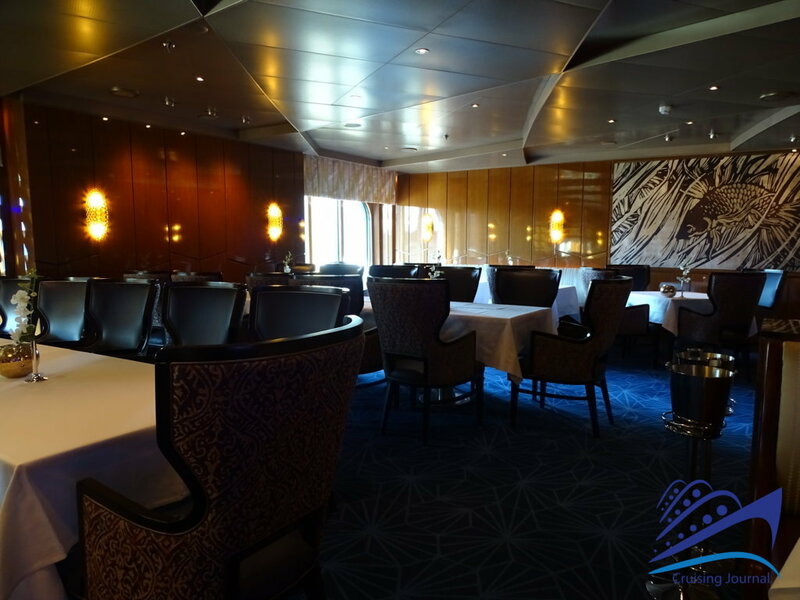 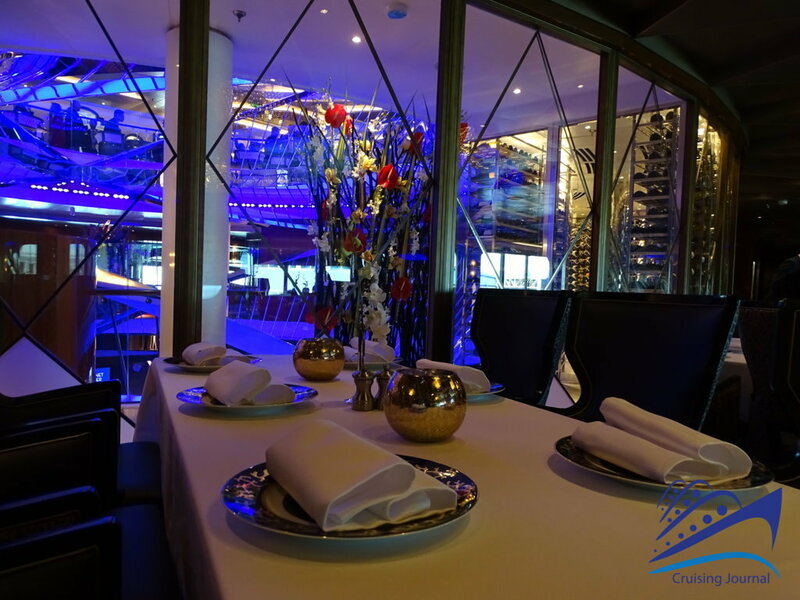 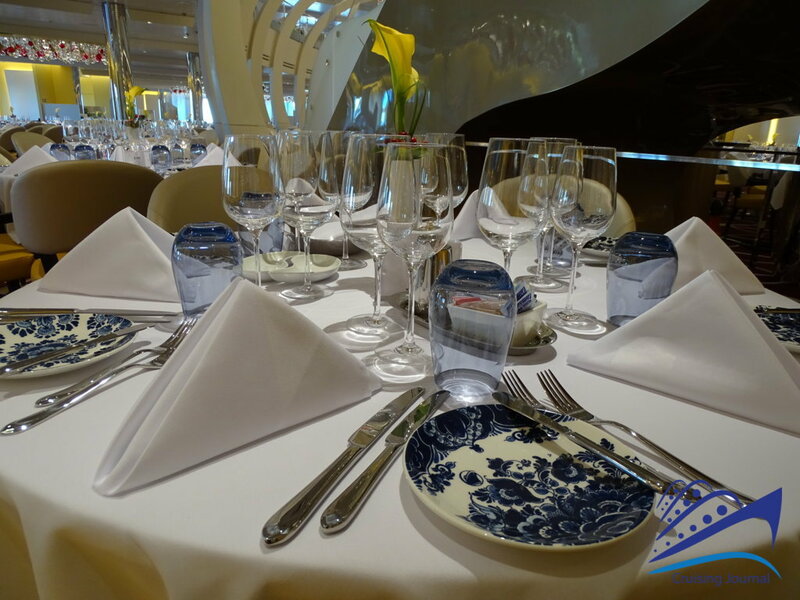 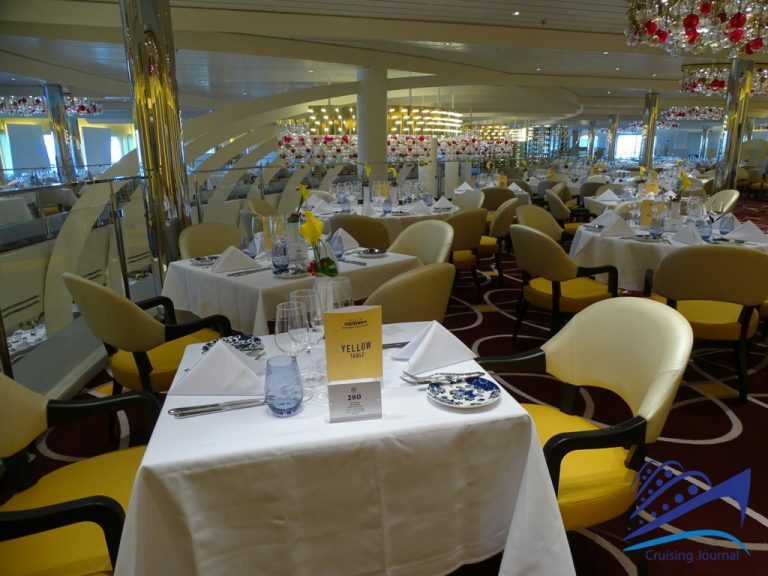 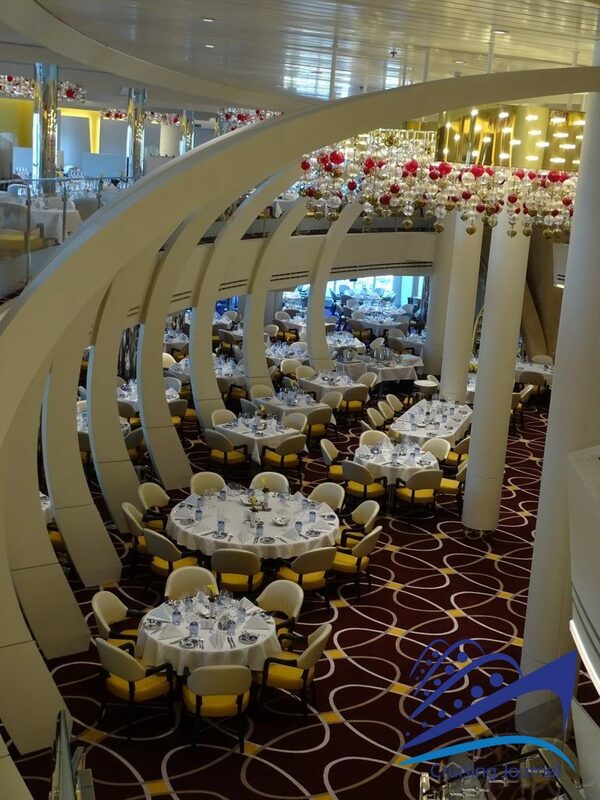 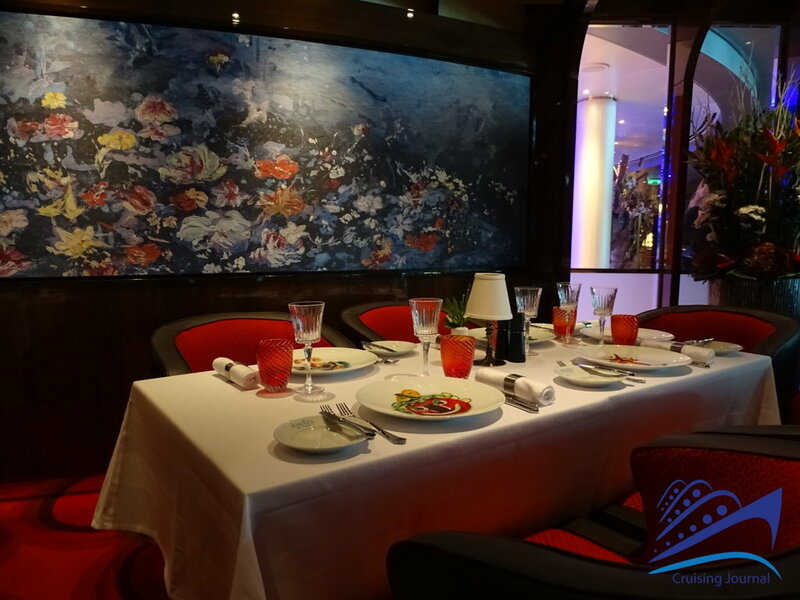 Overlooking the Atrium, we find two of the on-board specialty restaurants: the elegant Pinnacle Grill and the Rudi’s Sel de Mer, a true paradise for fish lovers. 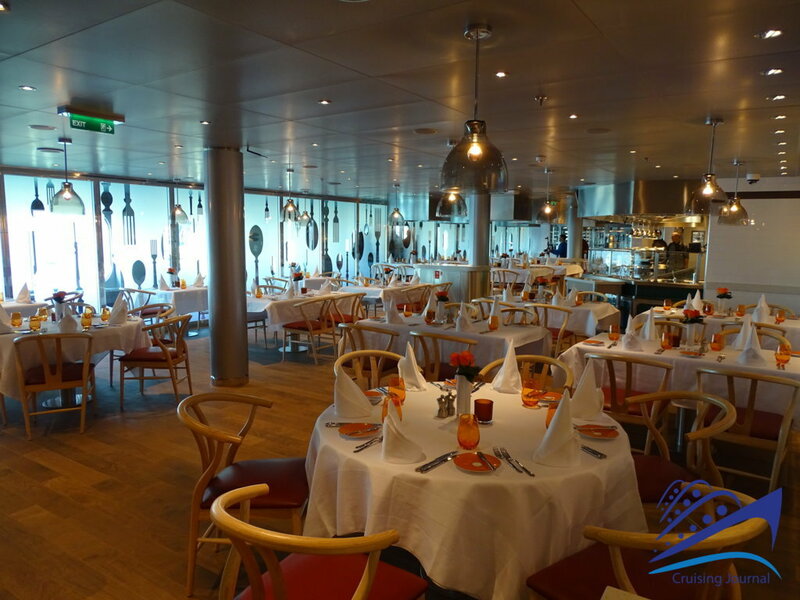 Before reaching the spacious and bright Dining Room, located at the stern, you will cross the Ocean Bar and two other not-to-be-missed places: the Blend and the Orange Club. 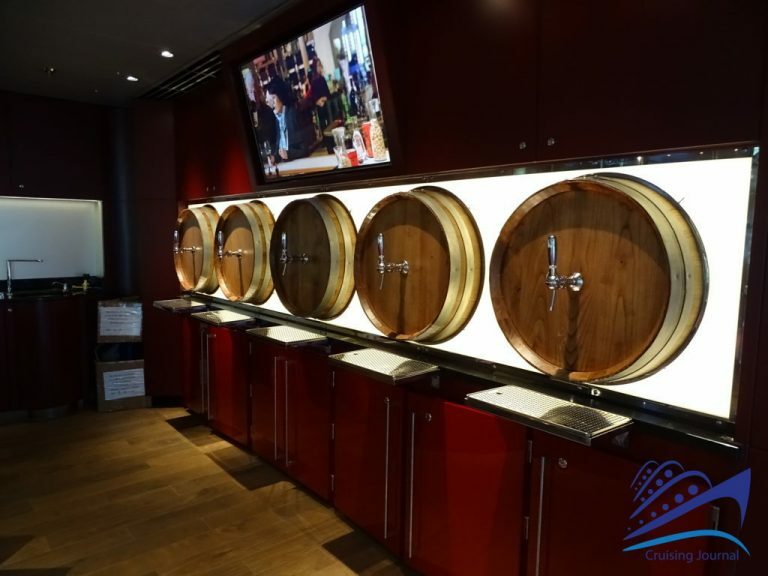 The first is a small spot dedicated to wine tasting, with the possibility of drinking good glasses or partaking on some guided tours. 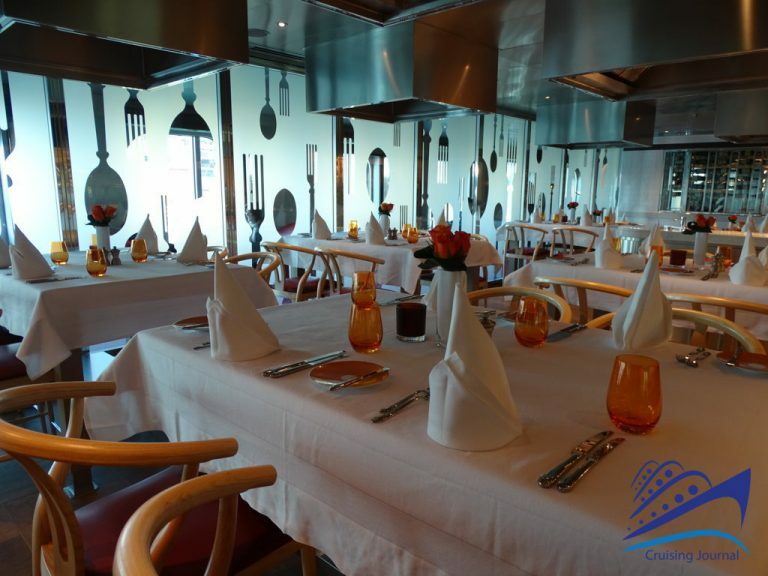 Club Orange is instead the restaurant that will make you feel at home, between the informal equipment, colorful furnishings and the ingredients exposed directly at the entrance. 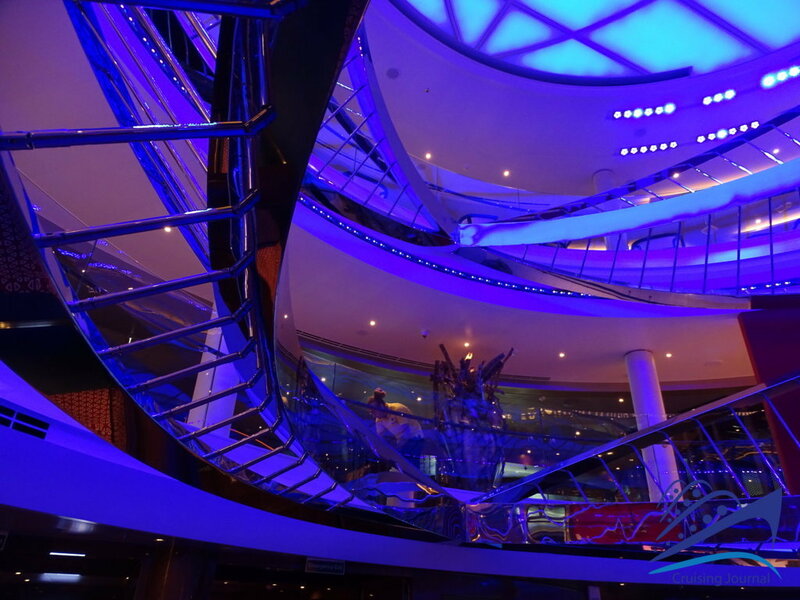 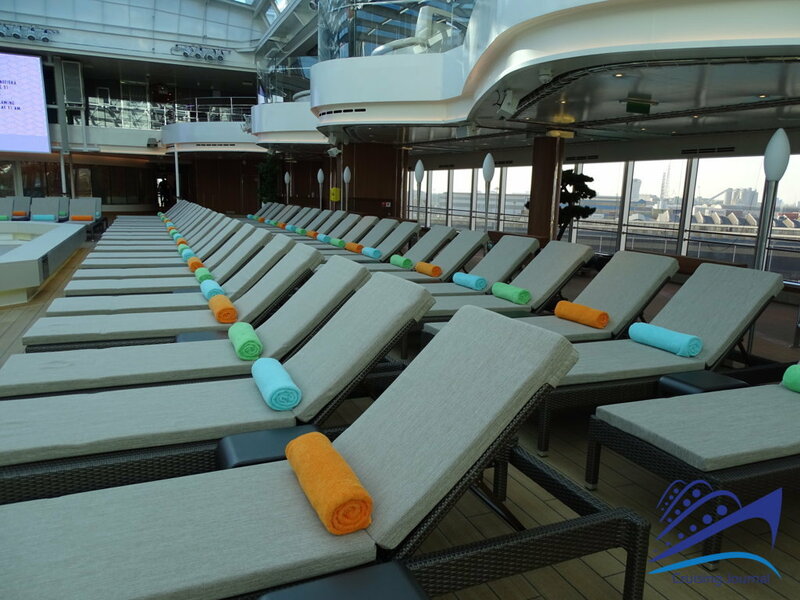 A further deck full of nice places, before climbing into the highest decks of the ship, is the third. 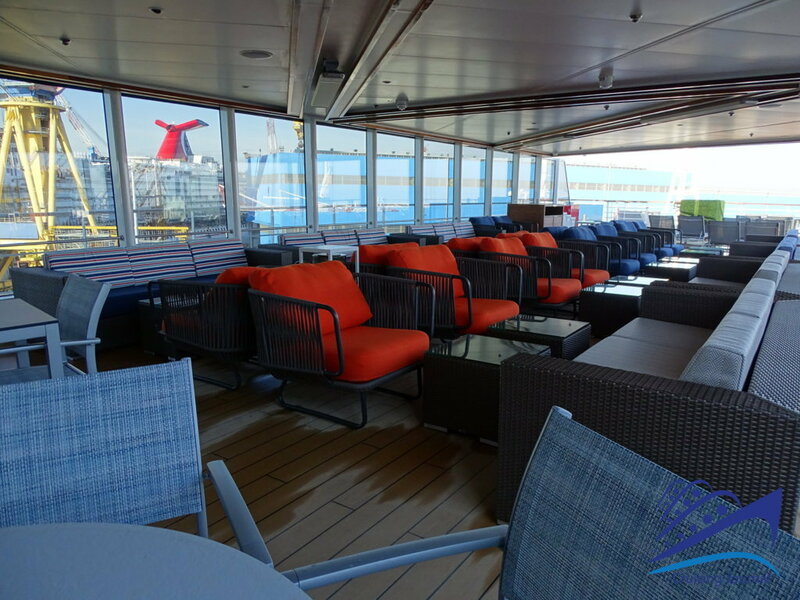 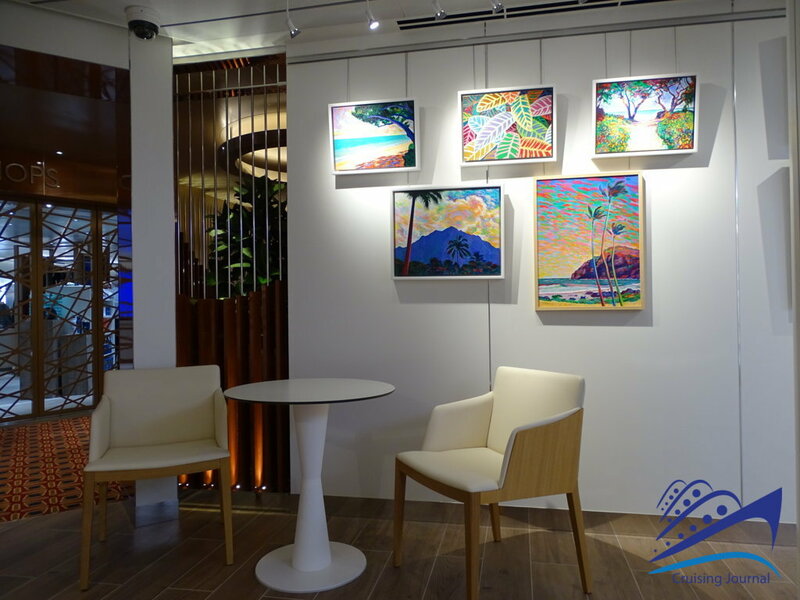 By the Aft, to follow a reverse path, we find the upper floor of the Dining Room, which is also decorated with colorful and lively furniture, overlooking the lounge below. 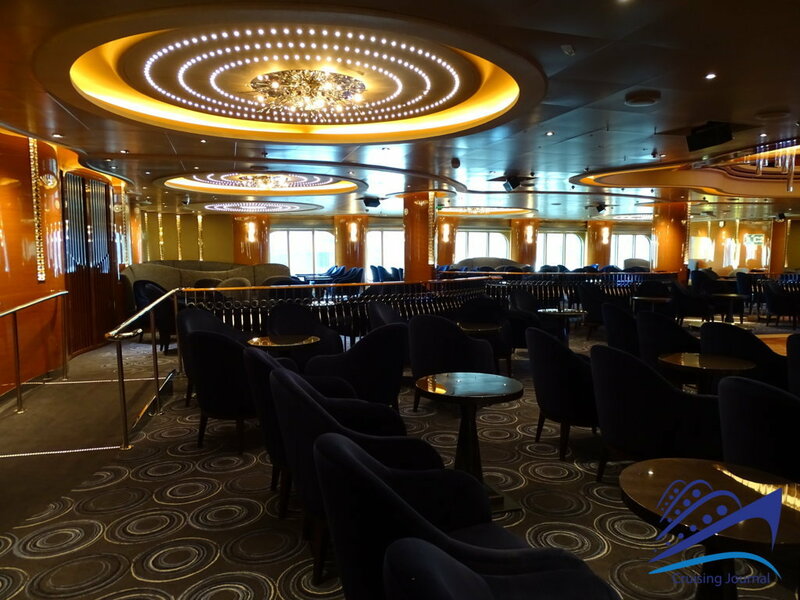 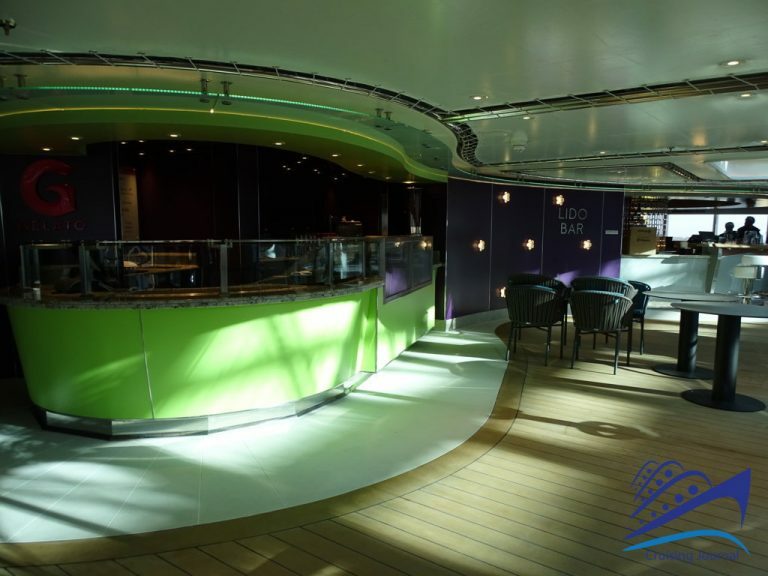 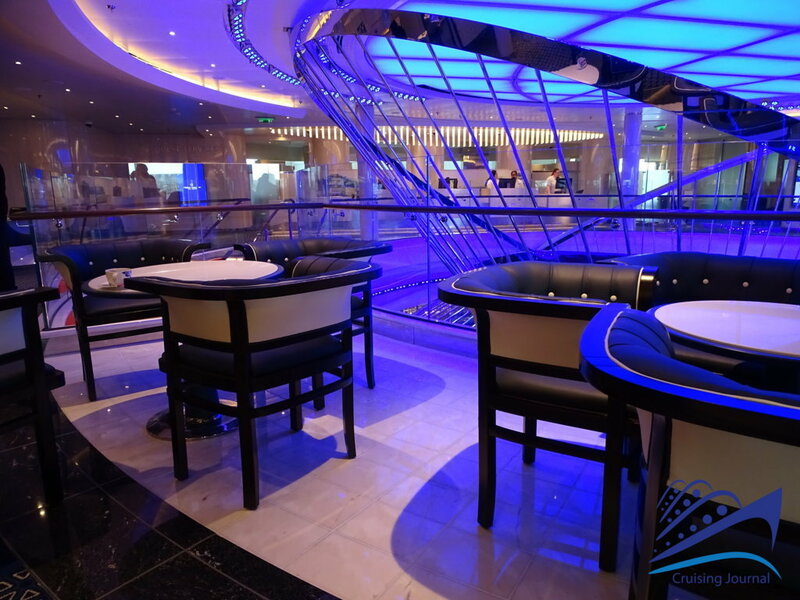 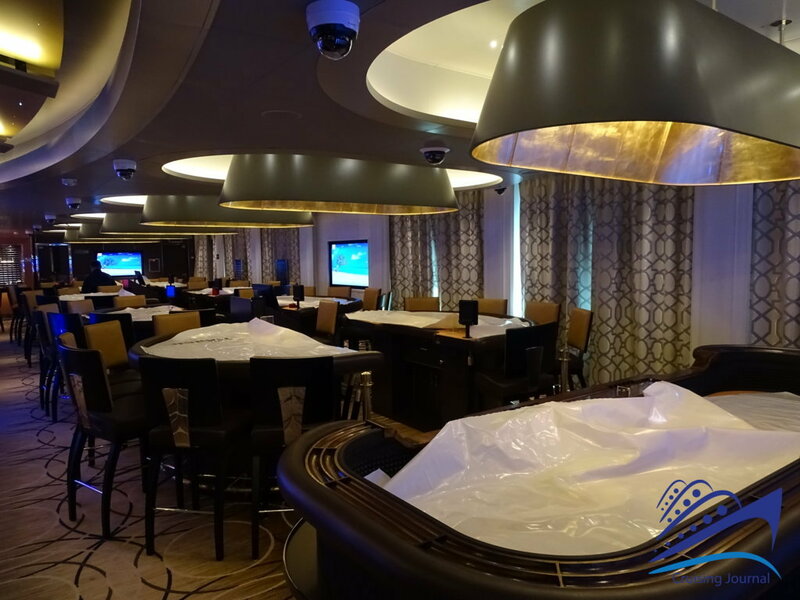 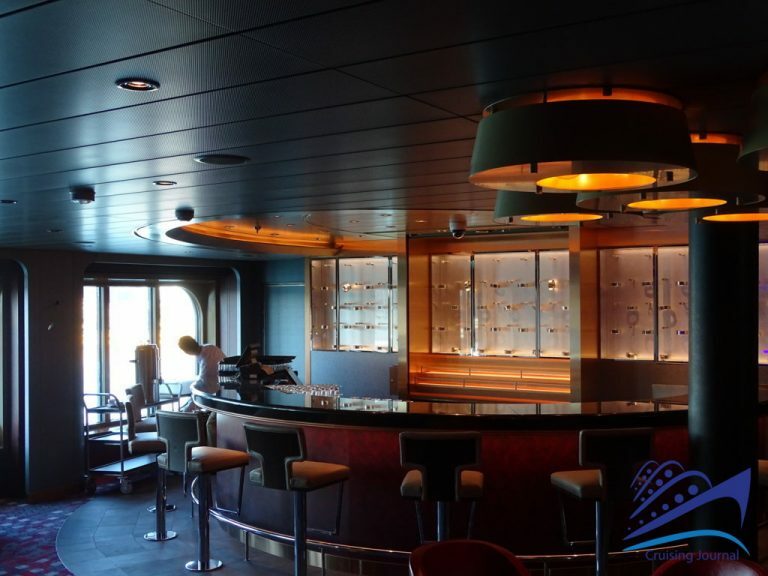 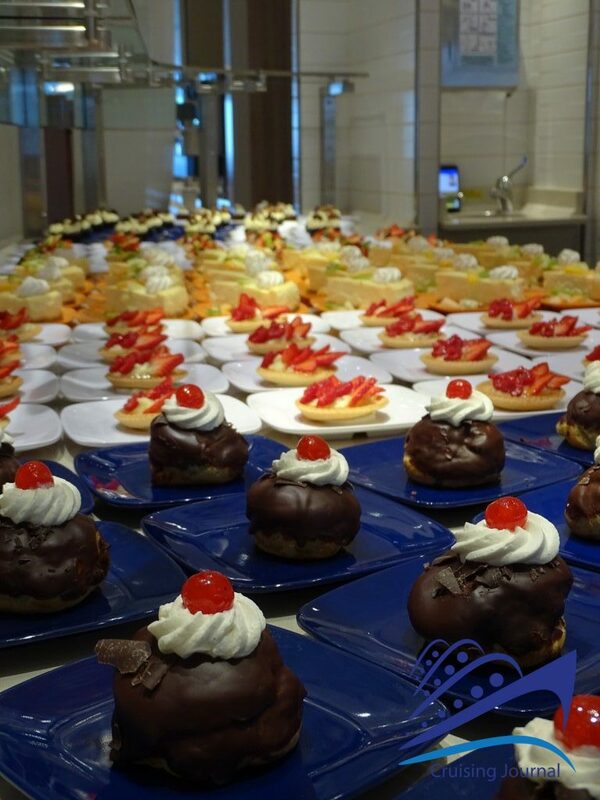 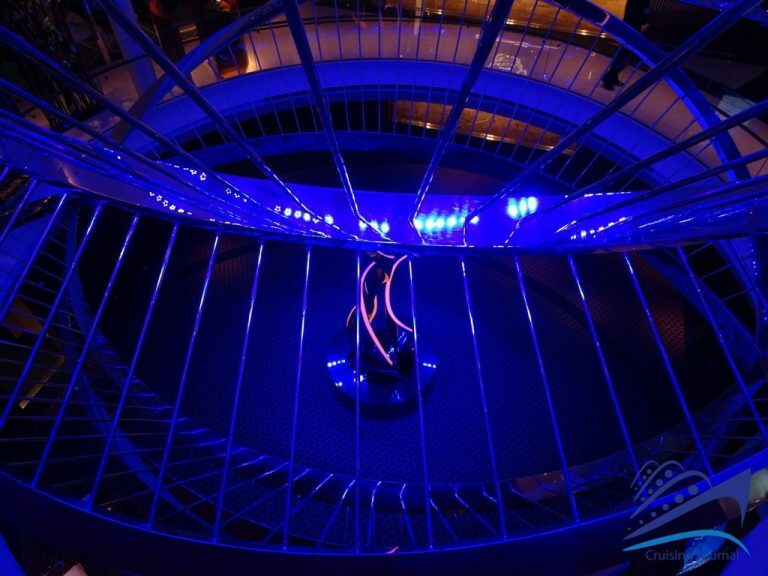 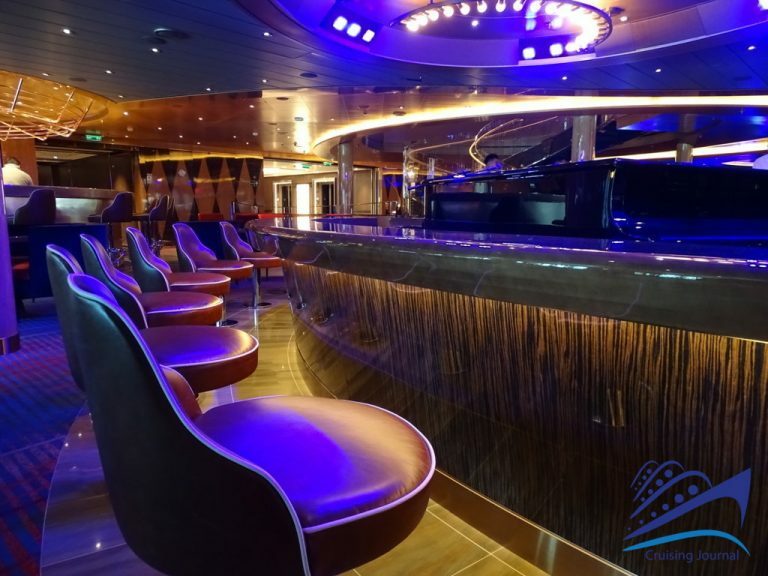 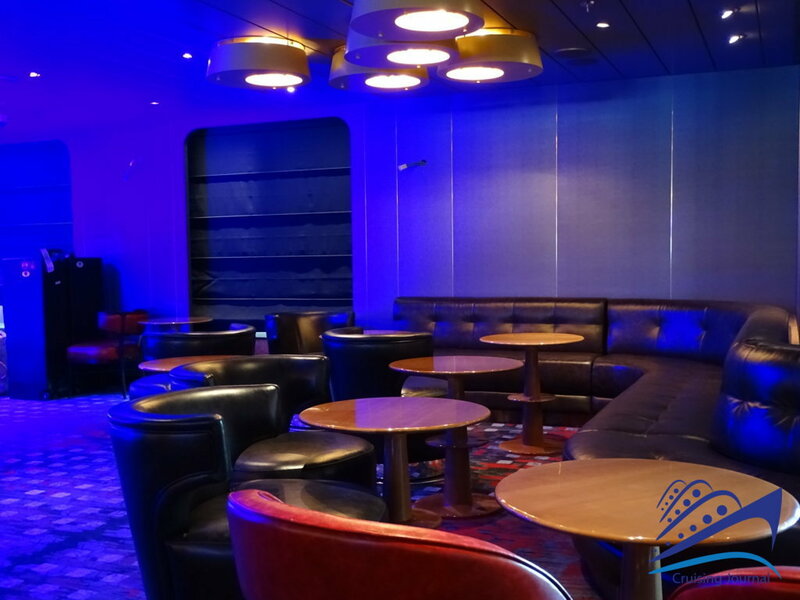 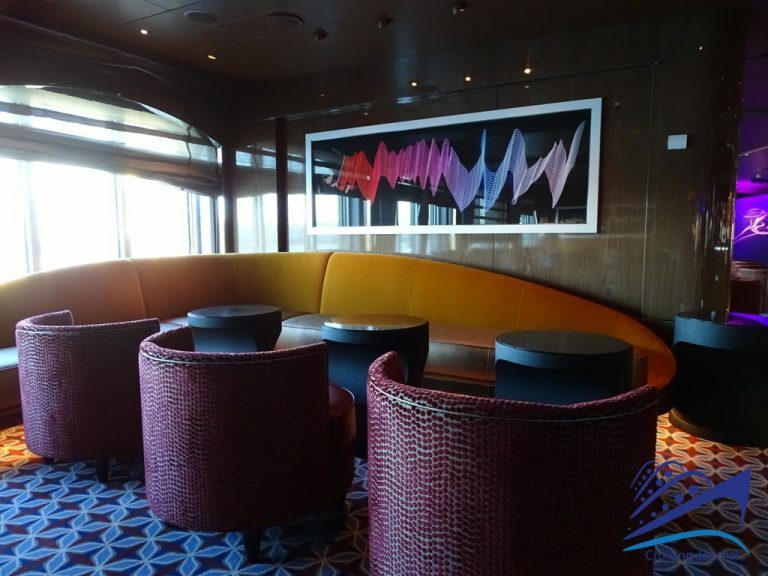 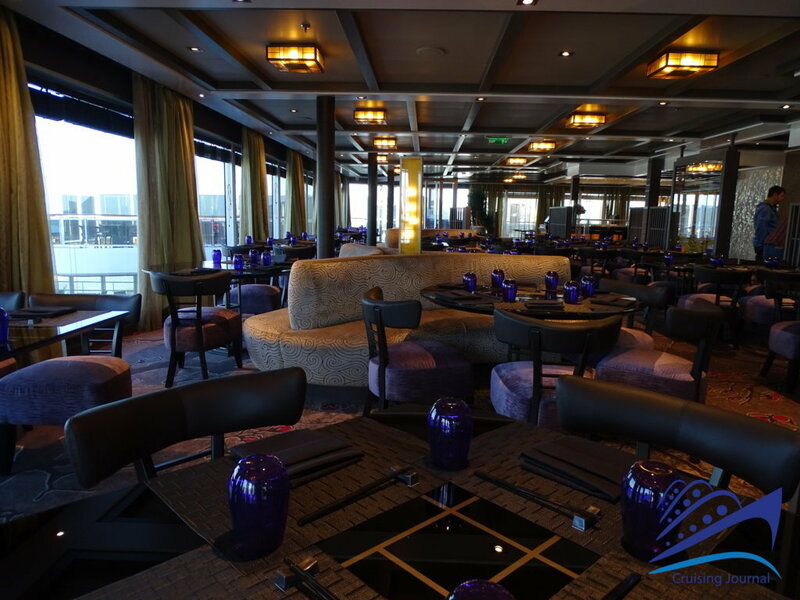 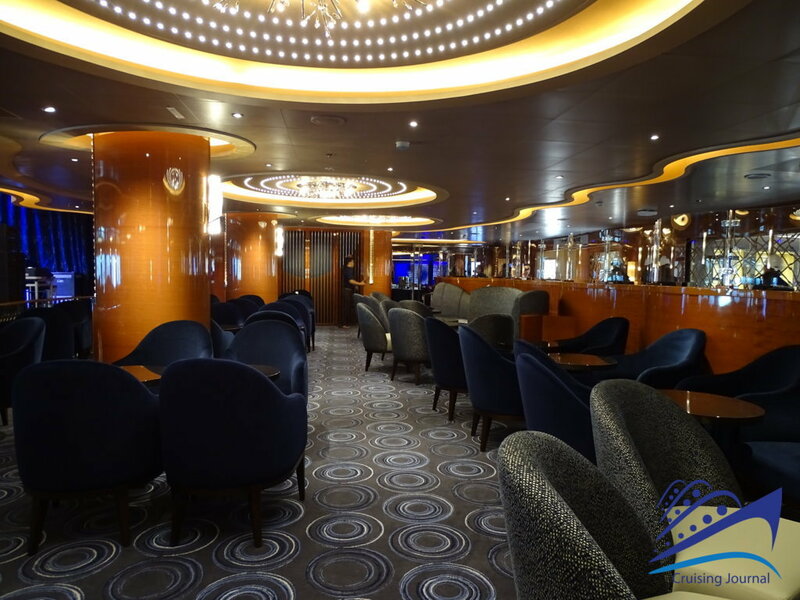 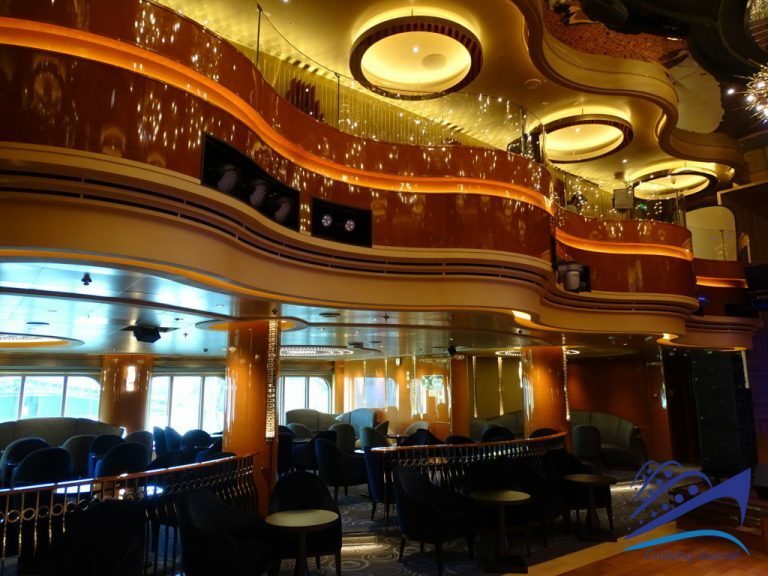 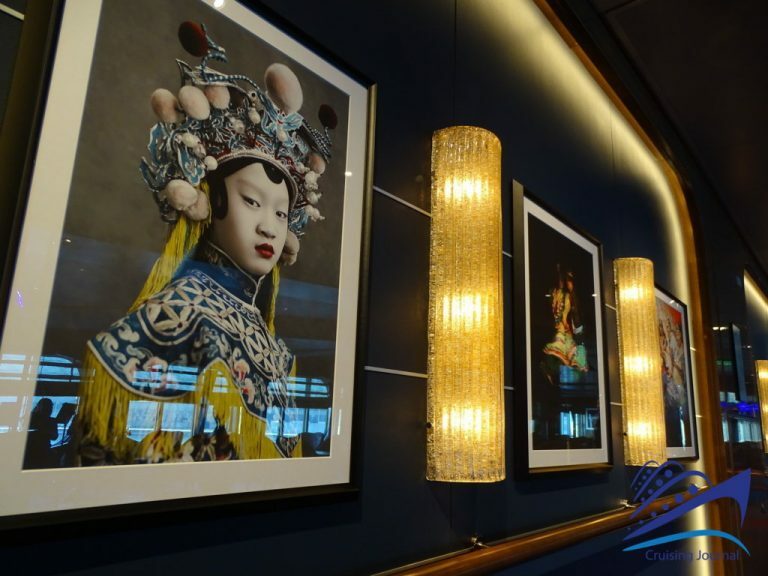 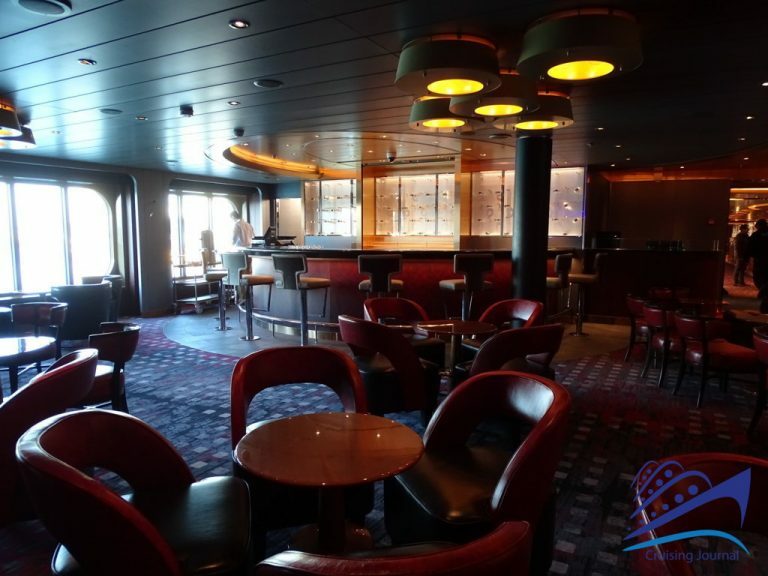 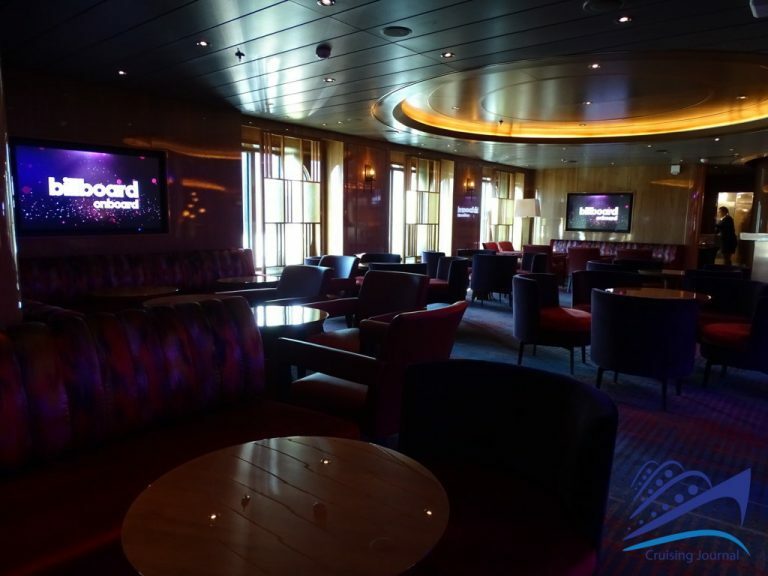 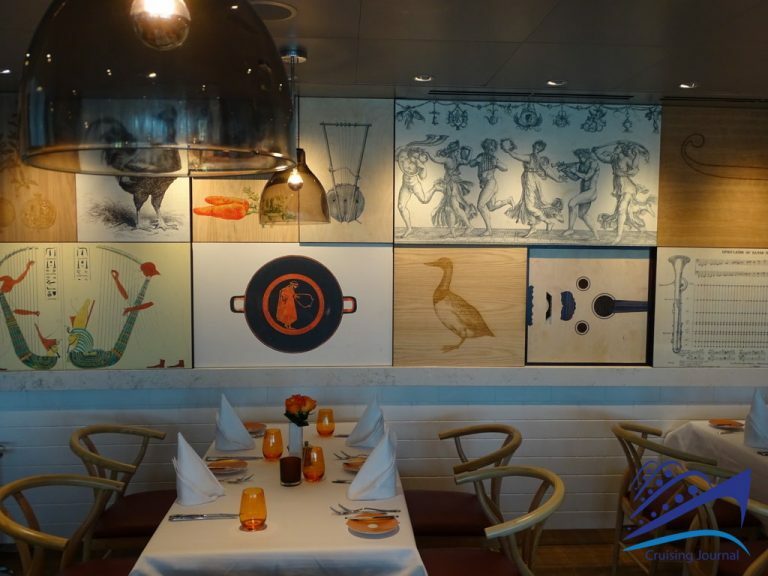 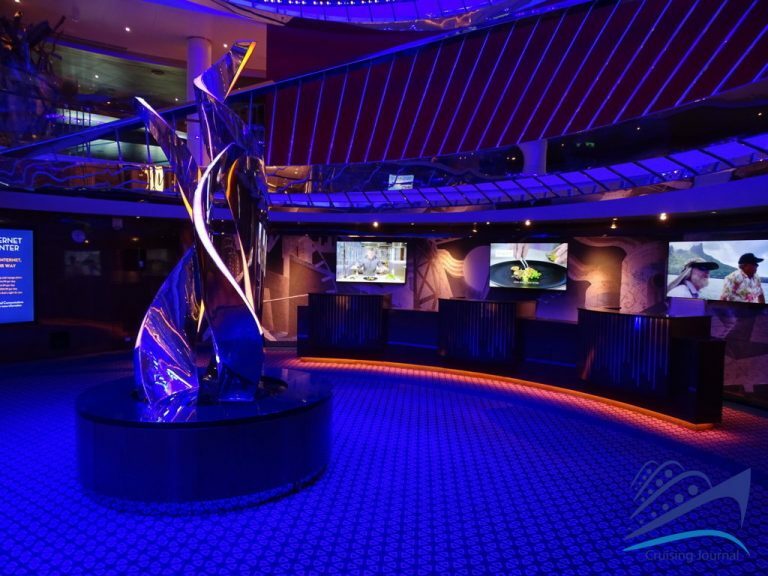 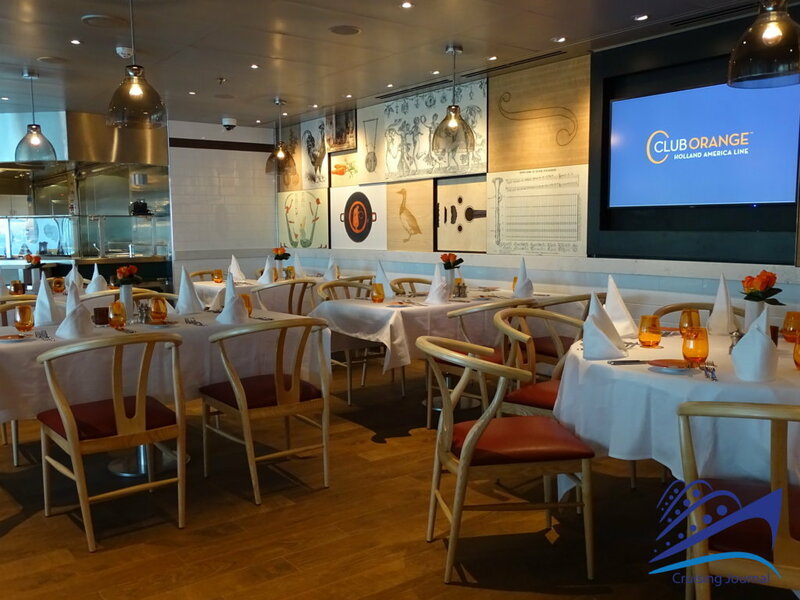 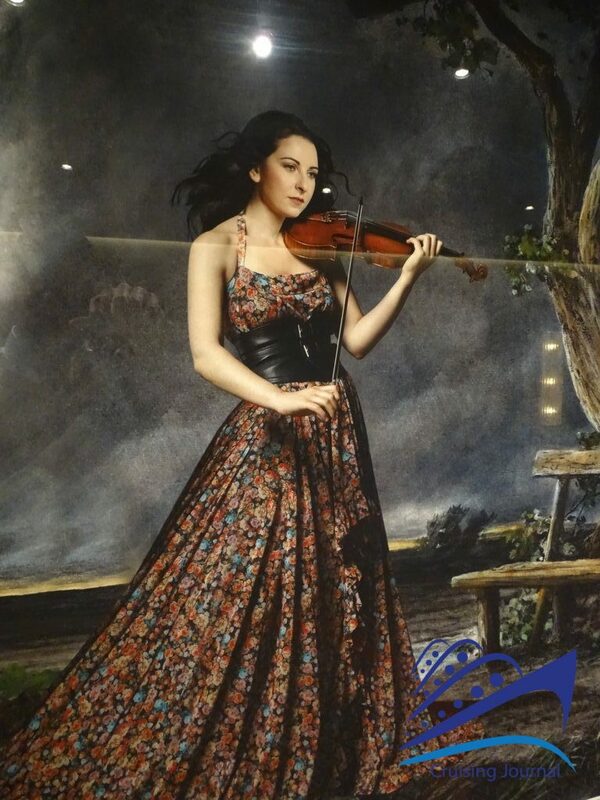 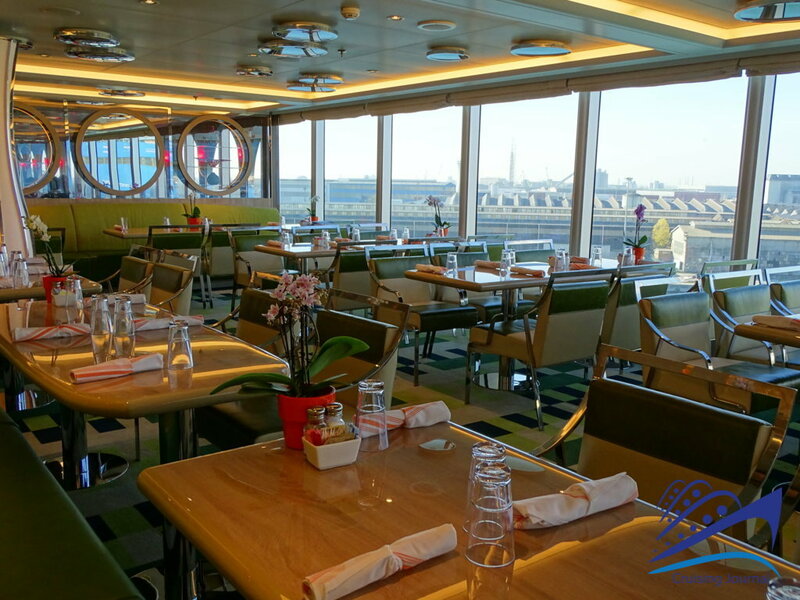 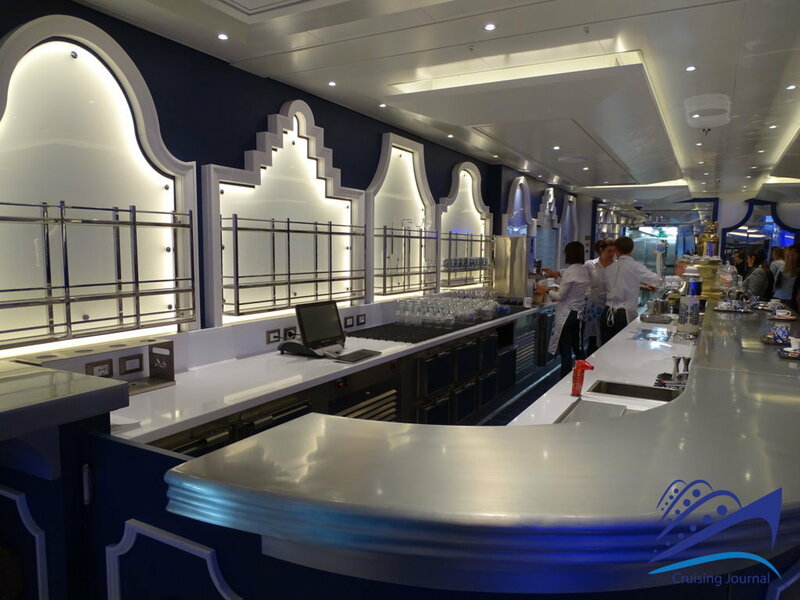 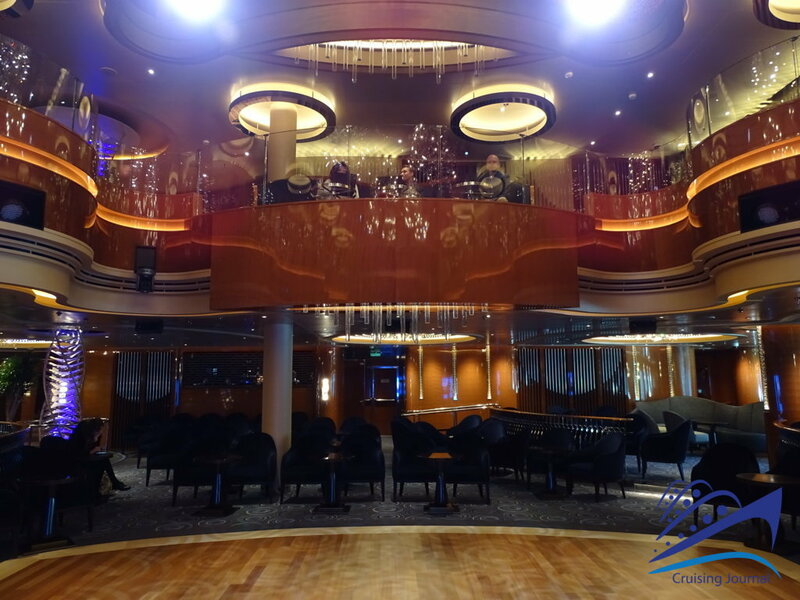 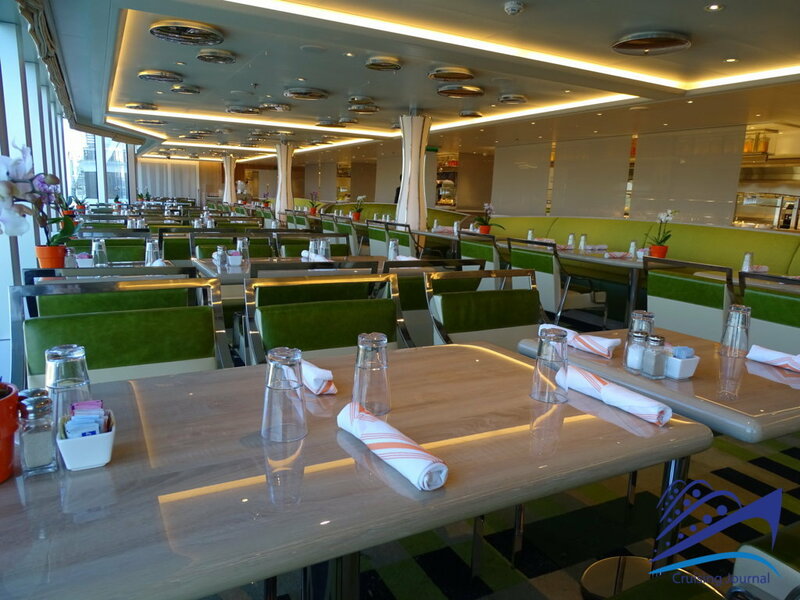 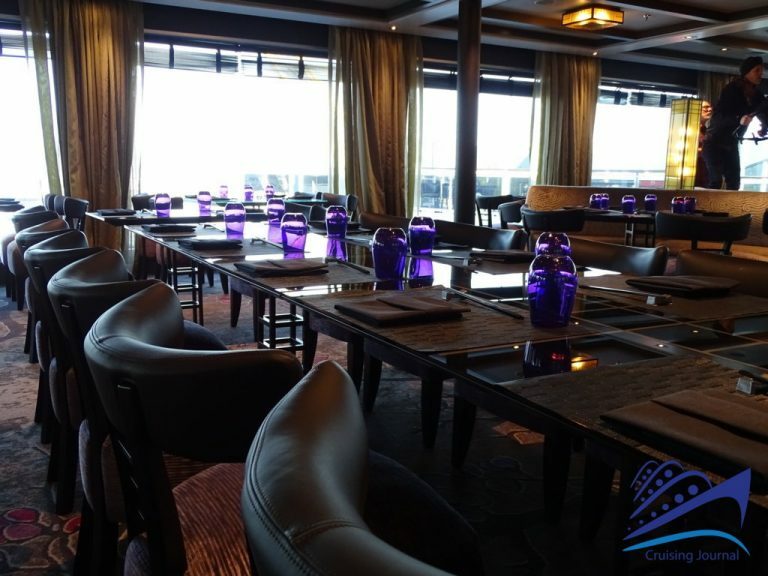 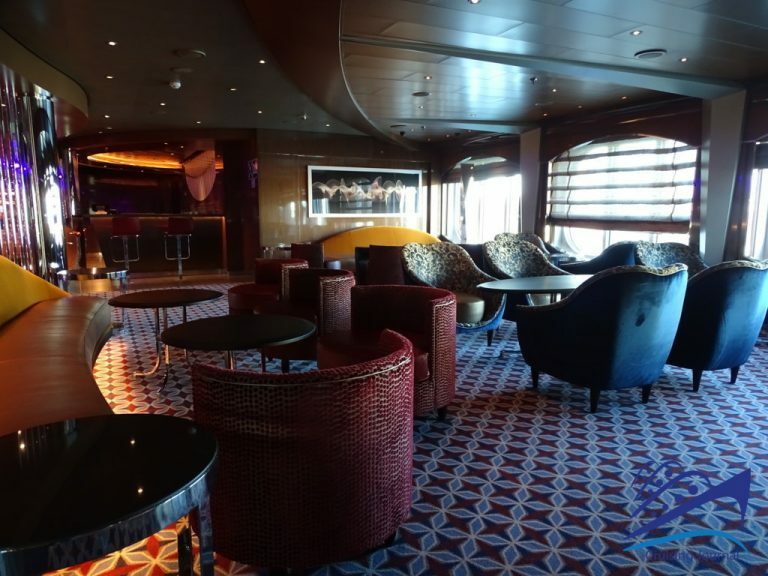 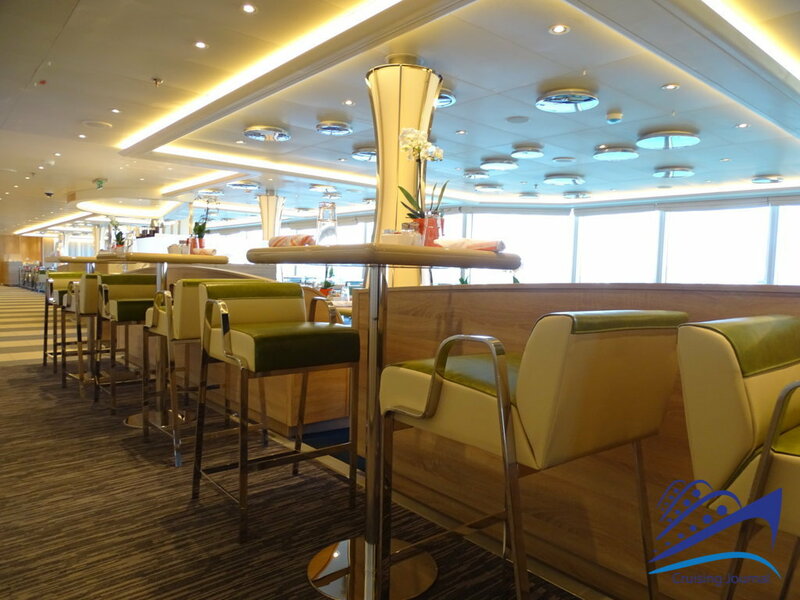 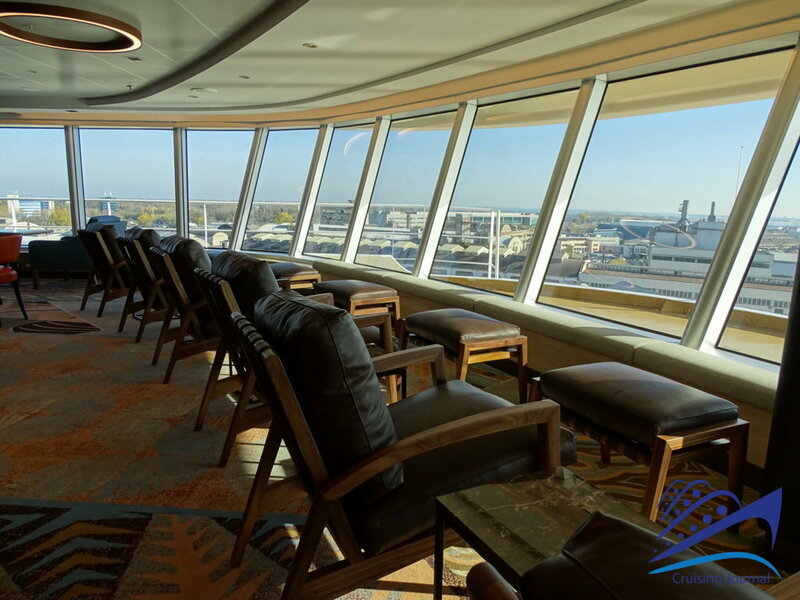 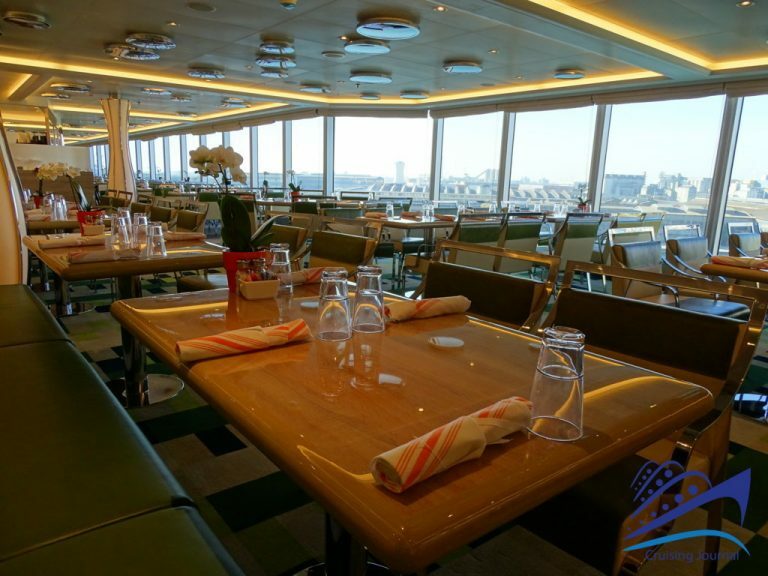 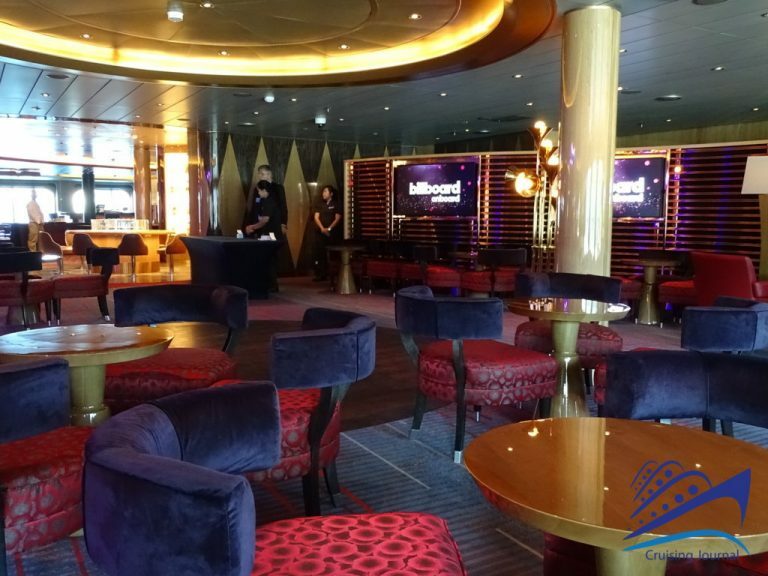 Through the Photo Shop you then reach the liveliest spot on the ship, at any time of day: the Grand Dutch Café. 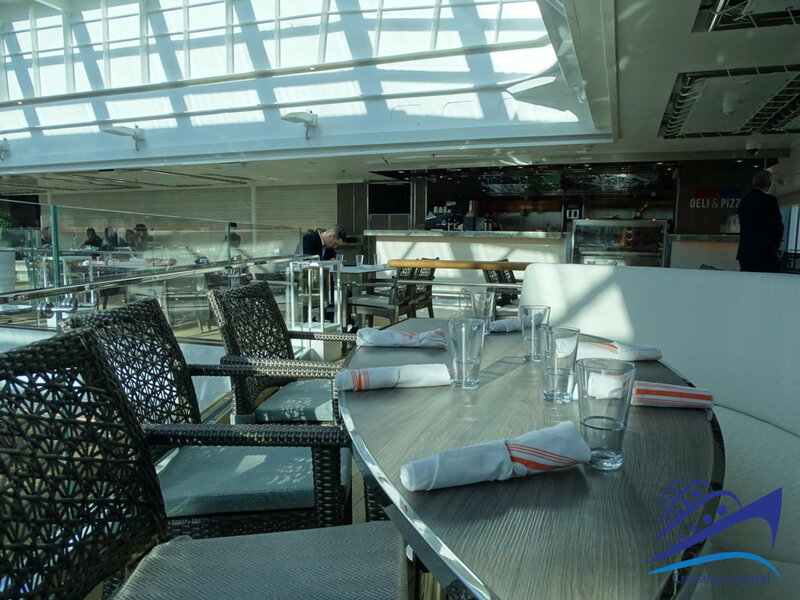 Here you can find a sweet or savory snack, or a good espresso coffee to be enjoyed on the veranda on the outside promenade. 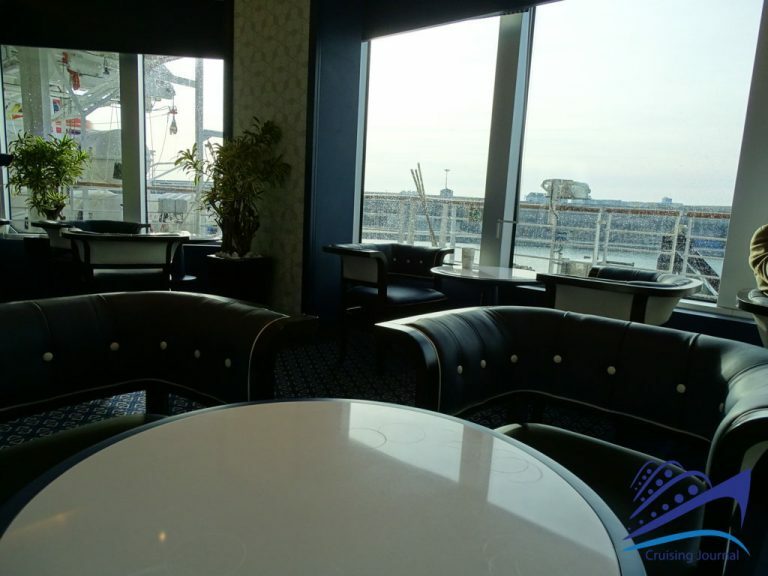 Opposite, we have the Reception, and a nice view on the Atrium. In the middle of the ship we have the B.B. 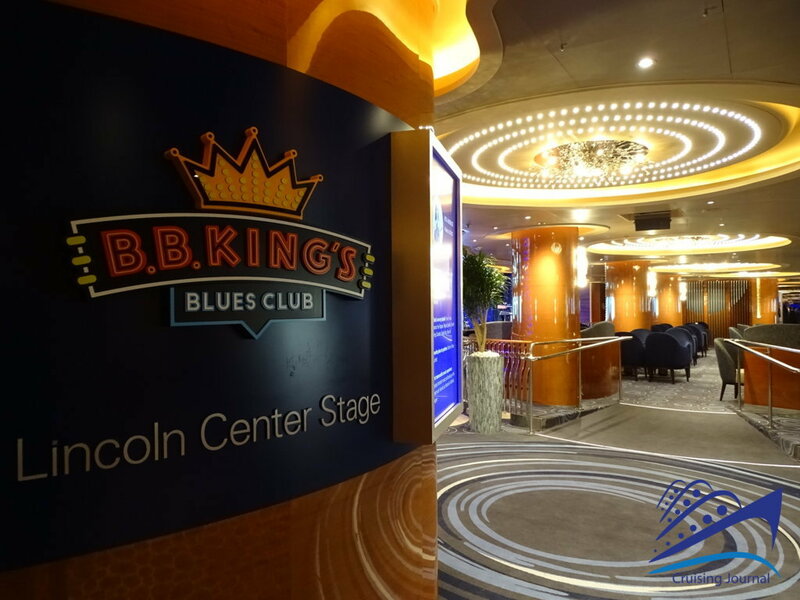 King’s Blues Club and the Lincoln Center Stage. 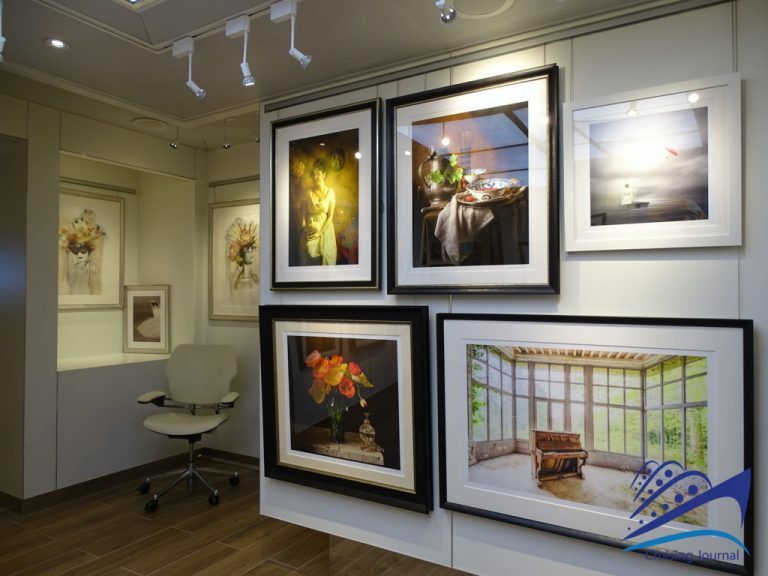 The Art Gallery offers numerous works on display, well-lit on white walls. 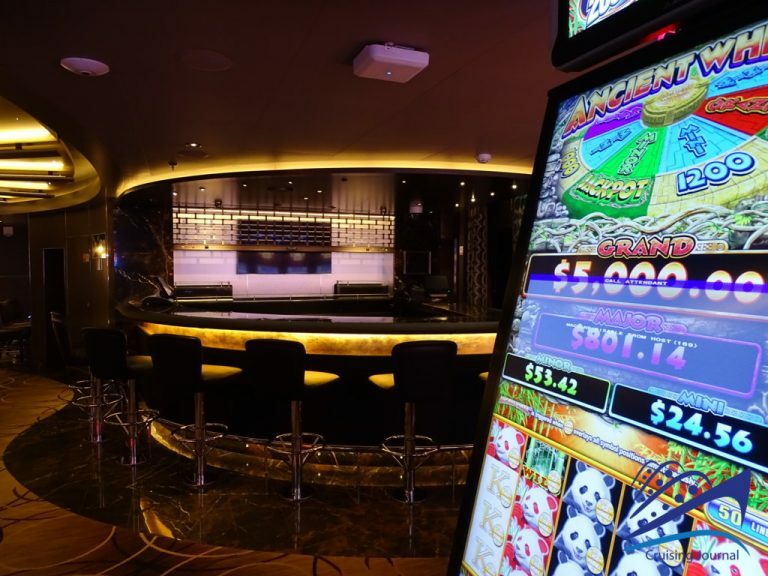 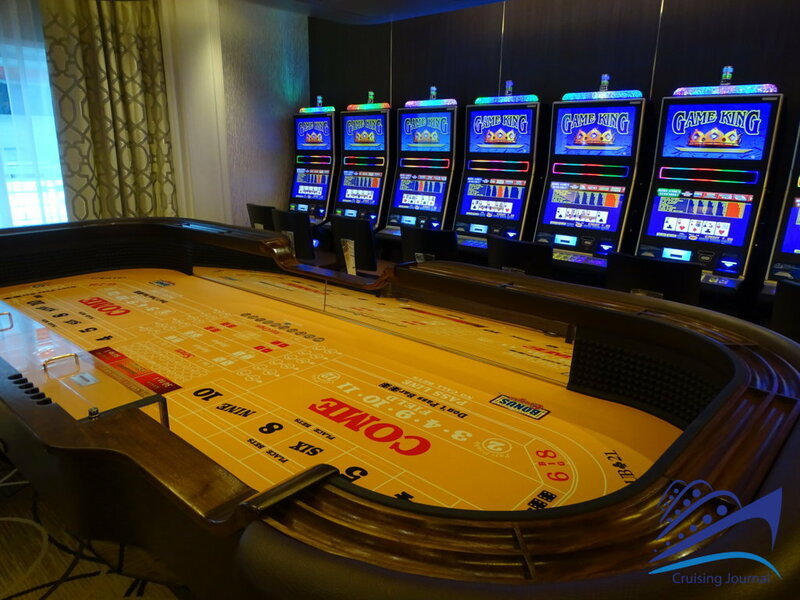 Returning towards the bow, finally, before the top of the World Stage, there is the Casino, with numerous slots and tables, served by its own bar. 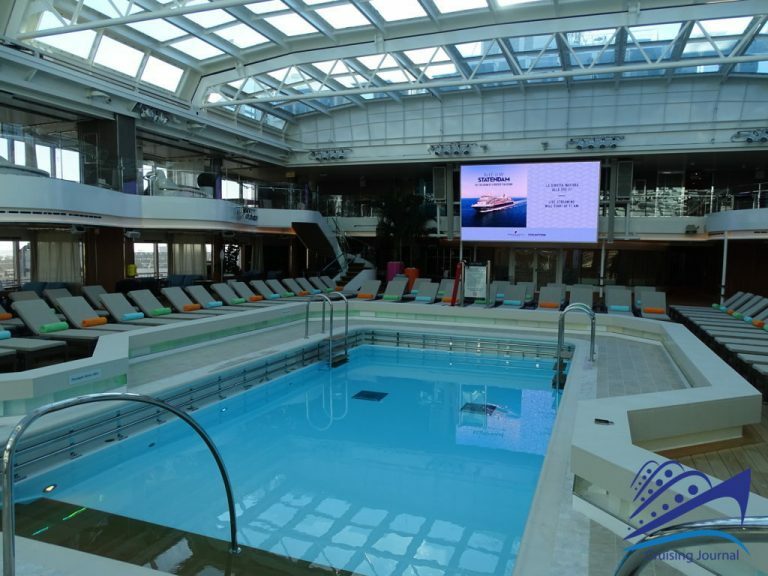 From here you go up to the Lido deck to continue exploring the premises of Nieuw Statendam. Here is the Greenhouse Spa & Salon at the bow, followed by the extensive Fitness Center. The Lido Pool, a central pool with a self-propelled roof, is accompanied by a series of Jacuzzis and has plenty of sun loungers. 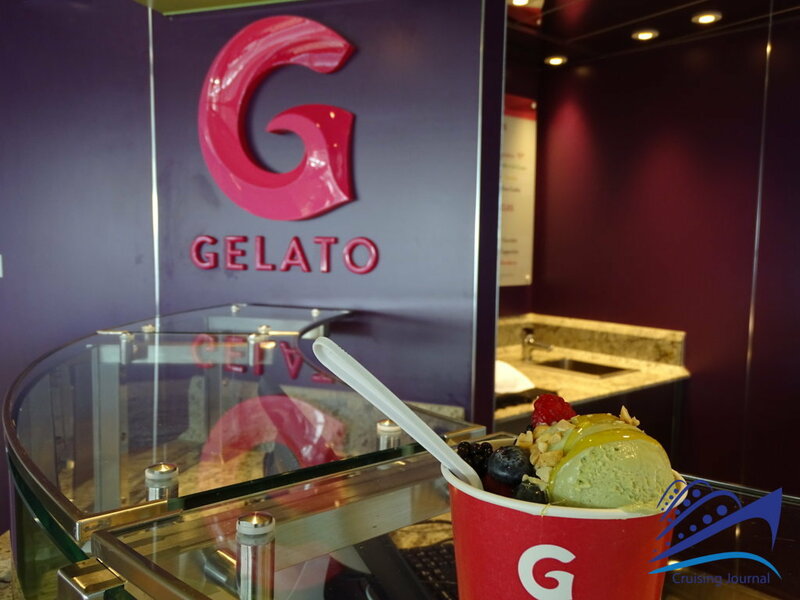 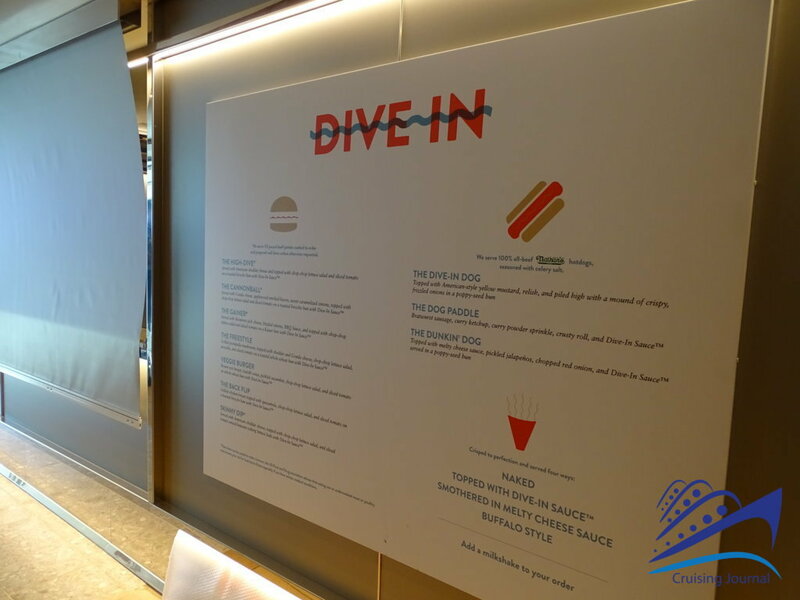 By the aft of the central Lido there is the Gelato station, with exquisite ice creams and toppings, the Dive In, ideal for a hot dog or a hamburger, and the Lido Bar. 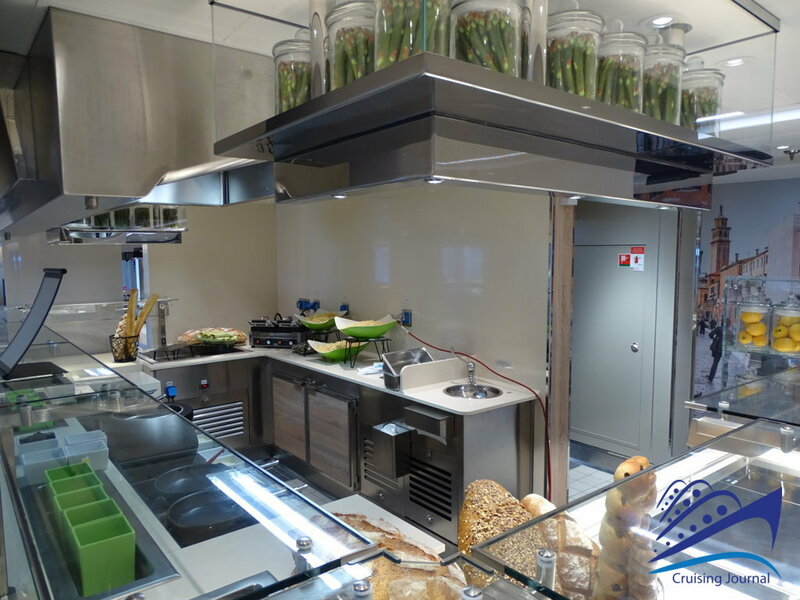 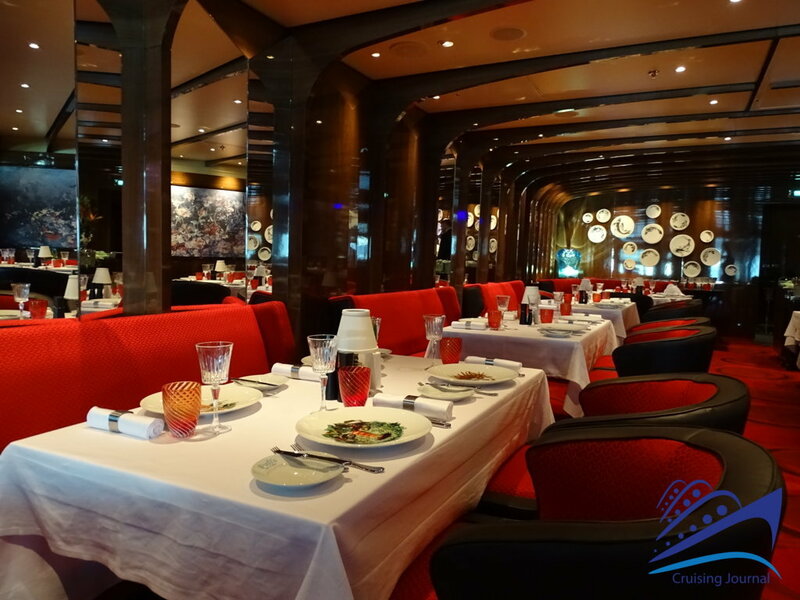 You can access the Lido Market buffet restaurant, passing through the Canaletto Italian restaurant. The buffet is large and features various specialties, from sushi to salads, from delicious desserts to the most inviting baked goods. 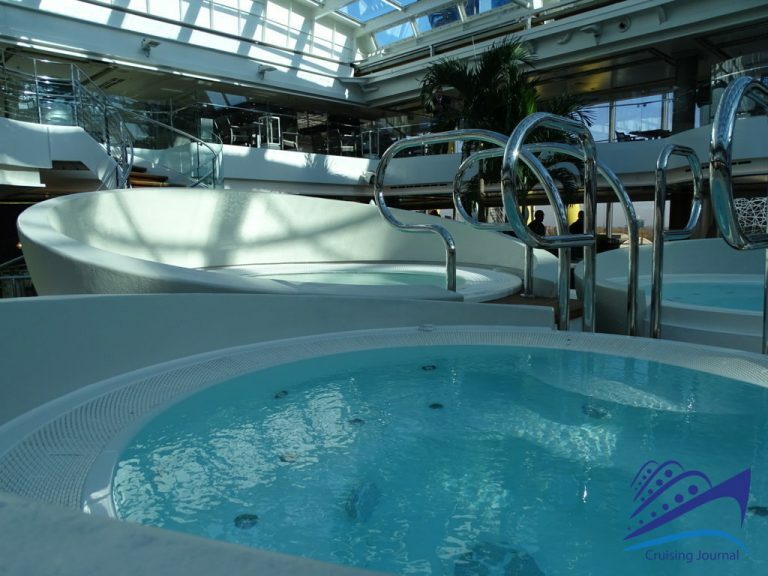 Finally, at the stern we have the Sea View Lido, a further swimming pool with two Jacuzzis and its own bar. 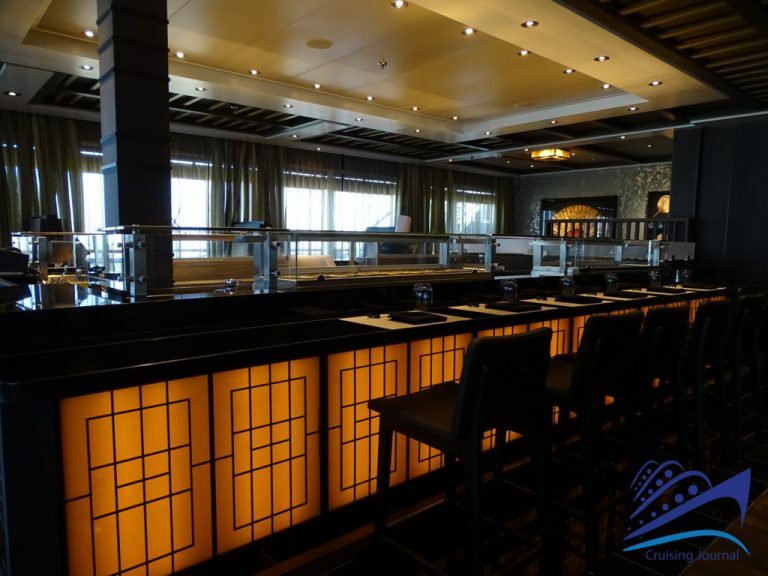 If you climb a deck from there, you find yourselves at Tamarind Nami Sushi, a beautiful restaurant dedicated to oriental cuisine. 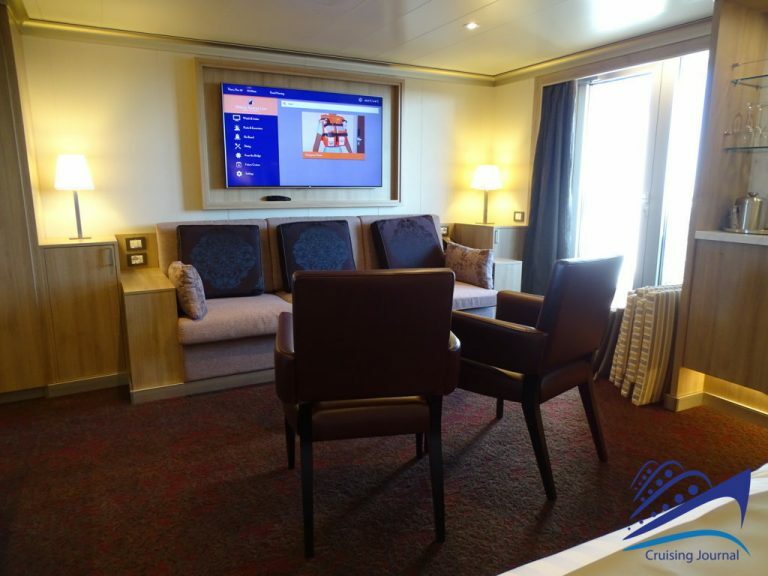 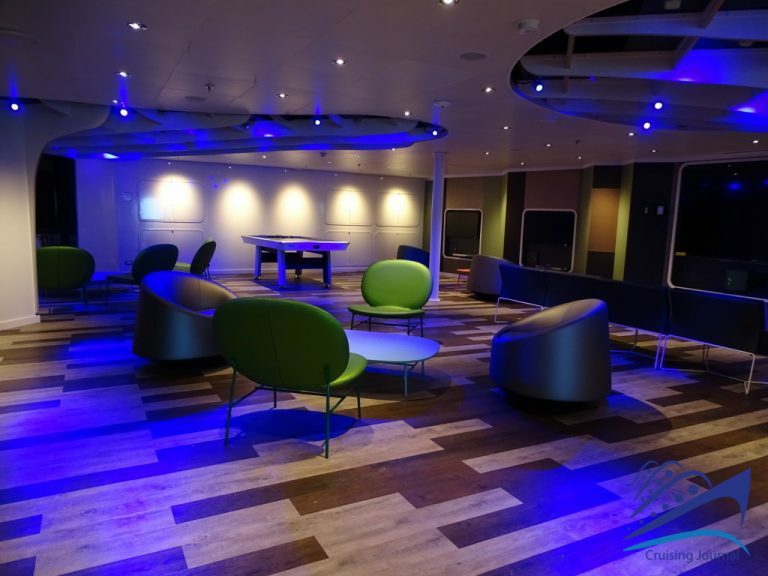 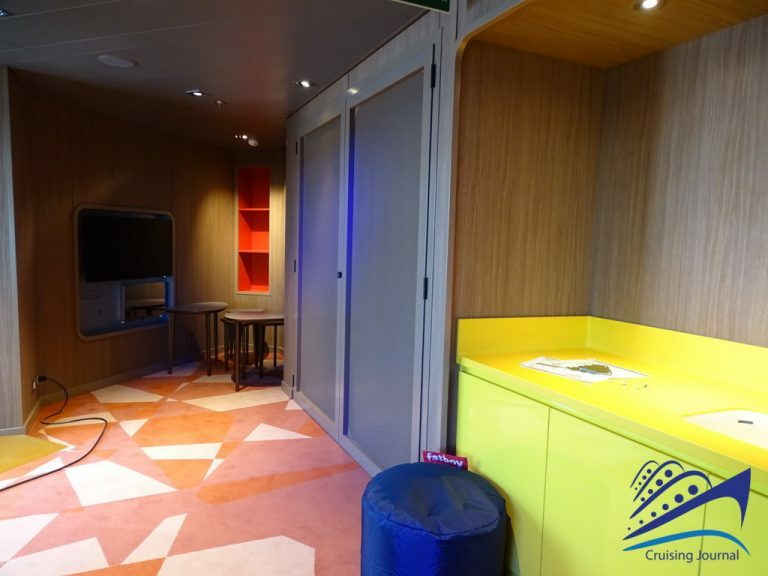 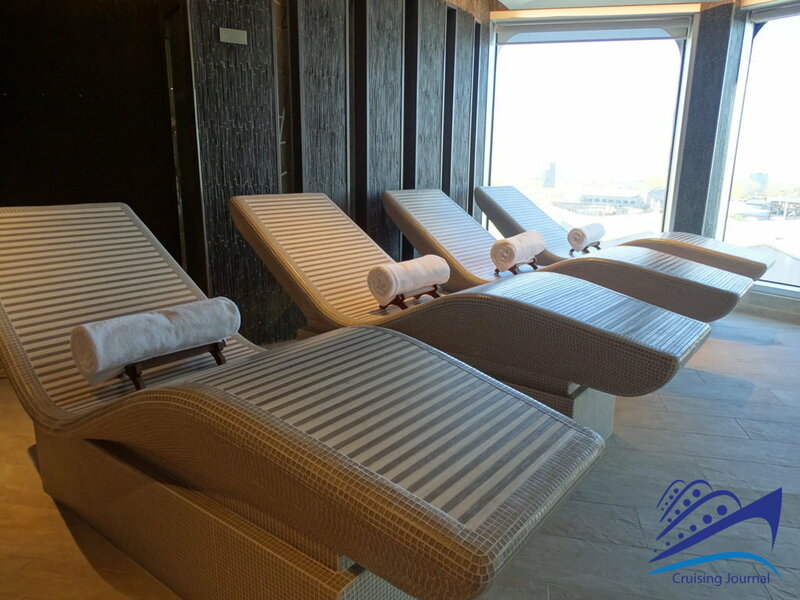 In the middle of the ship there is a space for the little ones: the Loft for teenagers and the Club Hal for children. 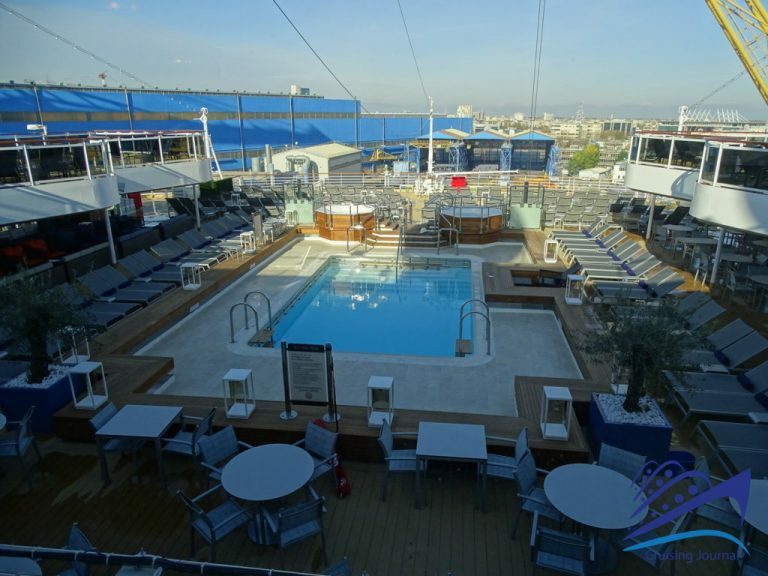 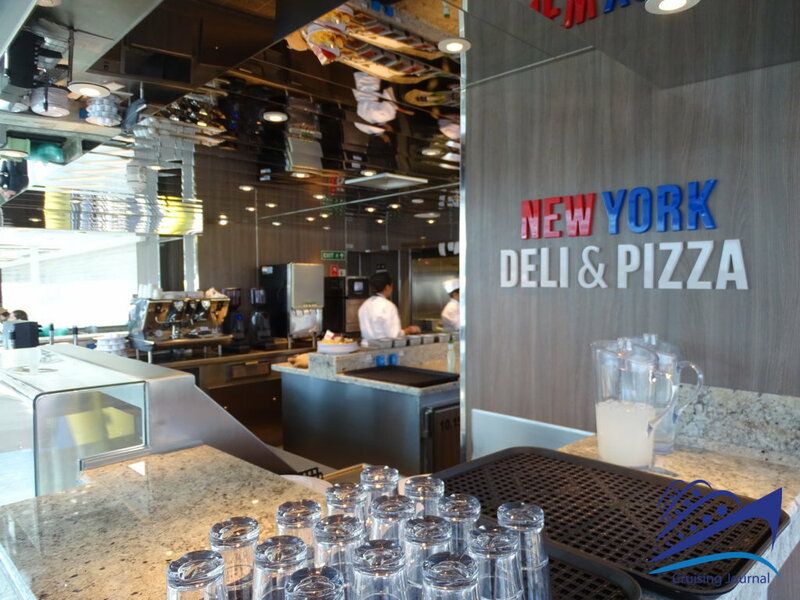 At the center of the ship, the Panorama Bar and the New York Deli & Pizza overlook the central swimming pool, the latter is open for a long time, where you can taste excellent pizza, sandwiches and salads. 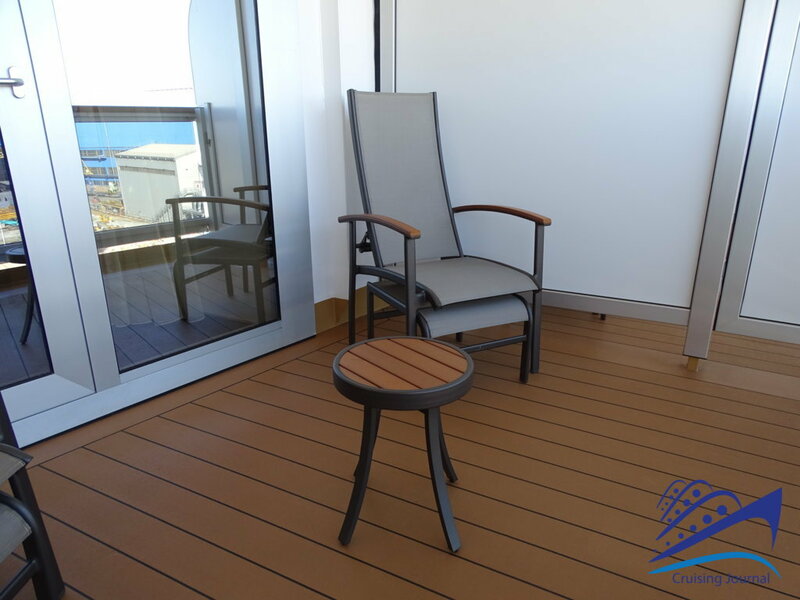 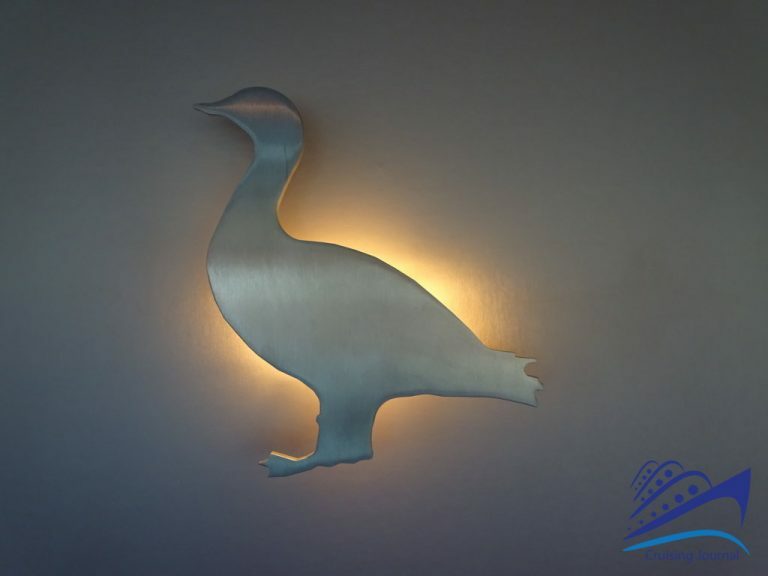 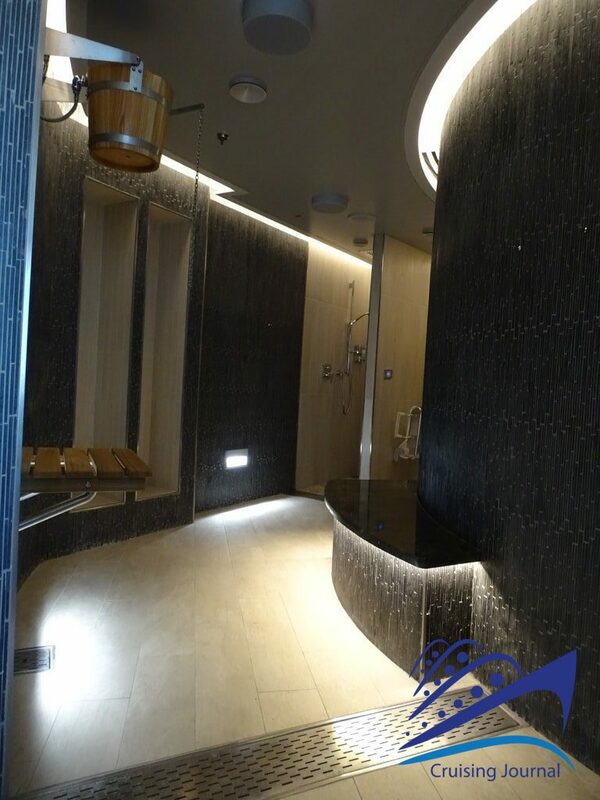 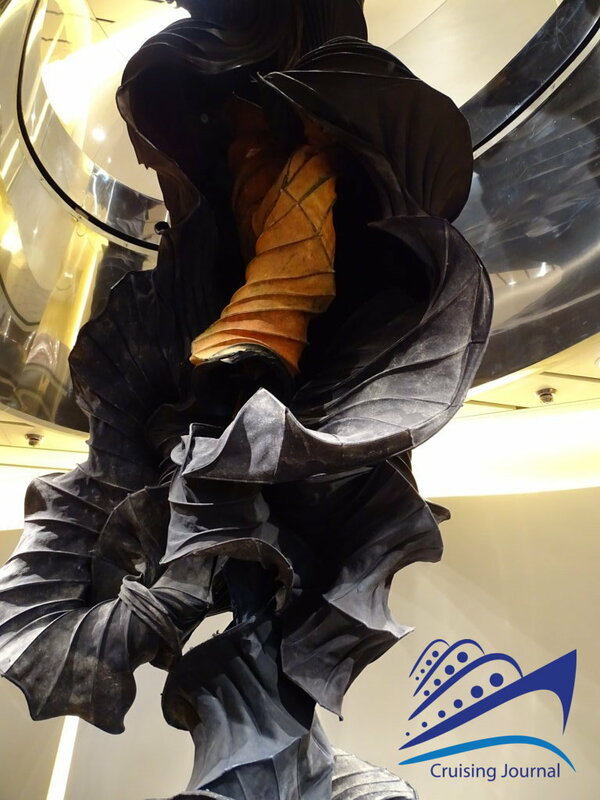 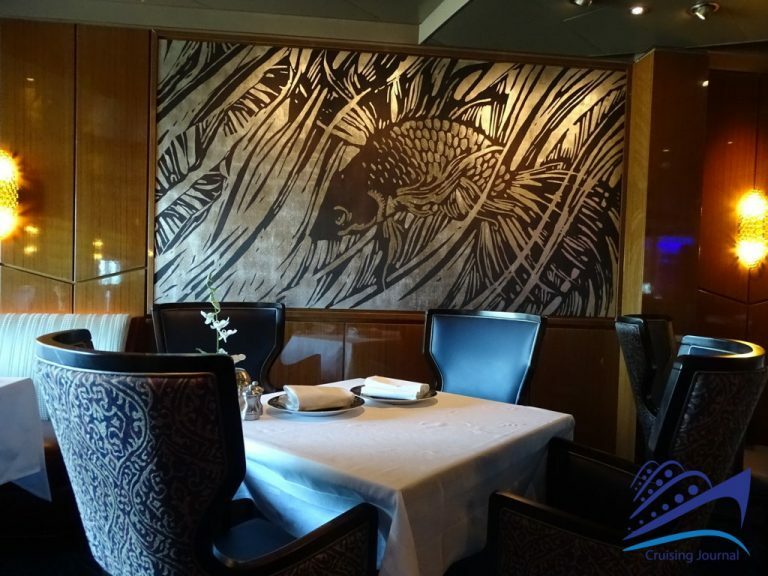 At the end of deck 12 there is another icon of the Holland America Line fleet, the Crown’s Nest. 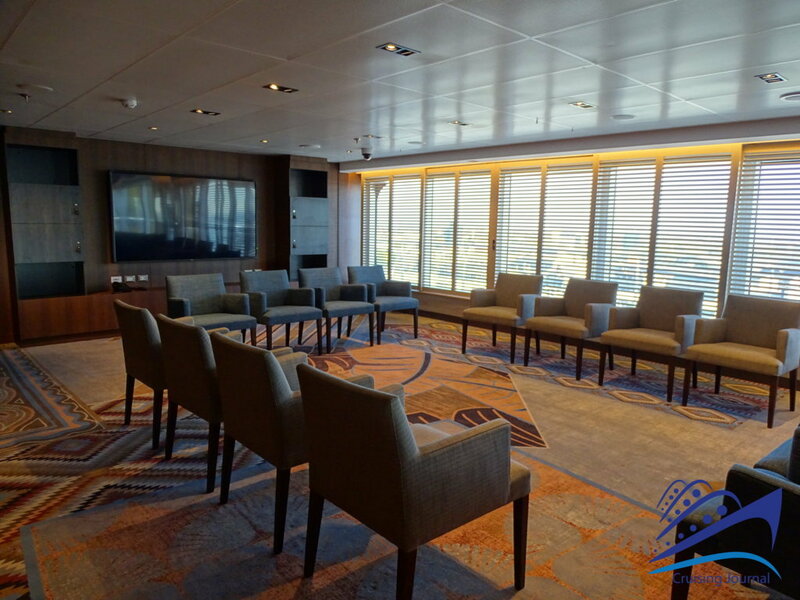 Beautiful venue overlooking the bow, offers relaxation in its leather armchairs, useful information in the Explorations Central, the possibility to buy excursions at Shore Excursions and finally the chance to drink a good coffee at Explorations Cafè, perhaps by consulting the mega interactive screens. 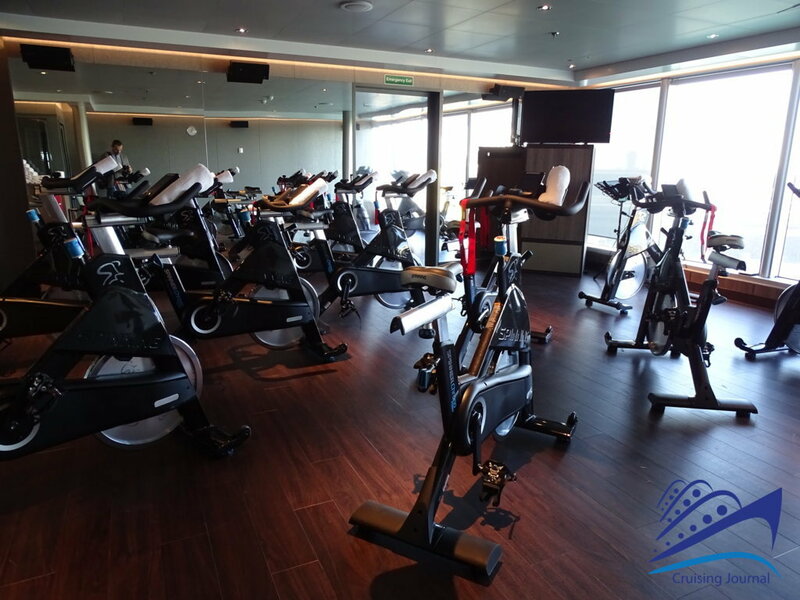 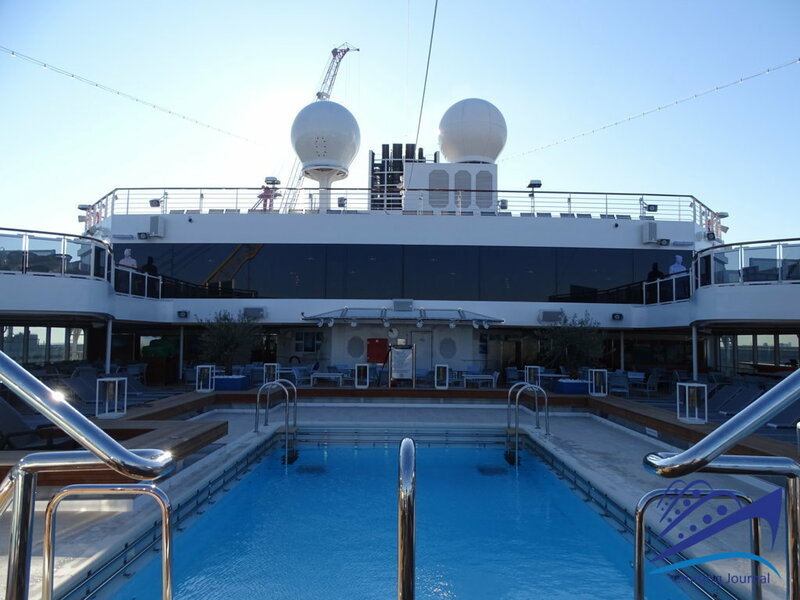 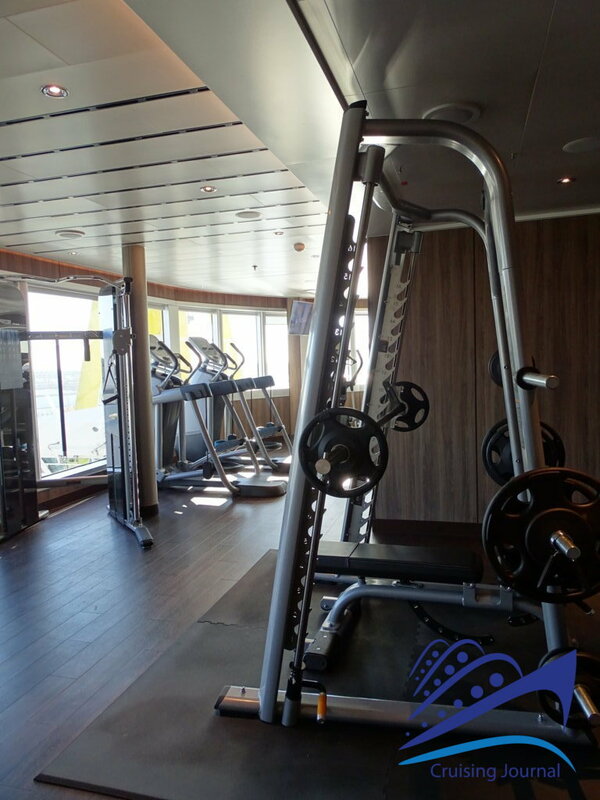 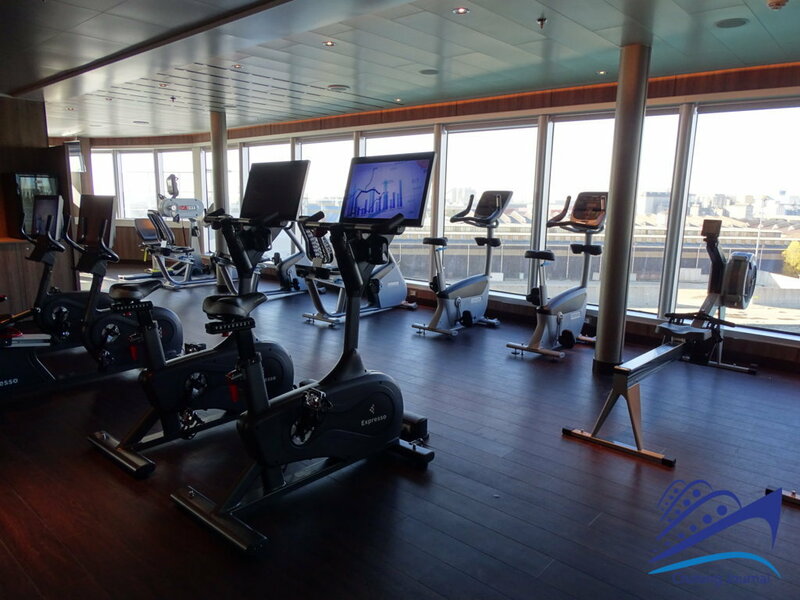 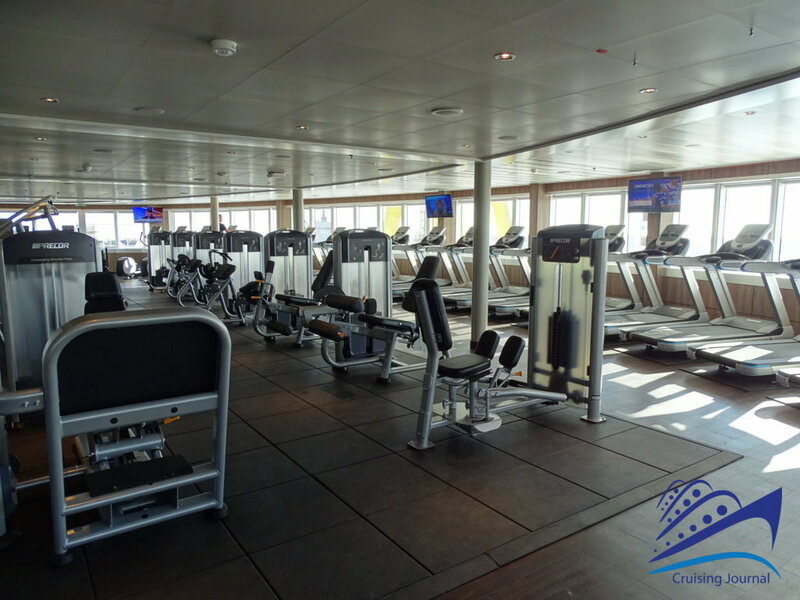 In the higher decks it is possible to devote yourself to sports: deck 11 hosts a jogging path and a multi-purpose sports field. 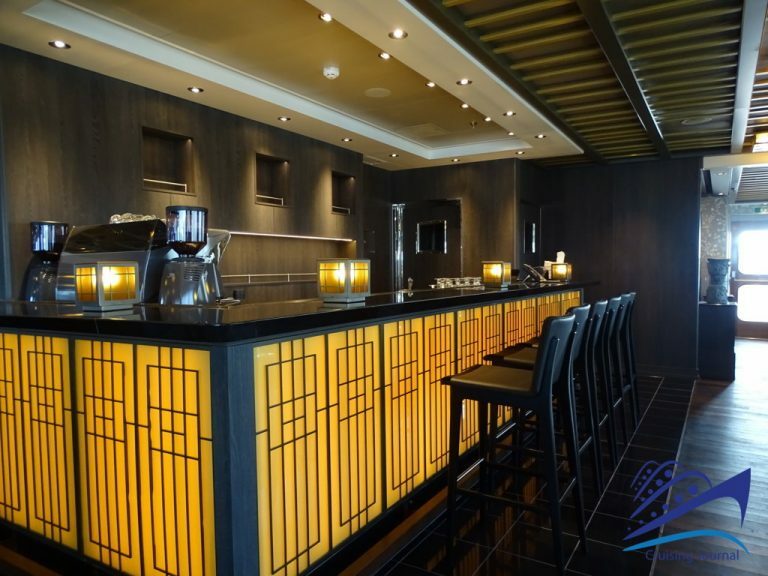 But you can also decide to take refuge at The Retreat, a private corner dedicated to certain categories of suites, with private cabanas and personalized service. 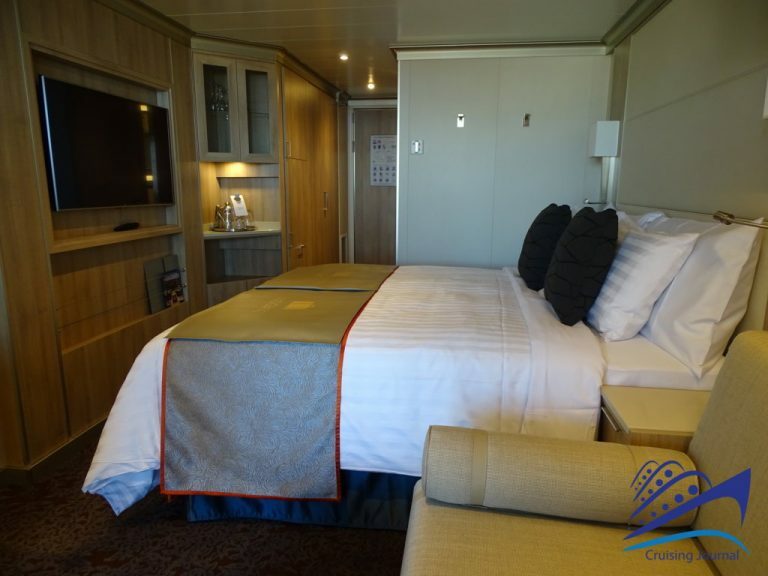 The offer of cabins on board is wide and varied. 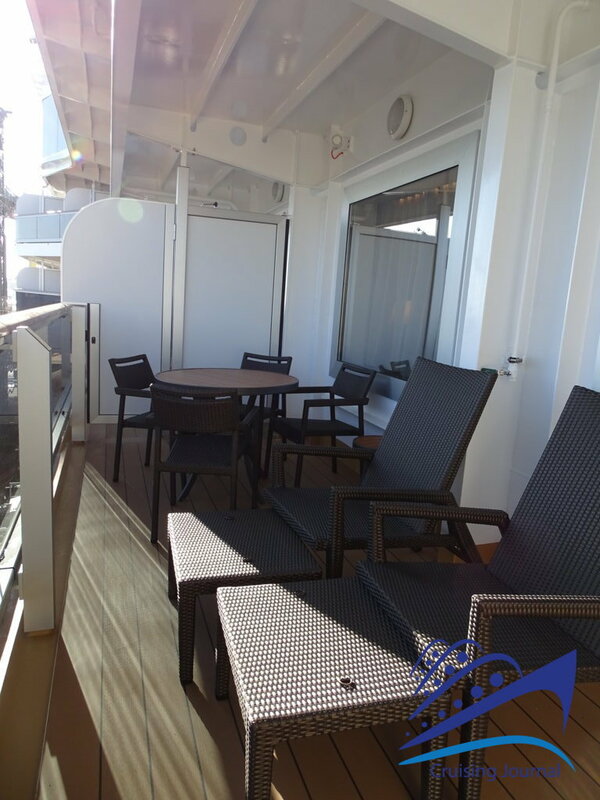 From the inside ones to the Ocean Views to the Verandas, to the different Suites: Vista, Signature, Neptune and Pinnacle. 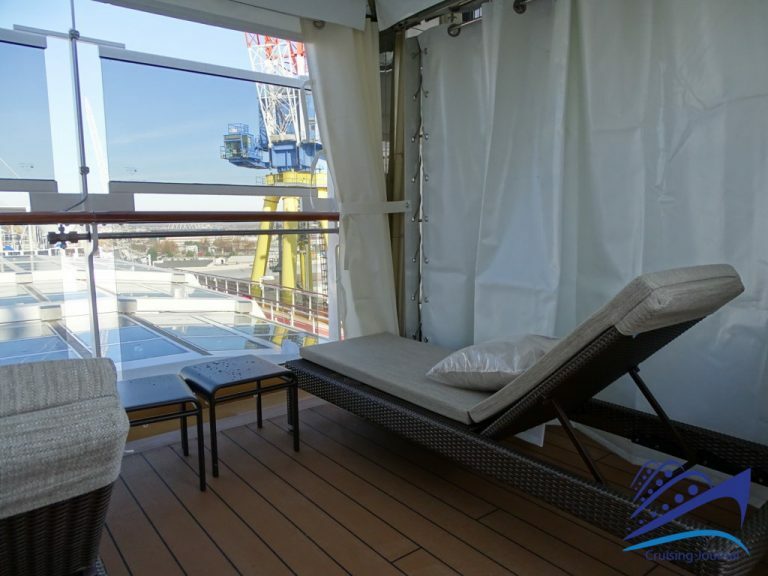 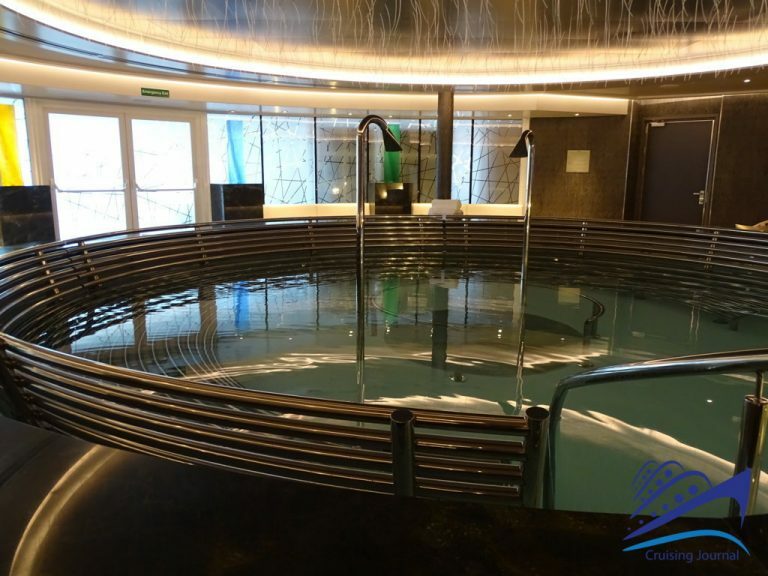 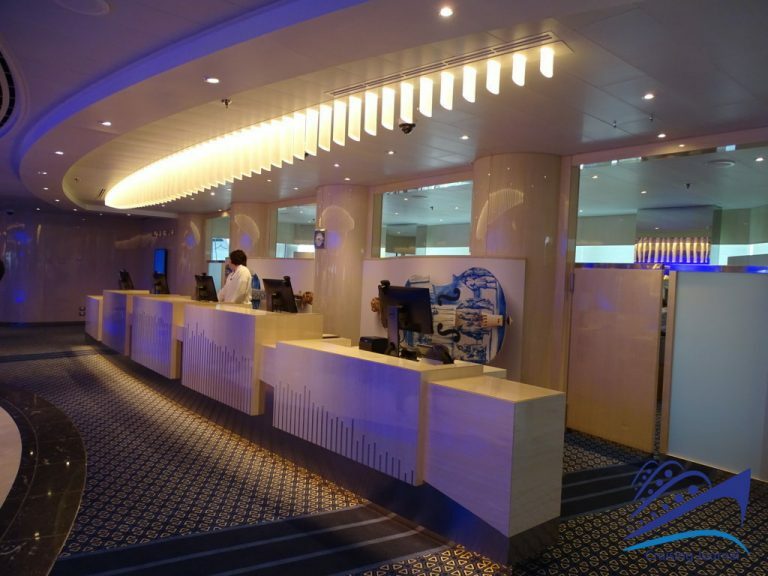 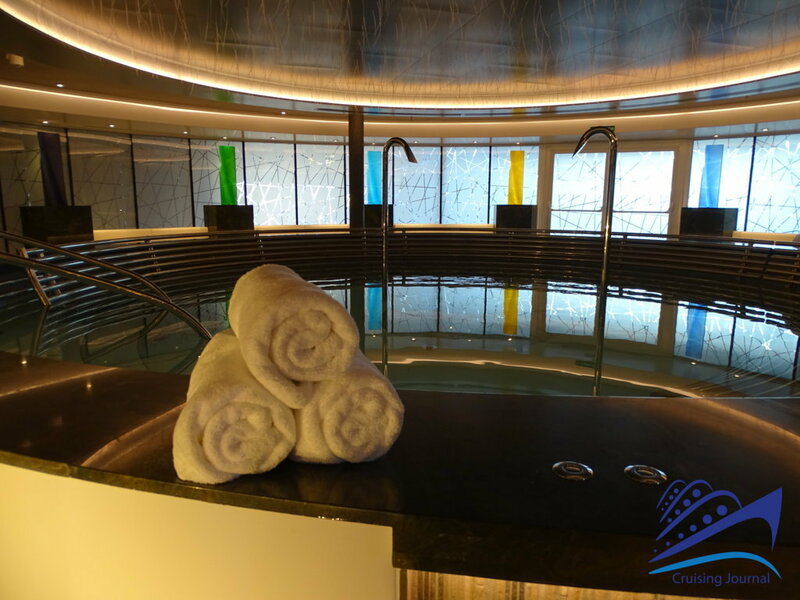 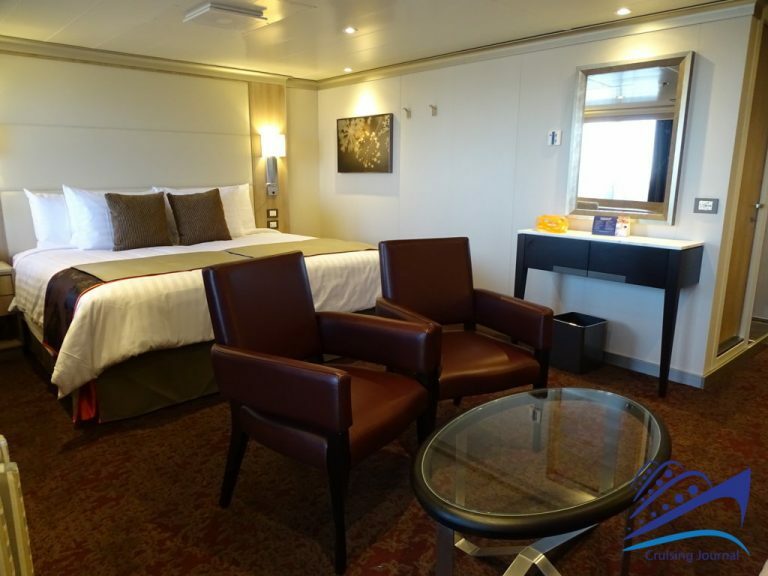 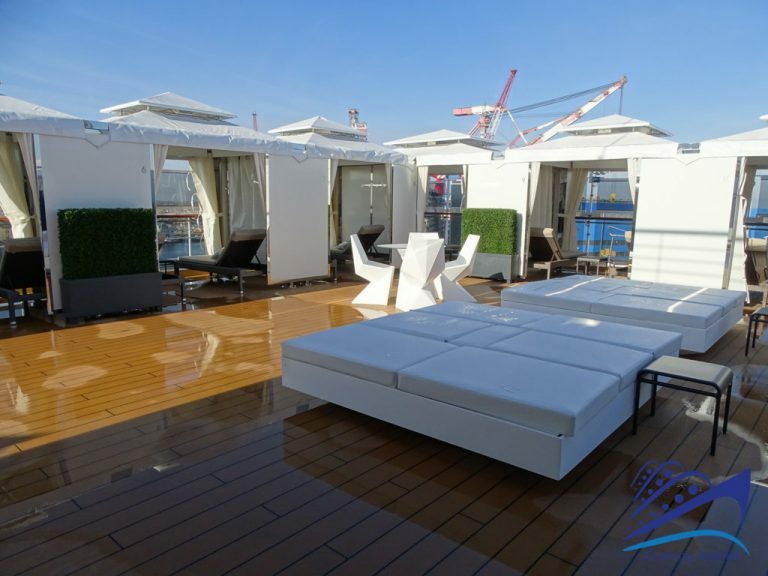 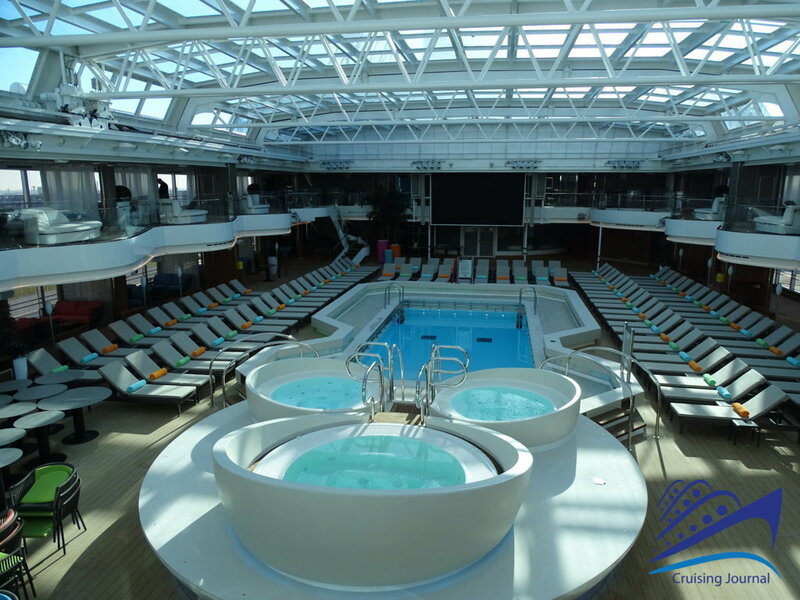 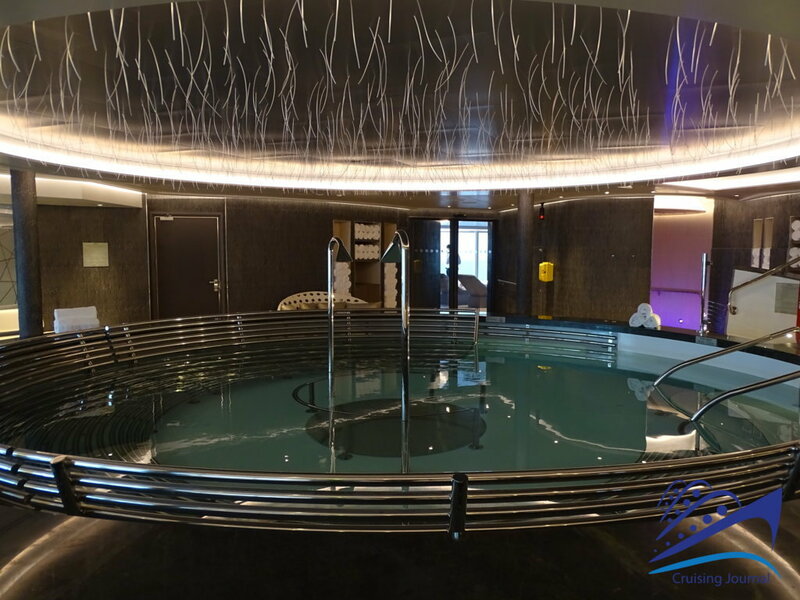 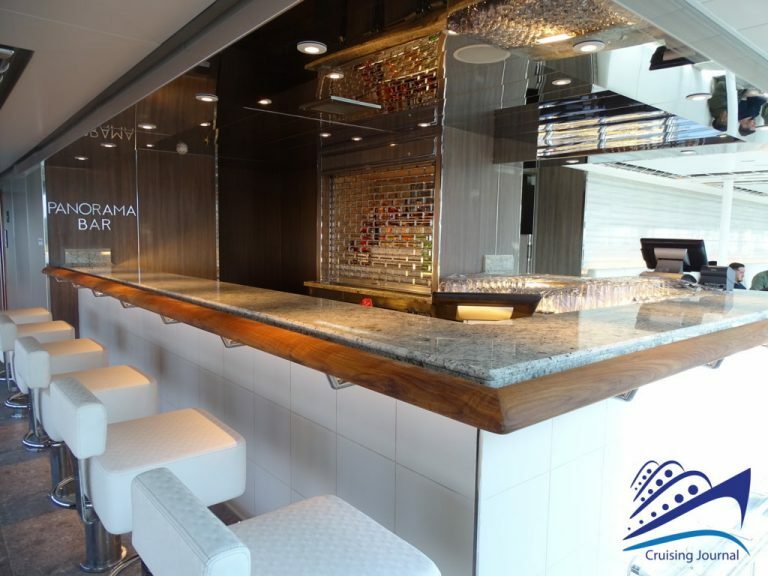 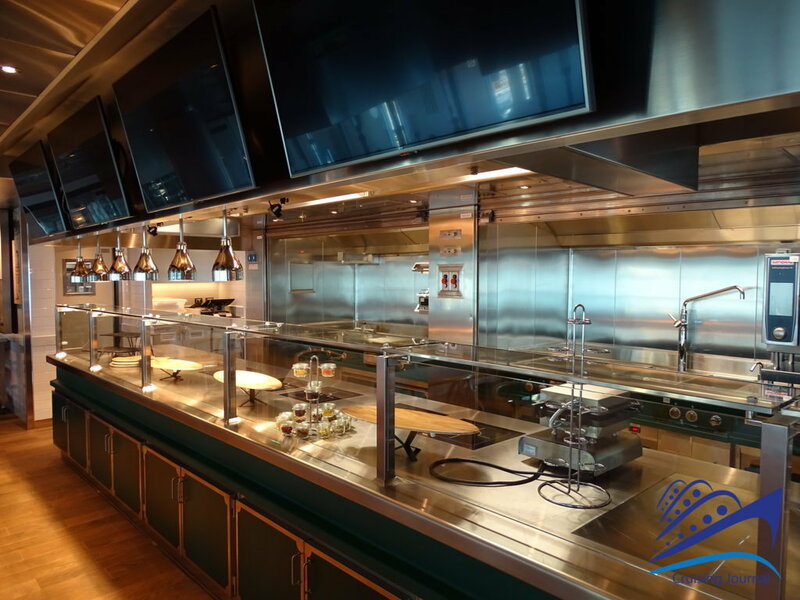 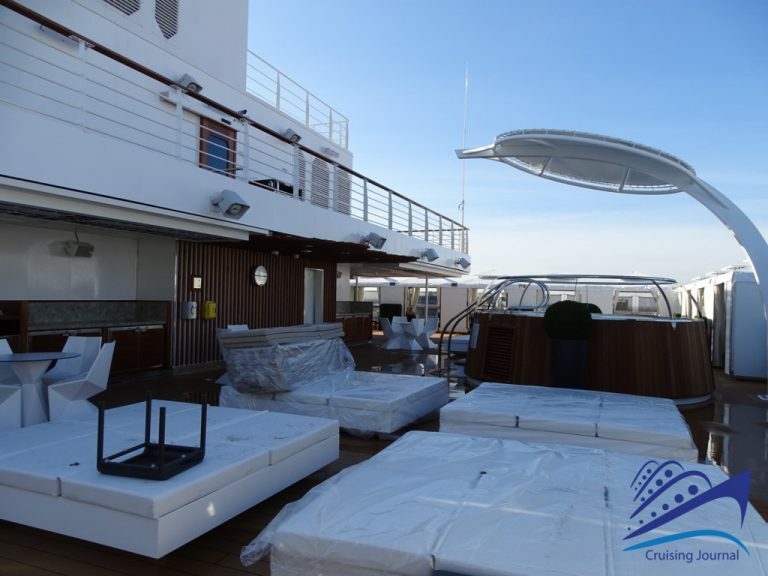 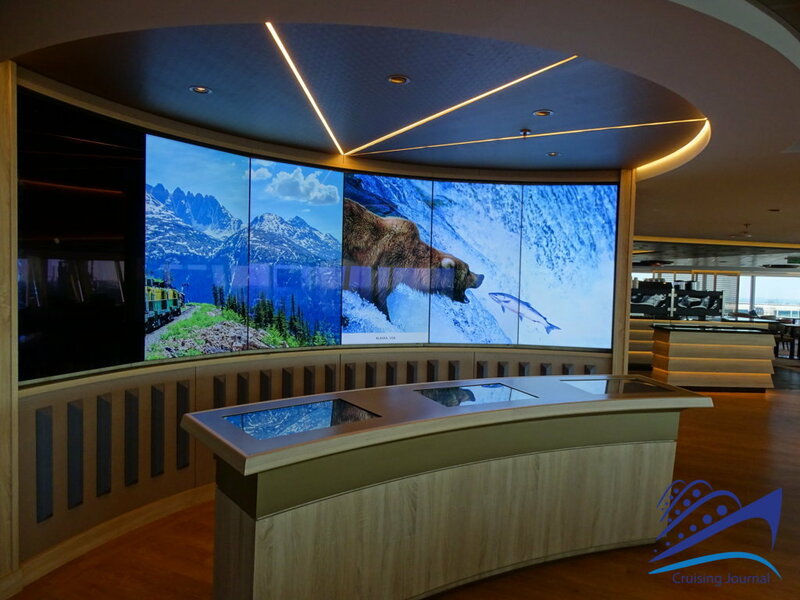 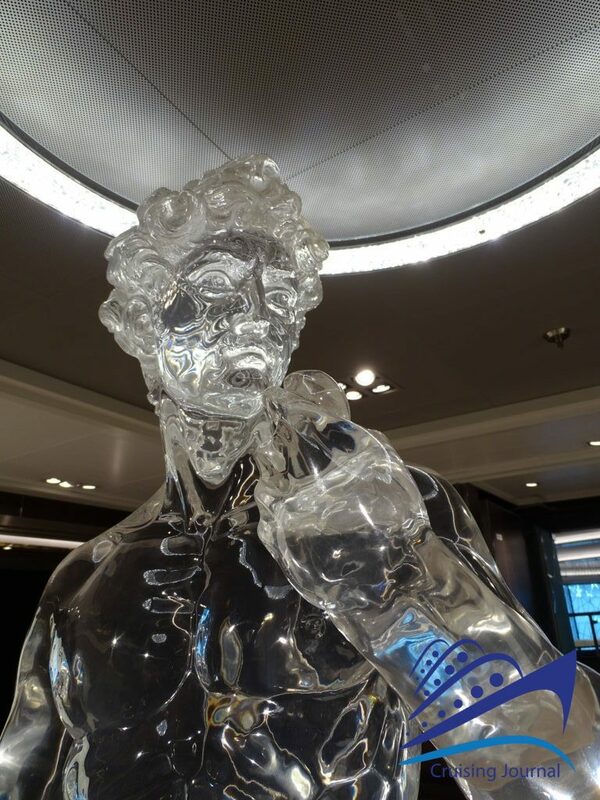 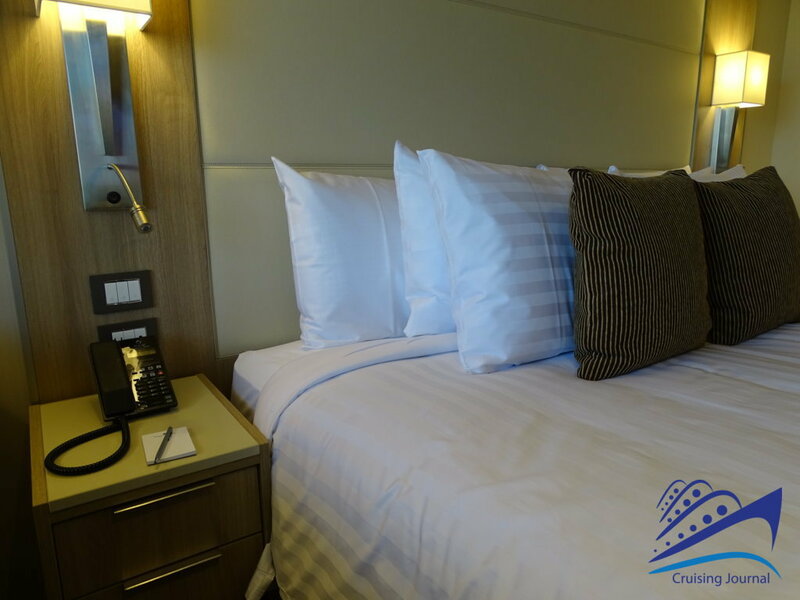 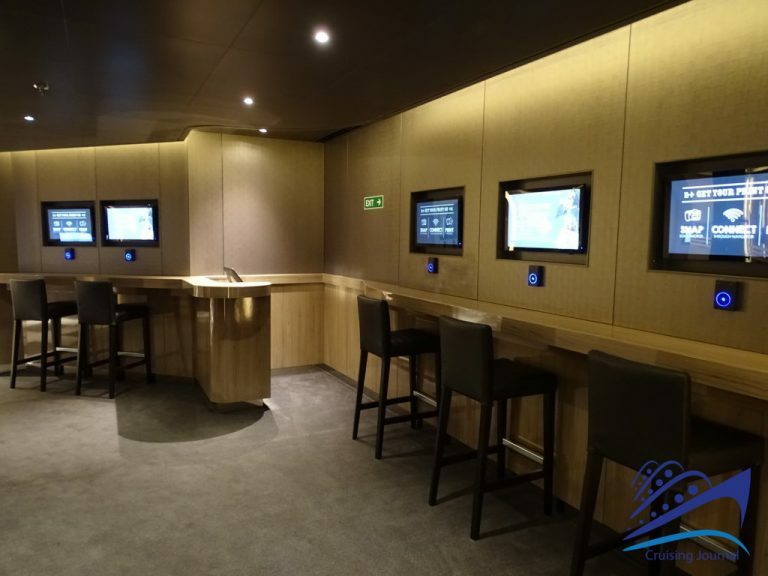 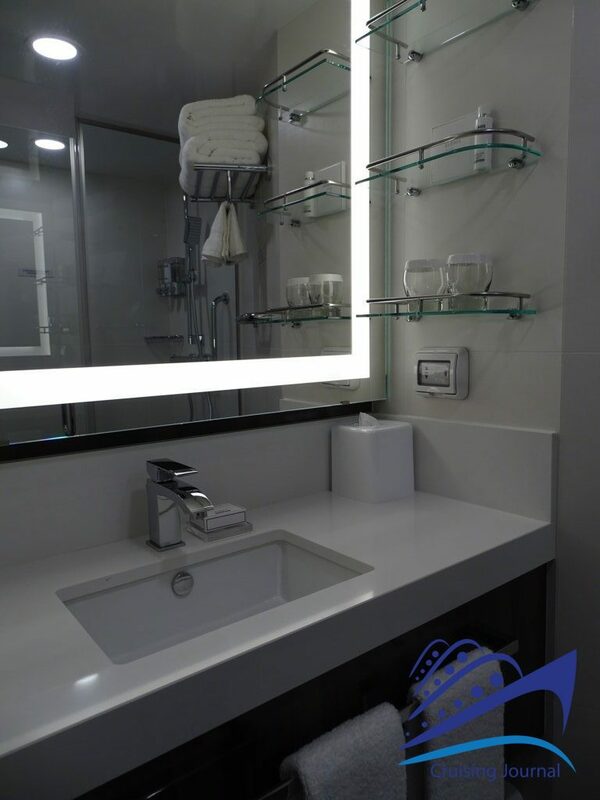 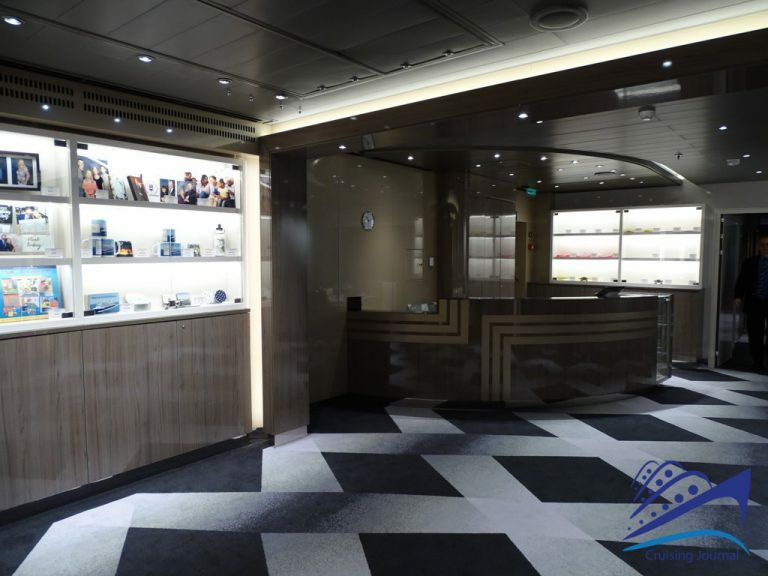 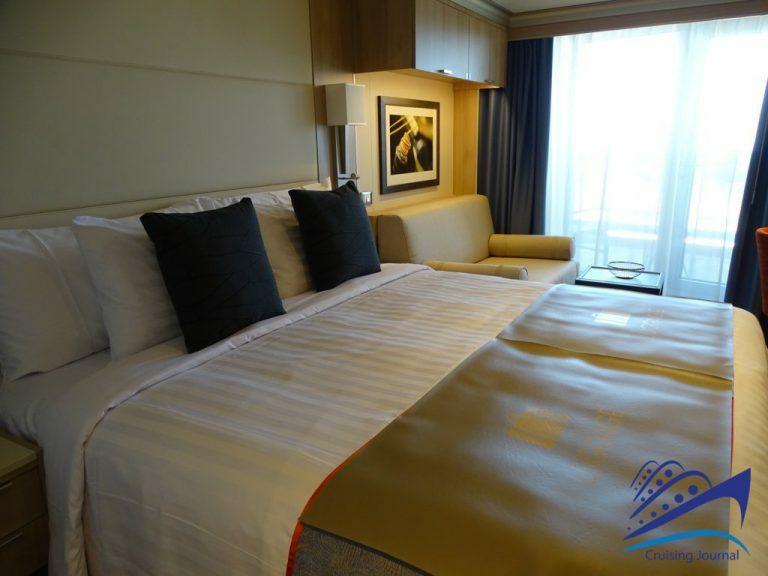 All the equipment and internal measures are in any case of excellent standard and whatever the choice, comfort is guaranteed by the Holland America Line quality. Nieuw Statendam is a ship that offers spaces suitable for anyone who wants to enjoy the navigation, thanks to its numerous and bright rooms overlooking the sea, but at the same time it is also perfect for lovers of the most classic elegance, in Holland America style, who will never want to stop listening to the rhythms of the Lincoln Stage Center or appreciating the silence of the Crown’s Nest. 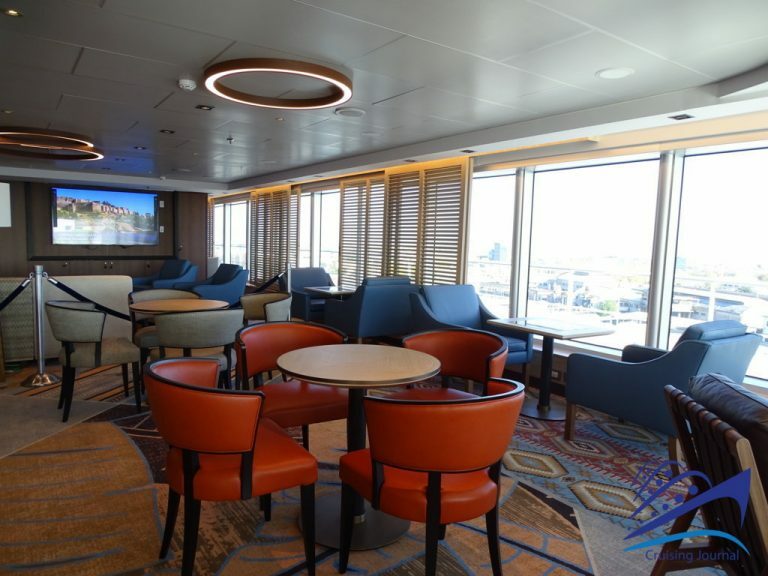 Together with Koningsdam, another step of Holland America towards ever more beautiful and modern ships, without betraying the classic and winning style of the cruiseline.